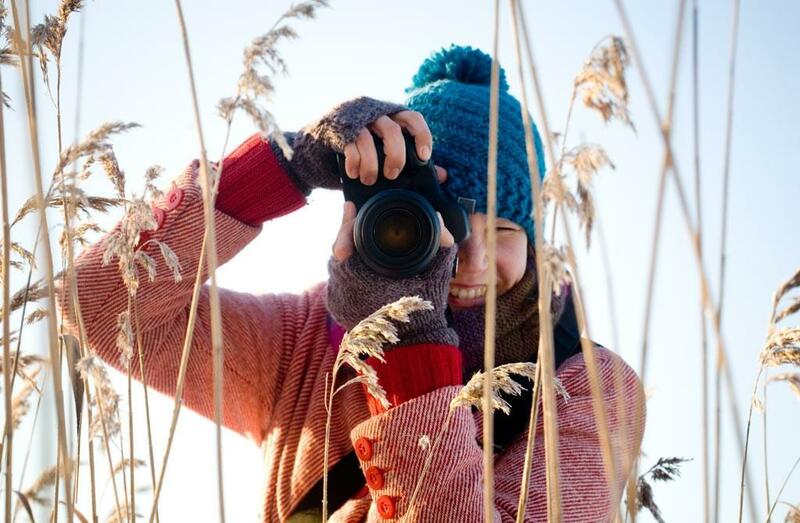 Articles posted by "Taina Tolkki"
Aate-Pekka Hiking Trail (length 3 km) runs in the neighbourhood of Oronmylly Conference and Recreation Centre. Starting point at Oronmylly. Viewing point at Suurvuori and several rest areas with lean-to shelters and fireplace sites along the hiking trail. 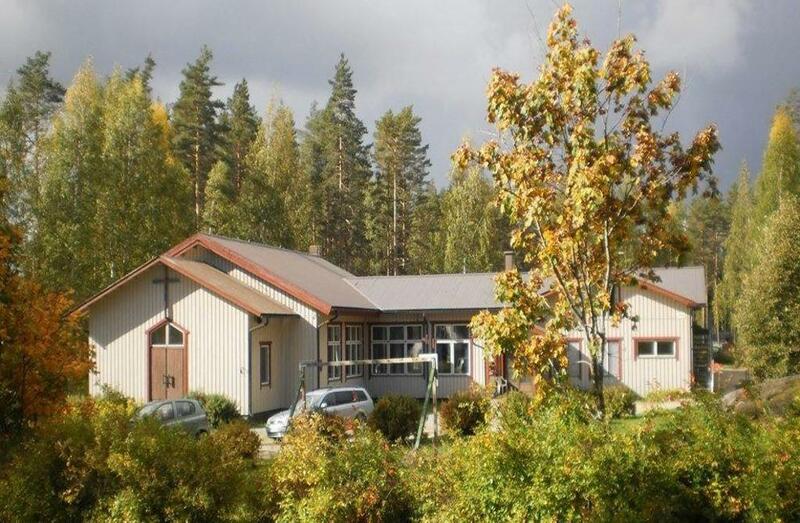 ABC Särkisalmi is a service station by the crossroads of highway 6 and highway 14 in Särkisalmi, 6 kilometres north of the Parikkala city centre. We are open every day from 6am to 12 midnight. 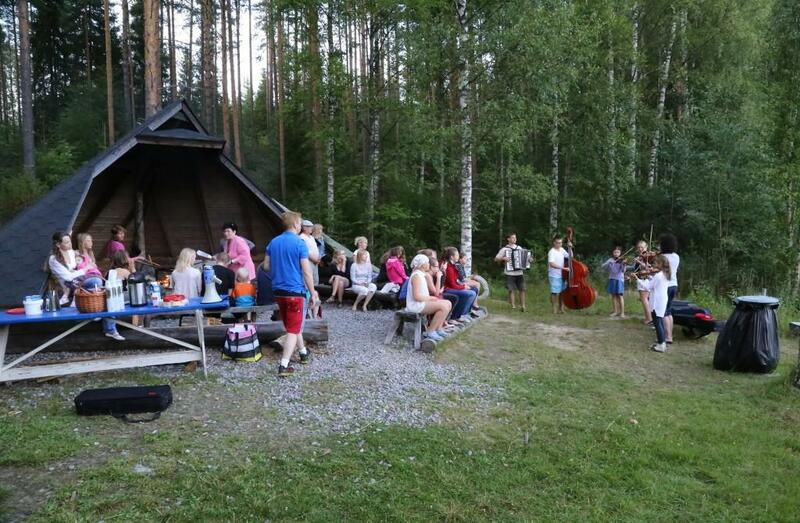 Visit us to enjoy the joyous and happy South-Karelian spirit. 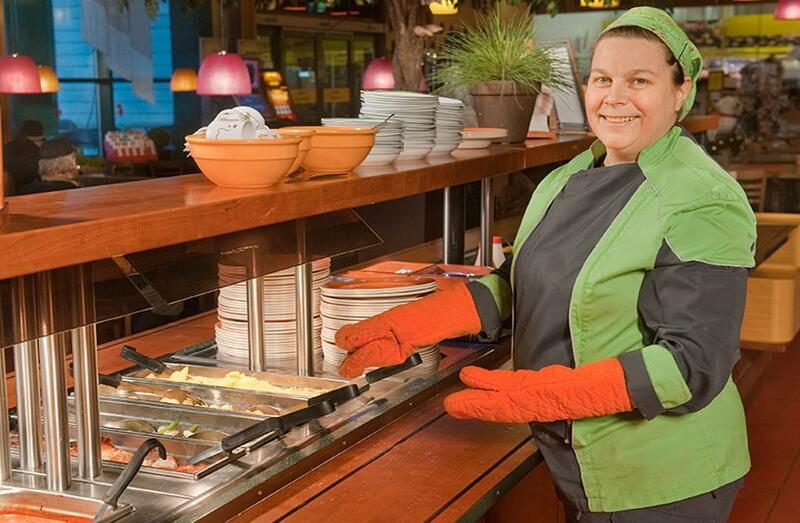 Lunch buffet is served Mon-Thu 10:30am to 4pm and Fri-Sat 10:30am to 6pm. Check the À la carte menu and buffet listings on our website. Welcome! Start playing beach volleyball! 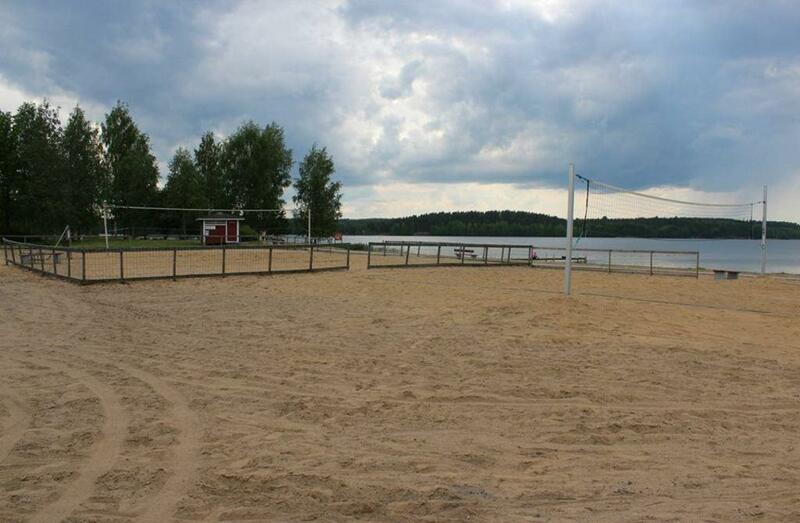 There are several beach volleyball courts in different areas of Parikkala. Enjoy swimming in the clear, blue lakes! 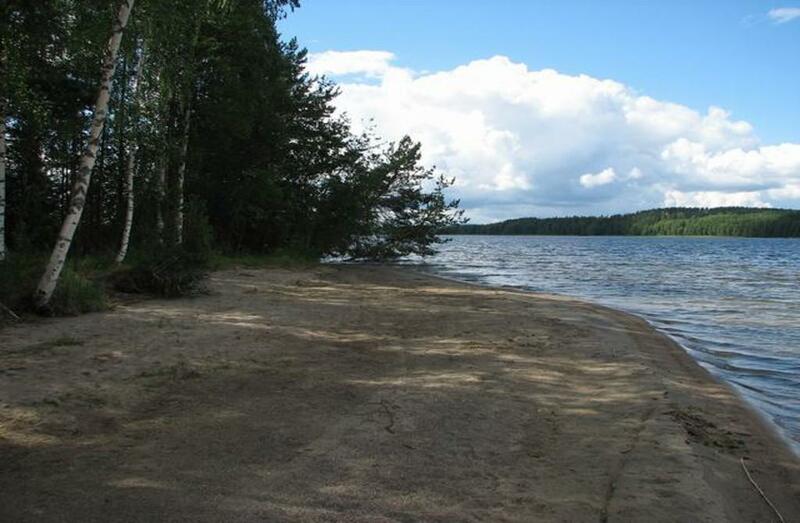 There is plenty of beaches in all parts of Parikkala. 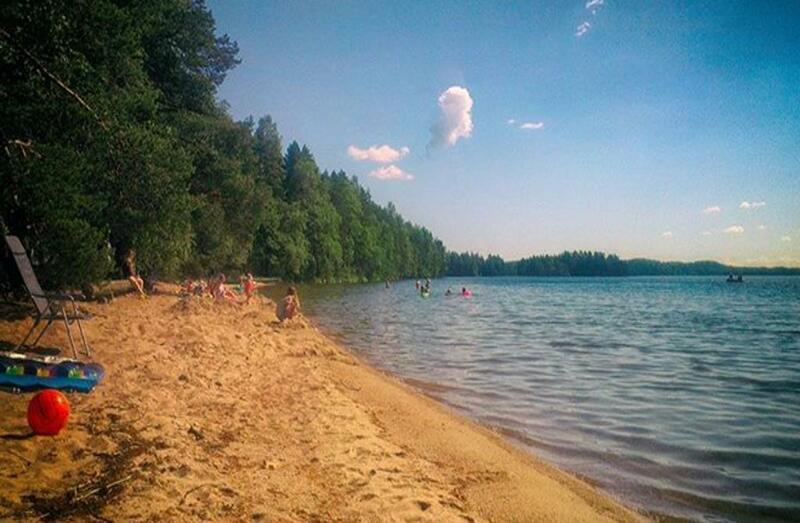 On a sunny day you can sunbathe, swim or play beach volleyball. Just relax and enjoy! 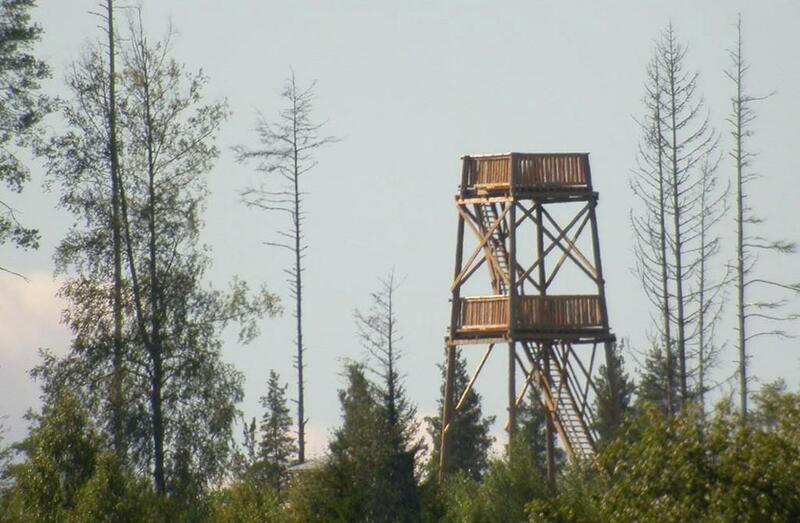 The watch tower has been built on the top of a large hill, and it offers great open views to all directions. 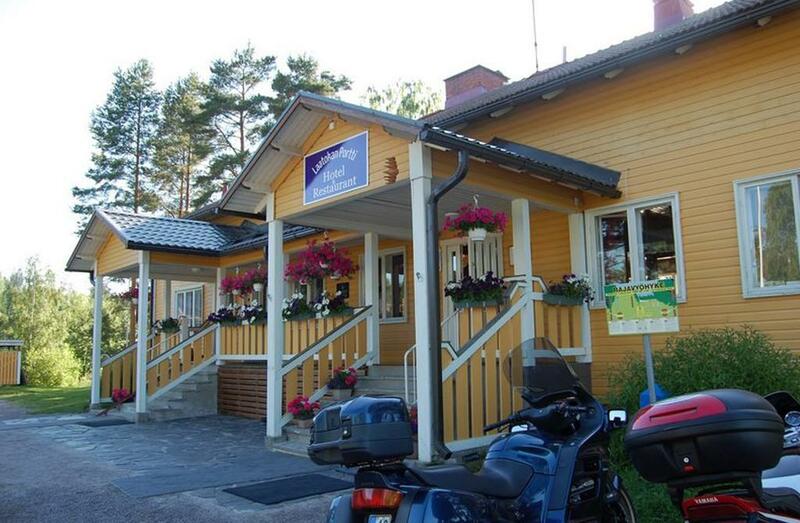 Cozy and idyllic Irish pub, cafe and restaurant in the Parikkala railway station. Soup lunch on weekdays between 11am to 3pm. Freshly baked sweet and salty pastries. In the evening, the kitchen at Asema offers the best burgers in the region. Kitchen open Sun-Thu until 10pm and Fri-Sat until 12 midnight. 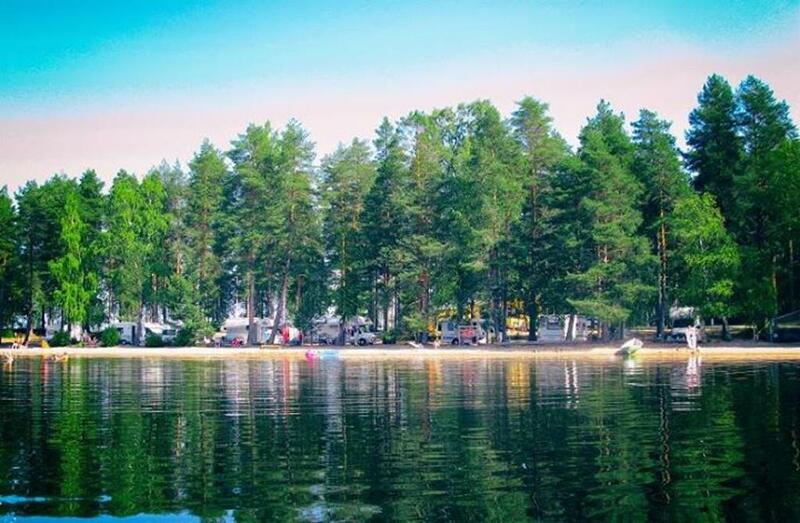 The lakes Simpelejärvi and Karjalan Pyhäjärvi offer excellent possibilities for canoening and boating. Local catering services professionally. 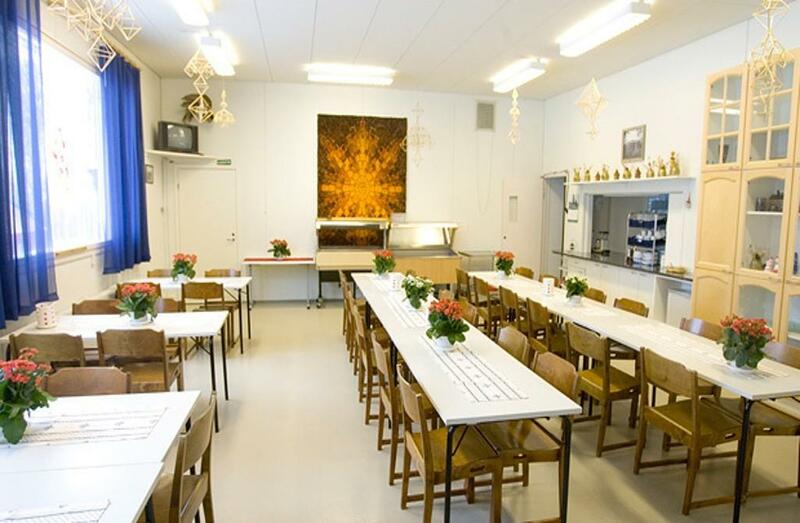 Parikkalan Pitopalvelu offers catering for all occasions such as parties, funerals, weddings and social receptions. 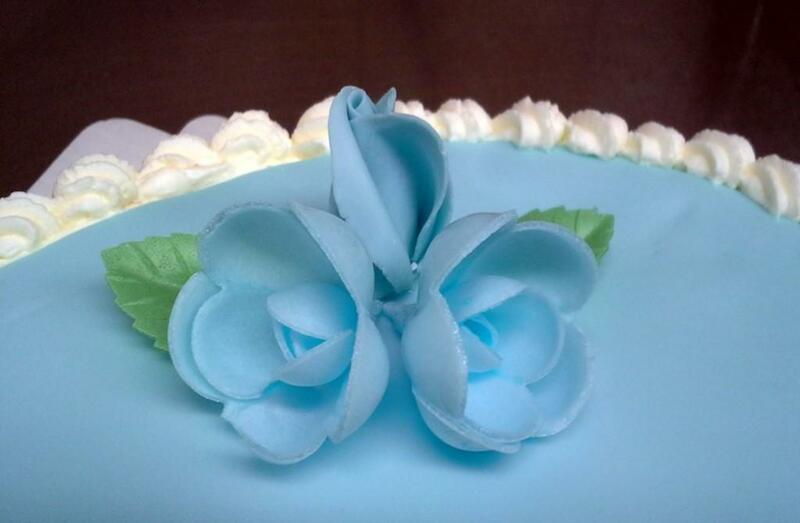 All kinds of sweet and salty pastries and cakes are made to order according to your specification. 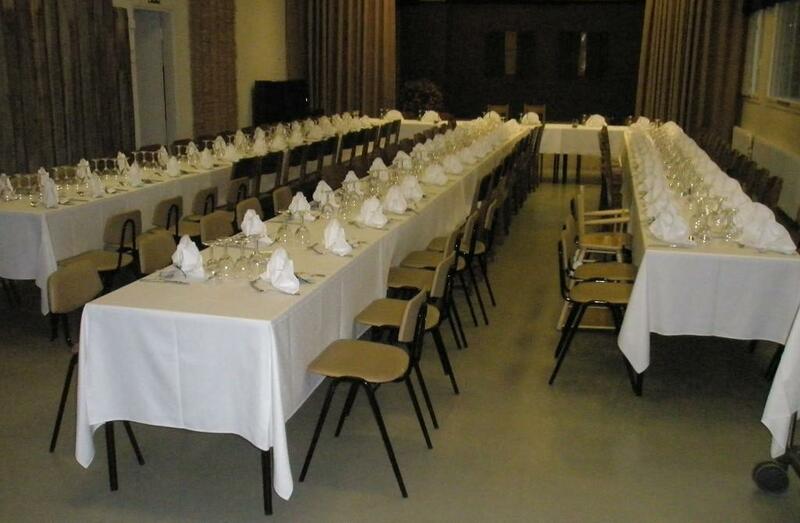 Our services include tableware and tablecloth rental. We also provide home meal services. 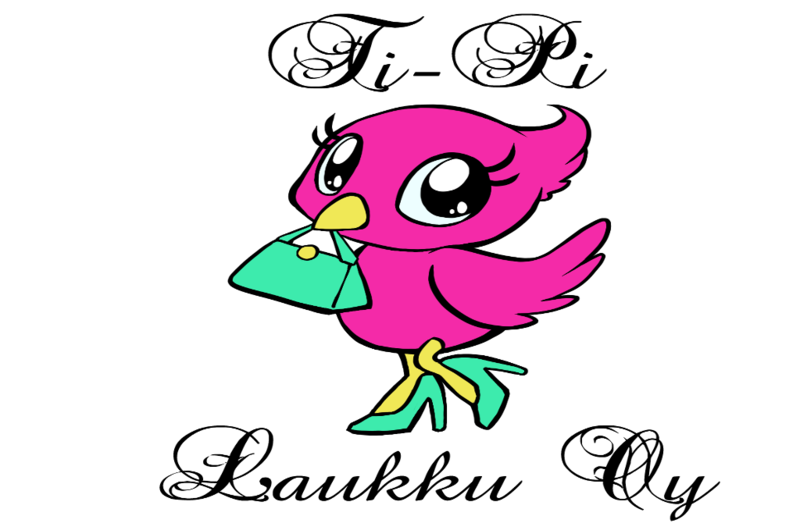 Just contact us and we'll serve you! 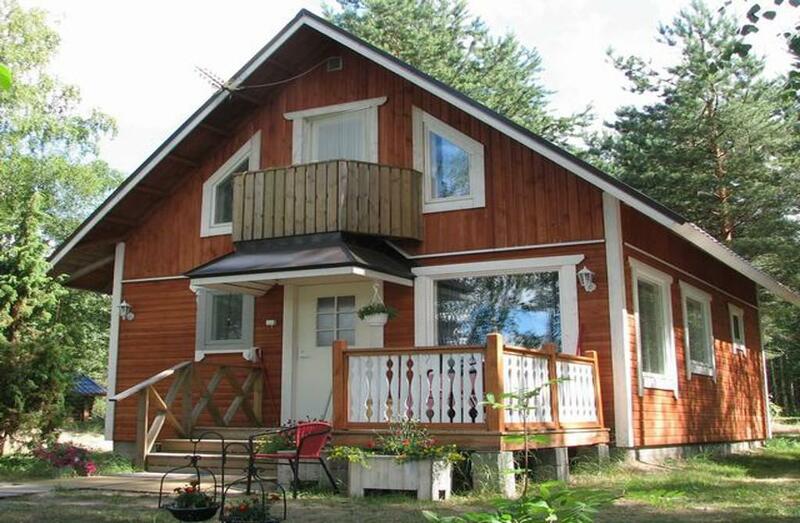 Excellent possibilities for cross-country skiing in Parikkala! There are numerous skiing tracks with varying lengths all around Parikkala. 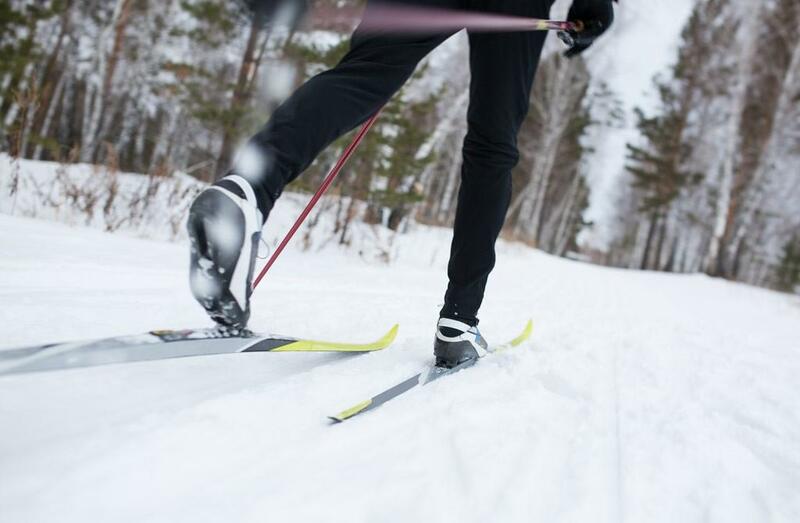 The skiing trail network covers both styles, classic and skate skiing. There are also several skiing trails that are lit during dark times. 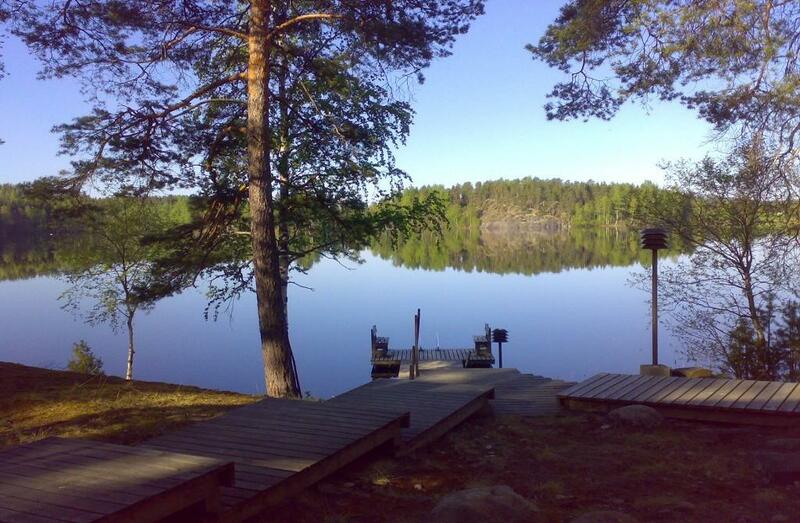 There are altogether 128 lakes in the Parikkala region, so you won't get short of fishing places. The biggest lakes are Simpelejärvi and Karjalan Pyhäjärvi. Ice fishing and fishing with a rod and line do not require any licences and are free for everyone under the everyman's right. 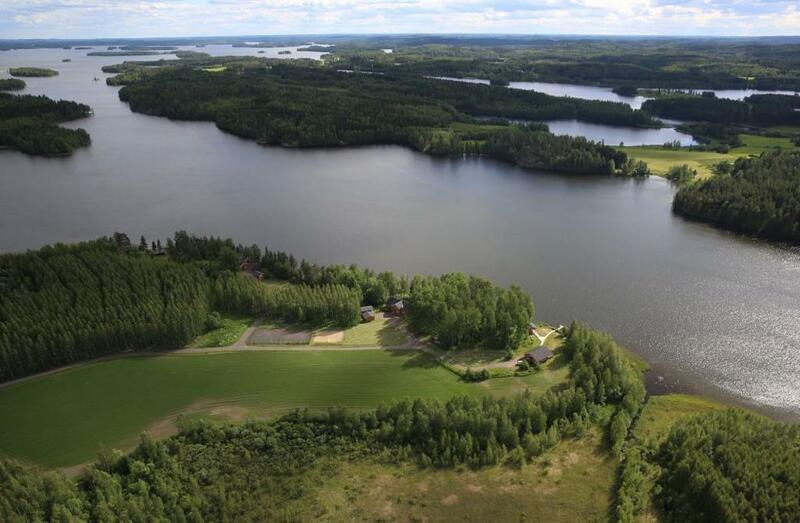 More information about the lakes and the fishing license system can be found in the website of Etelä-Karjalan kalatalouskeskus, a regional centre in charge of developing fisheries in South Karelia. 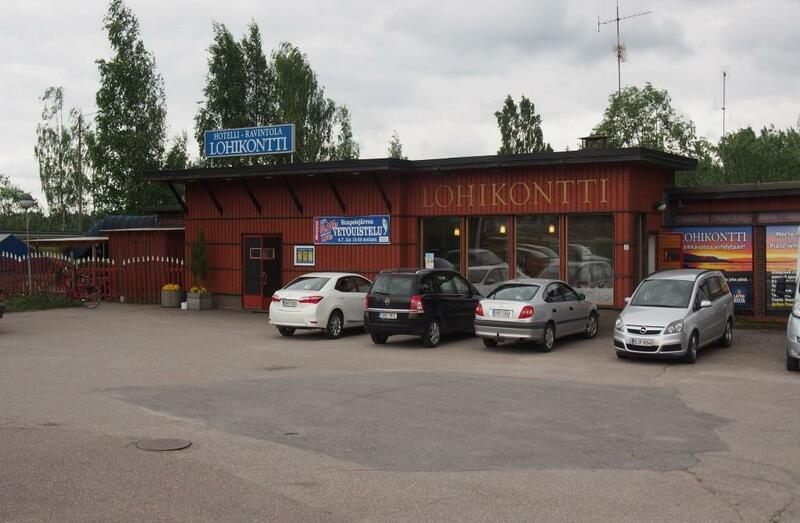 Gulf Särkisalmi is a service station with a café, shop, car wash and car service and maintenance facilities. 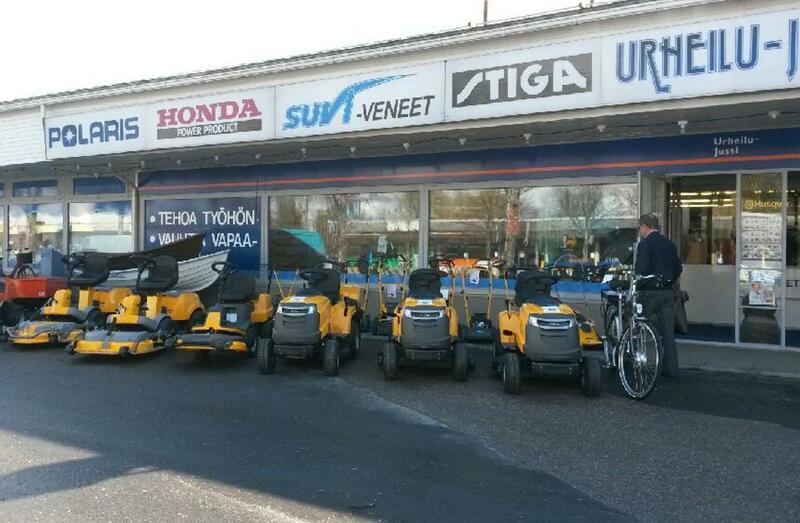 We also sell summer and winter tires, Aga liquefied petroleum gas and fuel oil. The service station is located by the main highway 6. Opening hours Mon–Fri 6.30–20, Sat and Sun 8–17. 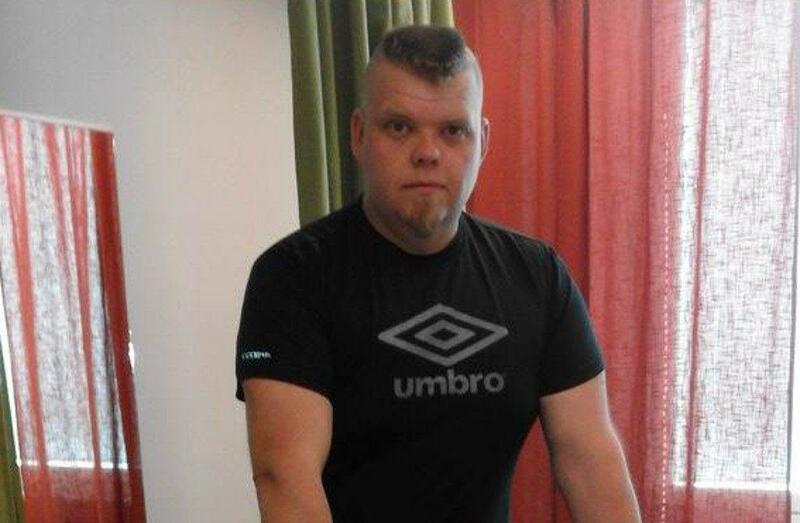 Go to the gym and work out! 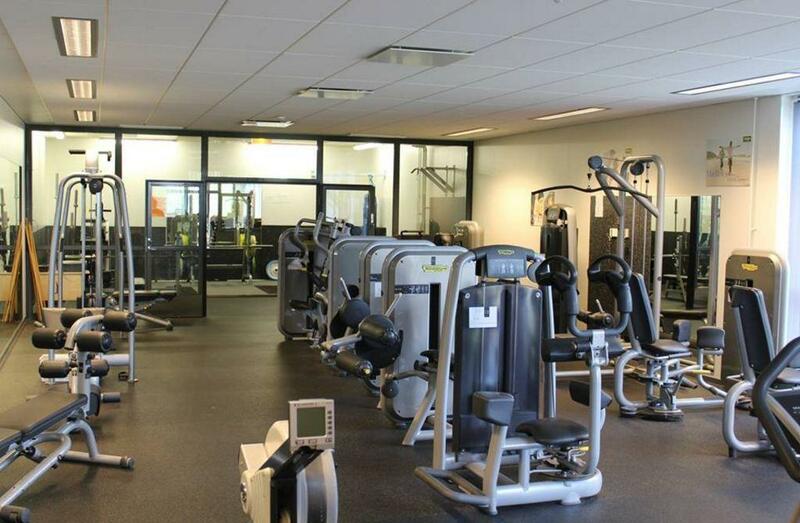 There are two gyms in Parikkala, in city centre and in Saari. Our services include massage, Indian head massage and pedicures. 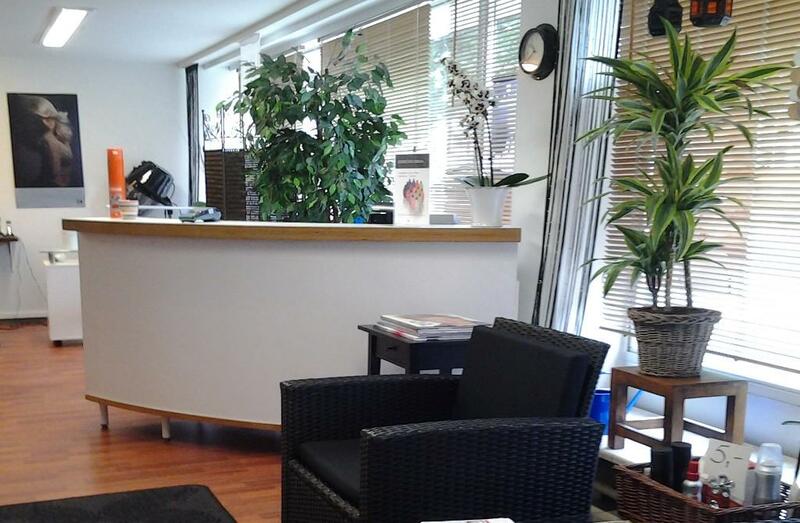 Call, email or drop by in our shop to make an appointment for any of the relaxing services. Gift cards also available. Tales and sights from the history of Parikkala. Stone Age settlements, an archaeological site and several hole traps. 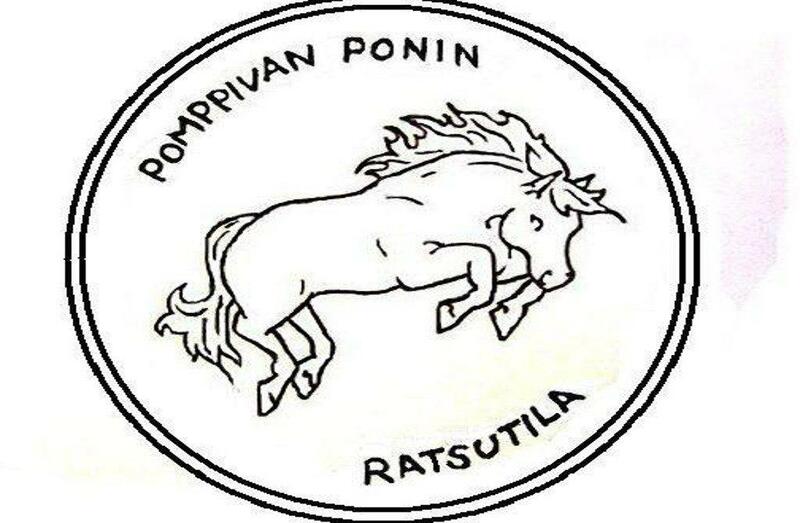 The history of Parikkala has deep roots. Welcome for relaxation! 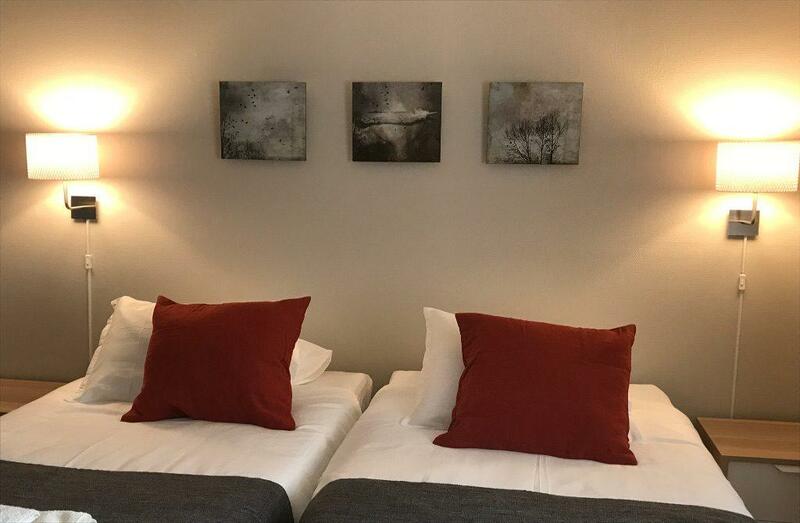 We offer the following treatments: Ayurvedic hot stone massage, Ki energy massage (Indian massage for the whole body), Trager therapy, Indian head massage, Detox foot bath/body detox. Open by appointment only, also in the evenings and on Saturdays. 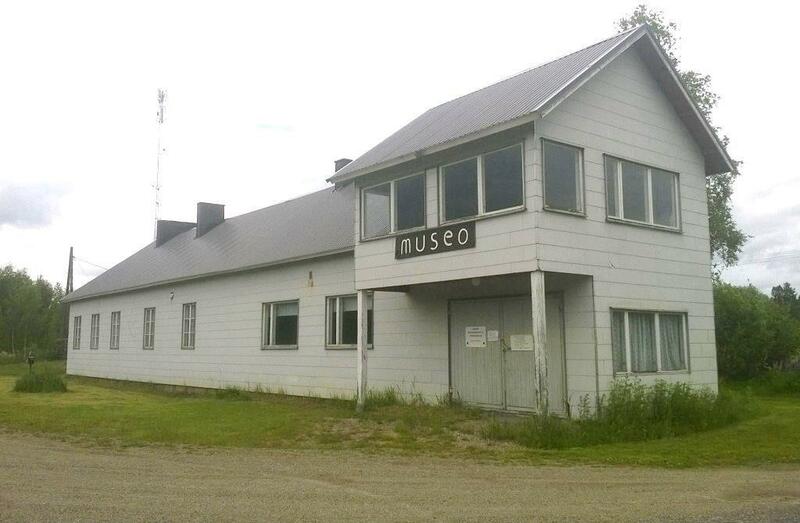 The Honkakylä Merchant’s Museum is set in the original store building. 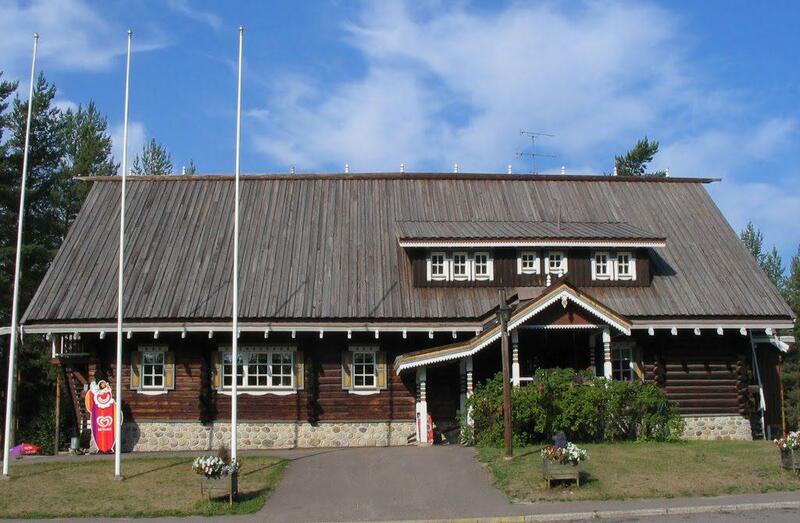 Chosen as South Karelia’s Local Museum of the Year in 2001, the Honkakylä Merchant’s Museum is South Karelia’s only shop museum. 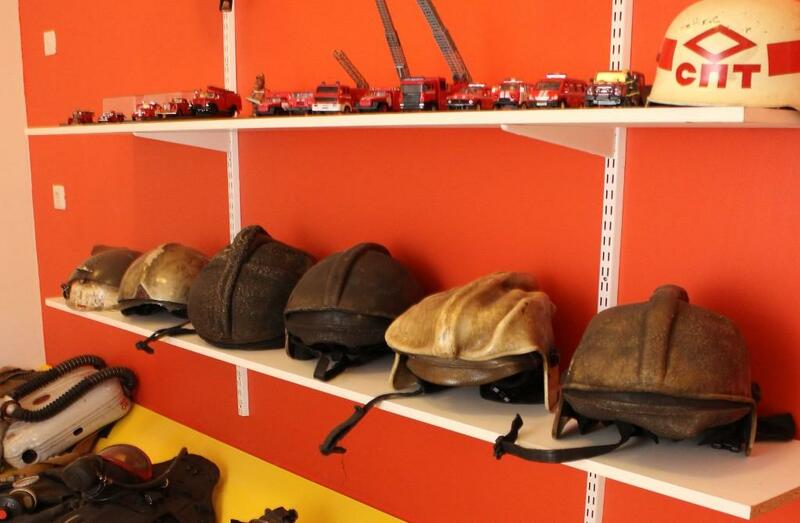 The Museum mainly displays shop items from the 1940s and 1950s. 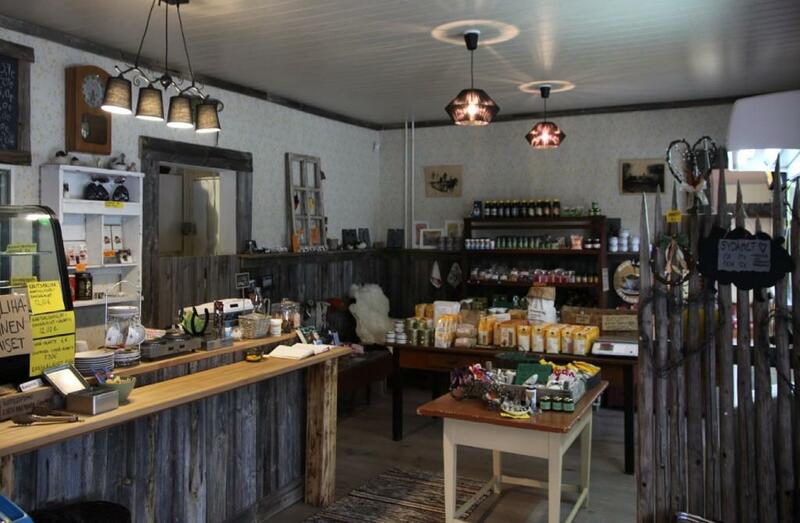 In the store itself, the visitor can step straight back in time to the post-war years of reconstruction and severe shortages. 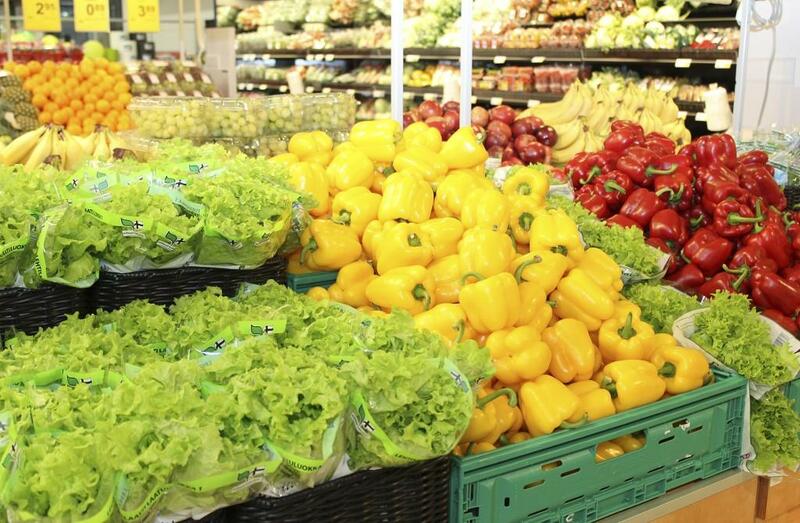 Here, you can see and smell the wide range of products for sale, from clothes to foodstuffs. The latest addition to the museum’s collections in the building is the exhibition of old skis in the shop’s storage rooms. Various types of skis and curiosities spanning decades are on display, from wooden skis to the earliest fibreglass types. The museum is open on Sundays in the summer, or by prior arrangement. 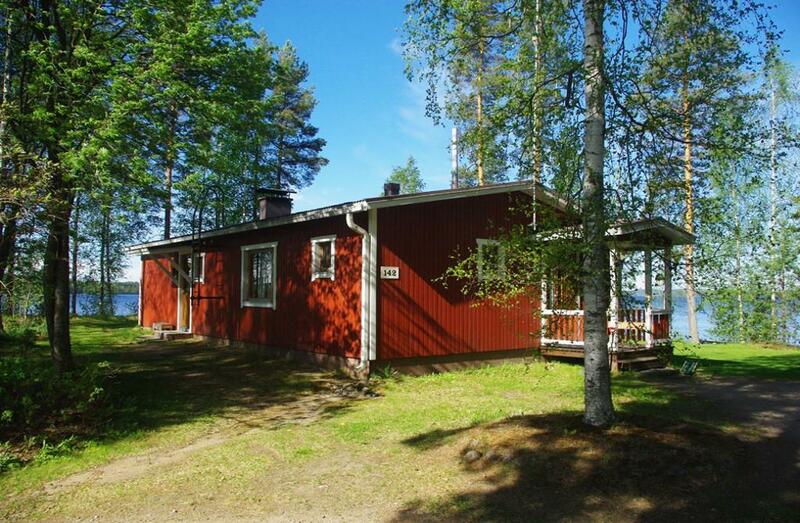 Honkakylänlahti is also called Kanavalampi. 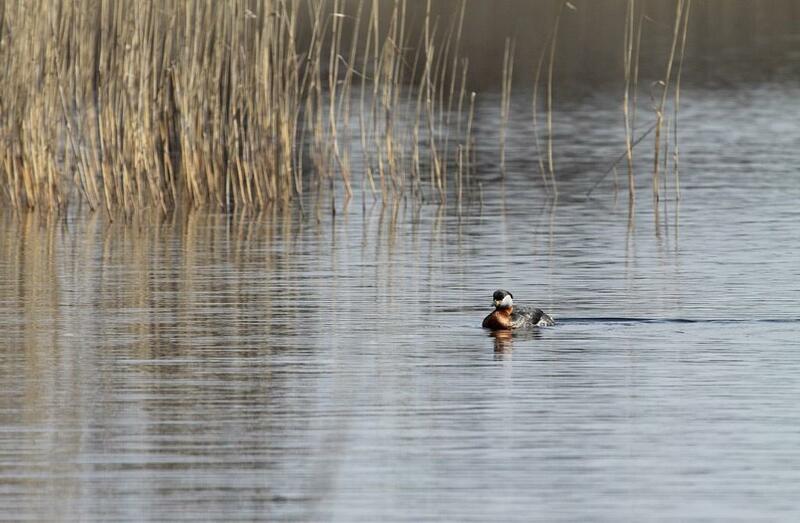 It is a pond with a length of nearly two kilometres, surrounded by fields and bushes. The shallow shores are filled with Typha, beds of reeds and meadows. During summertime the water is covered with water lilies. Let our horses charm you! 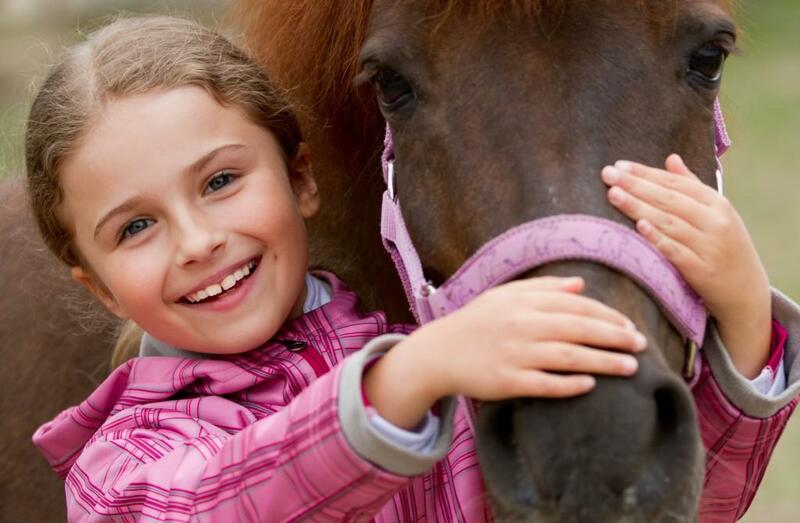 This horse riding farm creates unforgettable experiences with horses for everyone, no matter what your age or skills are. Our services include riding in a riding field or in trails in the middle of the nature, lead rein rides in our farm and in different types of events, group visits, organization of courses and camps. Welcome! 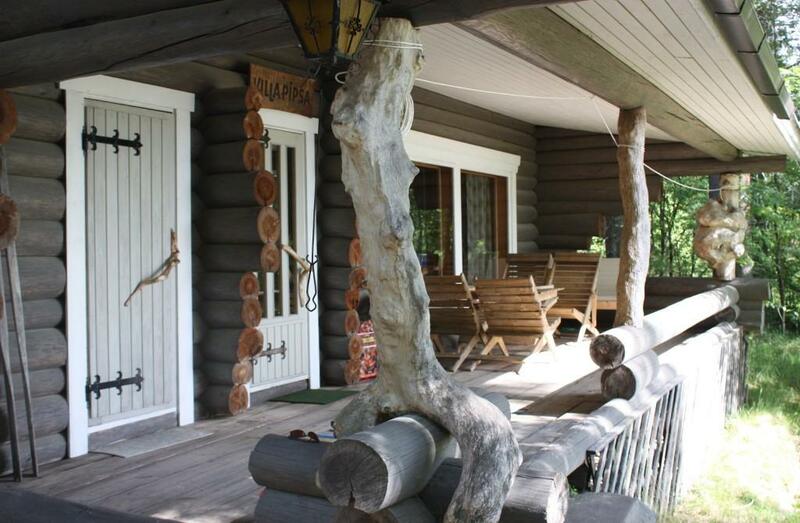 Enjoy and find magnificent experiences on a horseback in Parikkala. 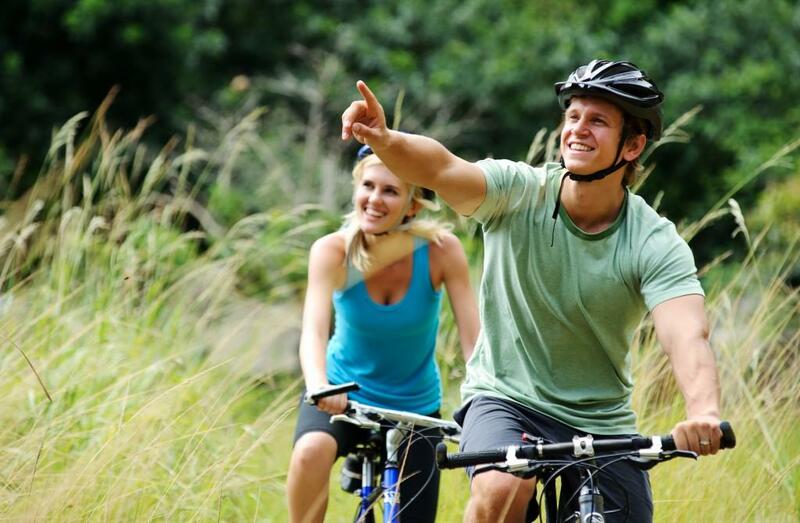 Riding is a versatile hobby, and it is suitable for almost everyone, regardless of age and shape. While riding, you get some exercise and have the possibility to enjoy the fresh air and the company of horses and other like-minded people. 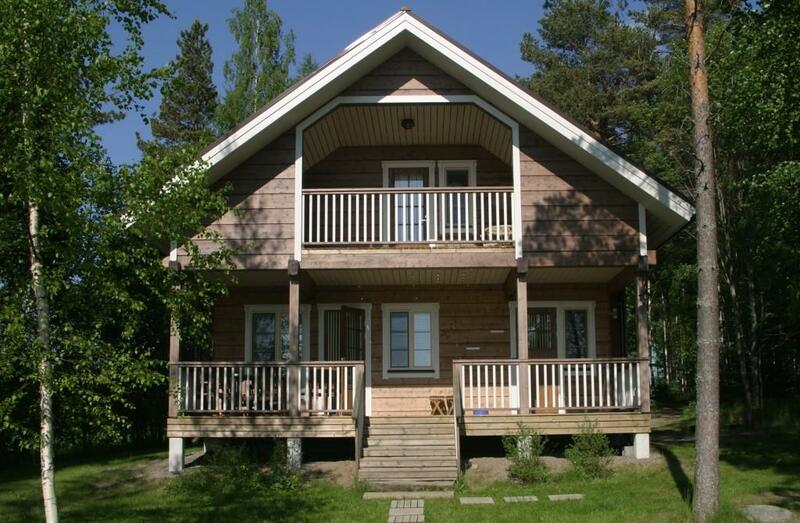 Riding is a hobby for all seasons and there are several horse riding stables in Parikkala. 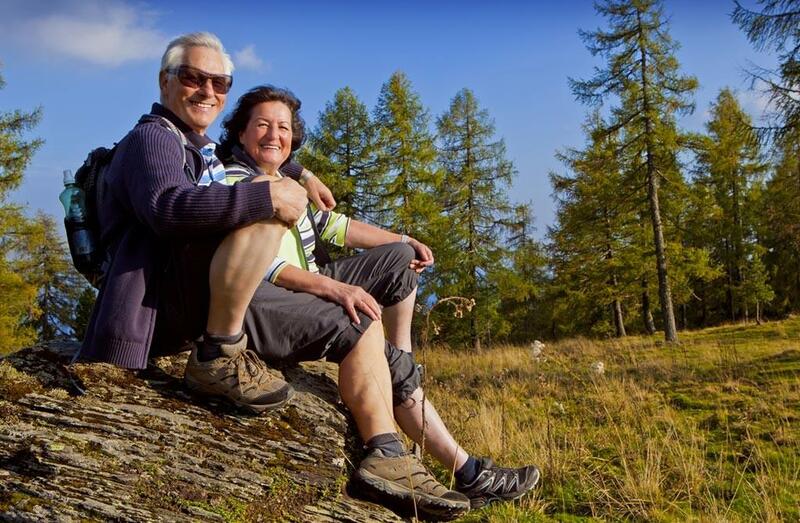 Along the Ice Age hiking trail you can explore the signs left to the scenery and nature by the Ice Ages. 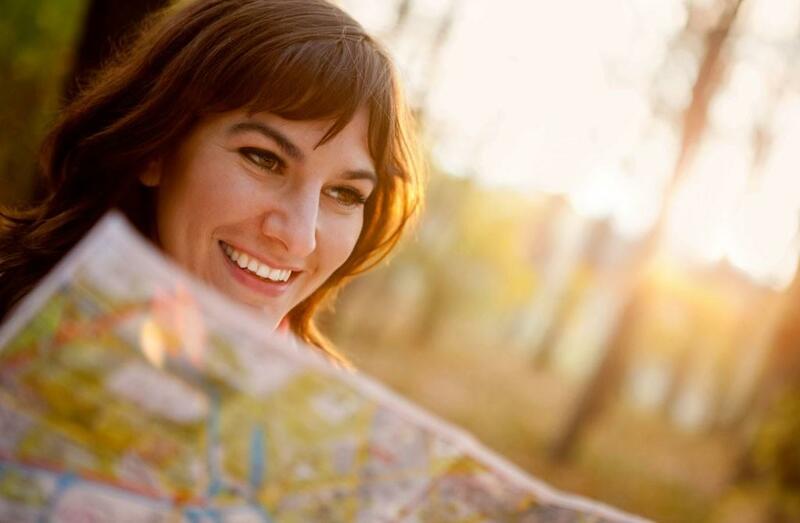 You can choose between two trails with lengths of 9 and 12 kilometres. 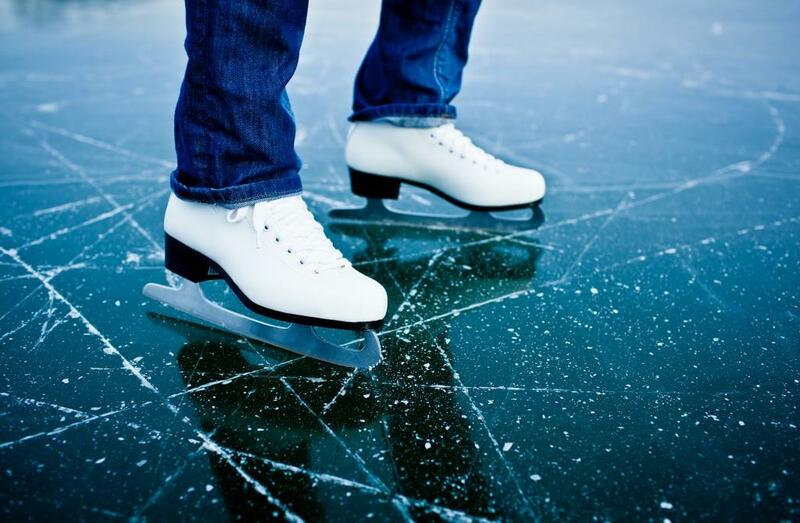 Experiencing the joy of speed on ice! Skating is a fun activity for everyone. 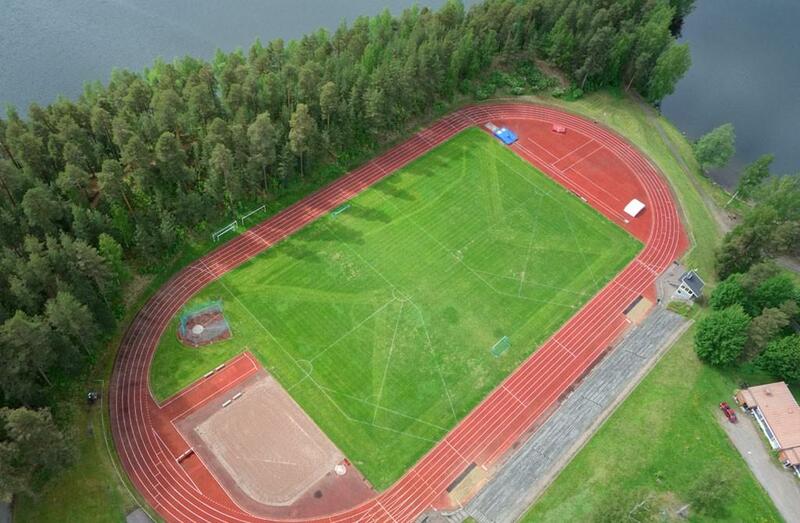 There are three separate ice rinks, located in the centre of Parikkala, Särkisalmi and Niukkala. 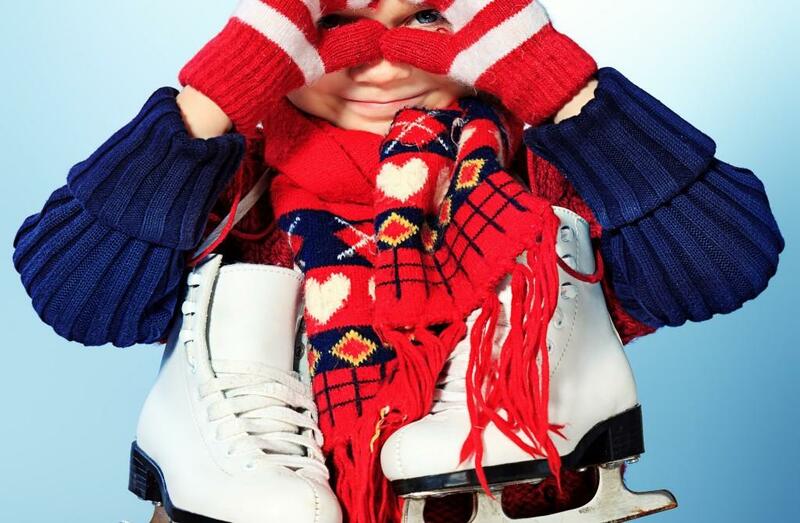 Put your skates on and enjoy! 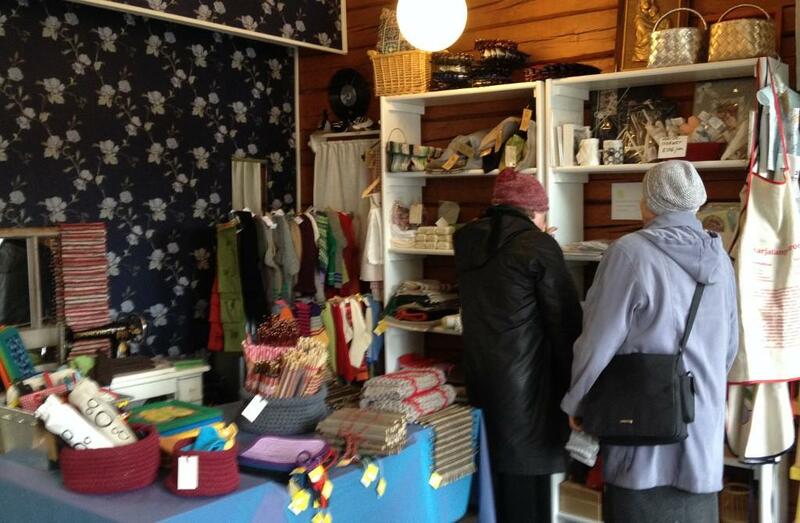 The gift shop is filled with beautiful locally handmade crafts and goods. 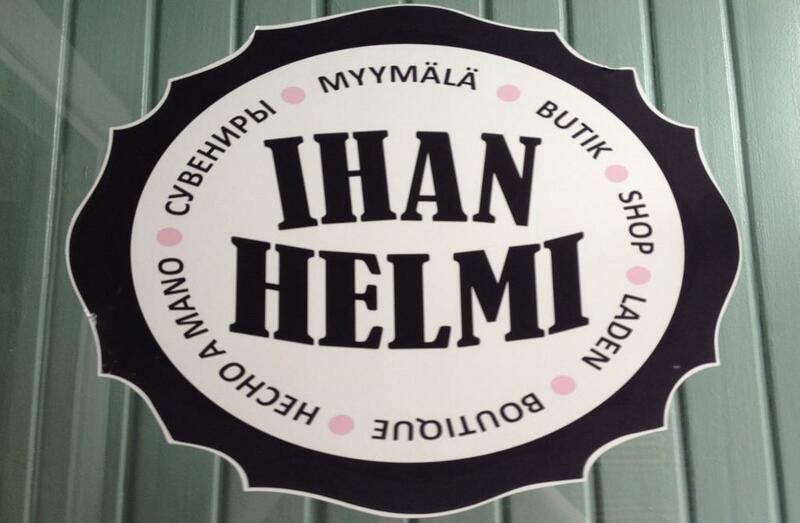 Adjacent to the gift shop you'll find Dressmaker Merja Helminen whose services include repairing of clothing and designing and making of dresses and all other kinds of clothing items according to your own body measurements. 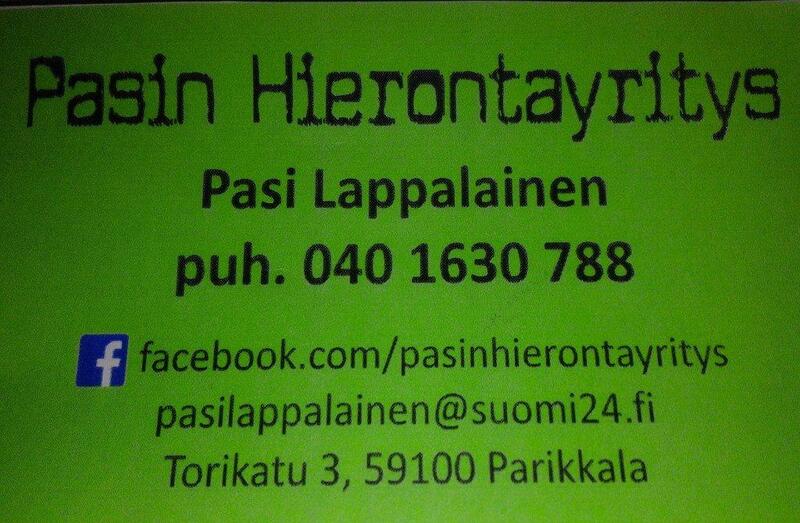 Iloisen Pässin Maalaispuoti is a shop and a restaurant that specializes in local and organic food and products. 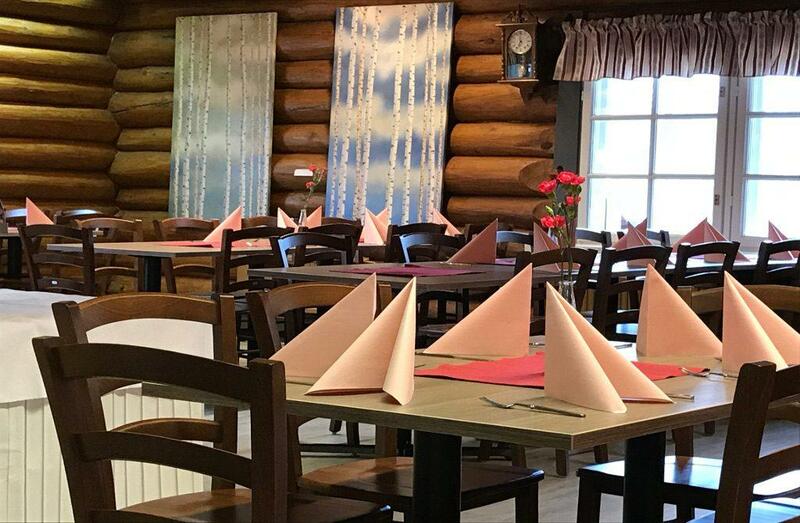 There is a large selection of groceries and handicrafts produced by local small-scale operators (for example the following meats: bison, Highland cattle, lamb, pork and wild boar). 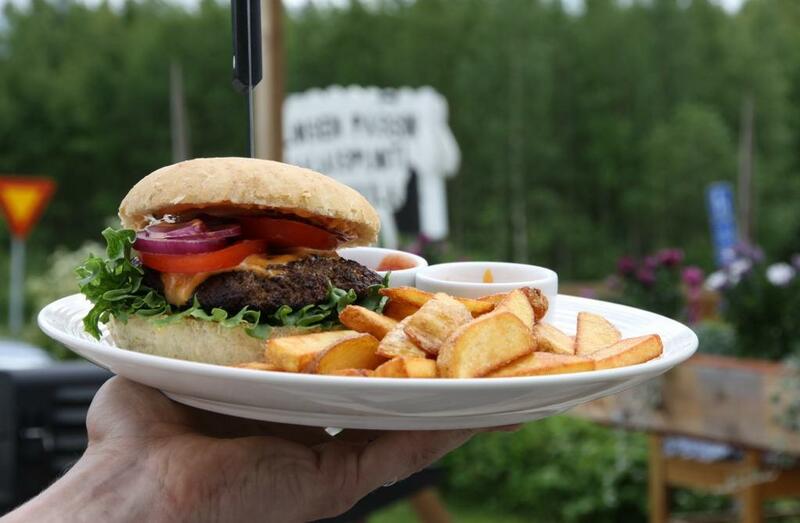 Try our tasty and famous bison burgers! The restaurant has liquor license. Possibility to organise private events and parties. 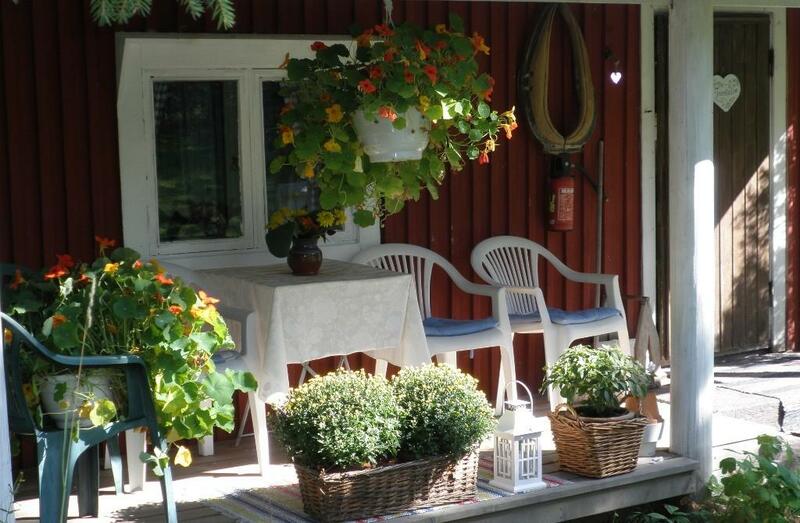 Irman Vyöhyketerapia offers reflexology therapy in an idyllic farm setting in Vaaranmäki, close to the birdwatching tower and church in Saari. Besides the traditional rural landscape with summer lambs, there is a farm shop selling handmade gift items, jewelry and paintings. 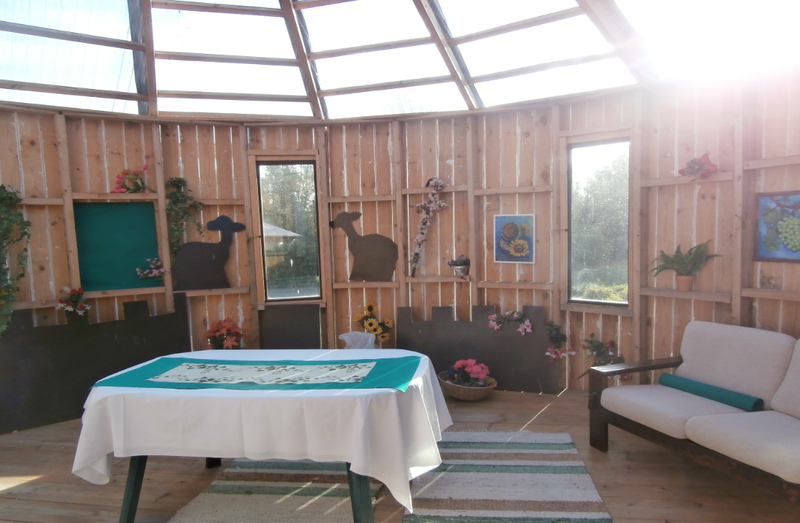 Reflexology therapy facilities are located in an old garden cottage. Home visits at affordable prices. 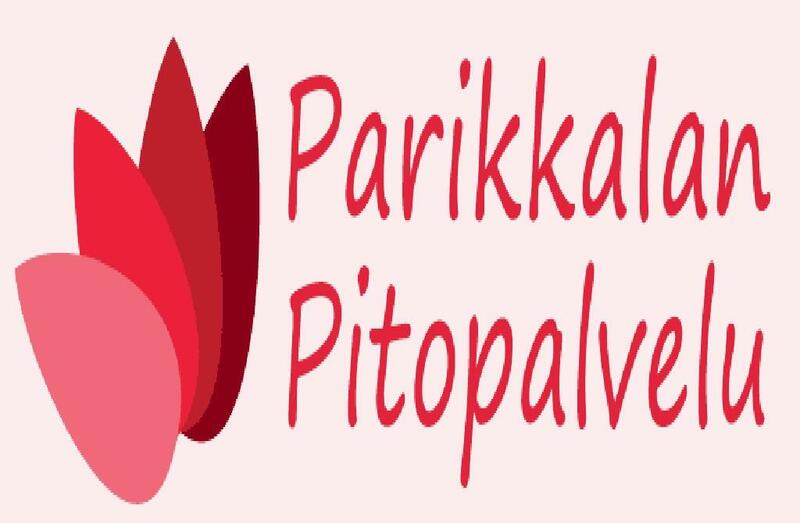 Jalkahoitola Pilpatti offers pedicures, foot care and treatments, Indian head massage and foot inspections for diabetics. Gift cards and foot care products for sale. Open by appointment Mon-Sat, also in the evenings. Lunch, pizza, a'la carte, specialty coffees and baked goods, catering service and liquor license. 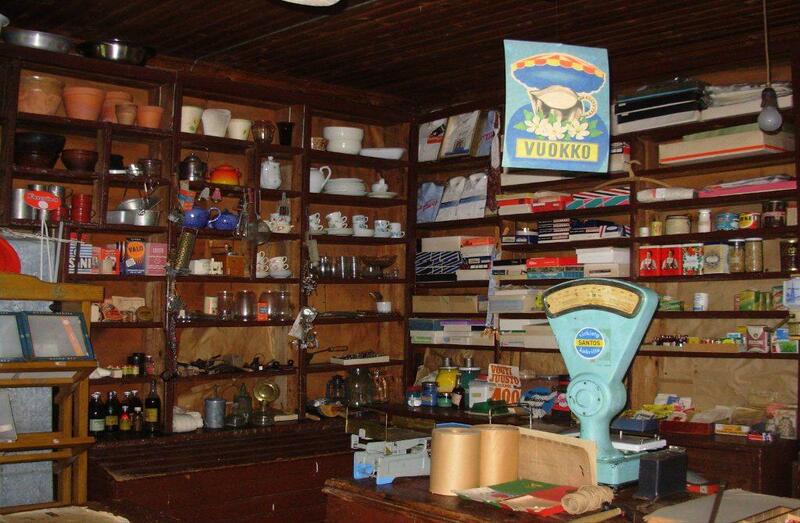 The oldest still operating grocery store in Finland is located in the village of Kirjavala in Parikkala. 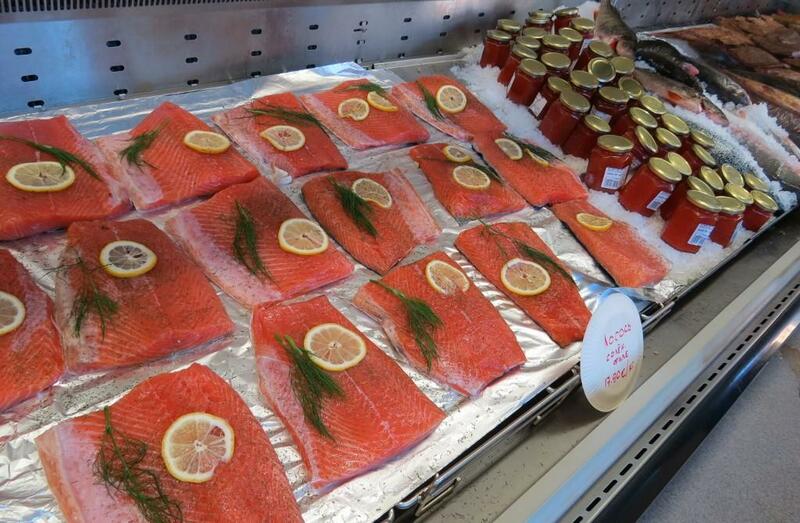 Diverse selection of local food products. Post office. Internet terminal. Fishmonger and fish smokery selling fresh fish, smoked fish, smoked salmon soup and processed fish products in the courtyard of Hotel Laatokanportti. 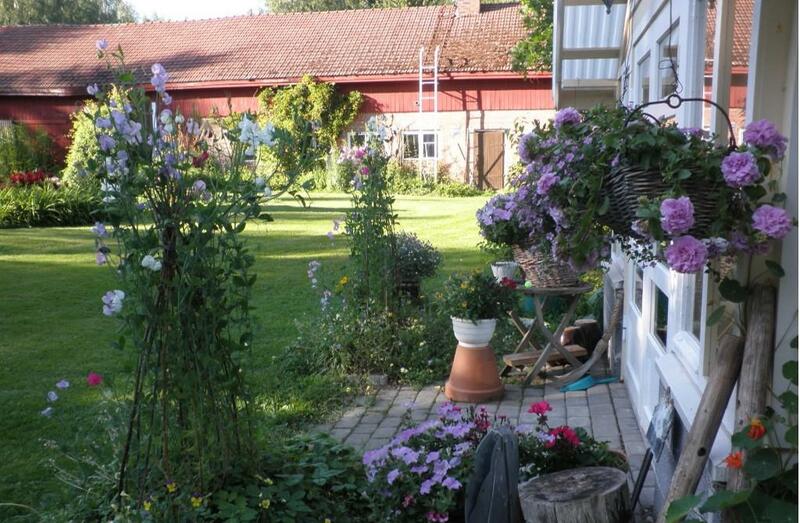 Opening hours 10.00–18.00 (20.00). 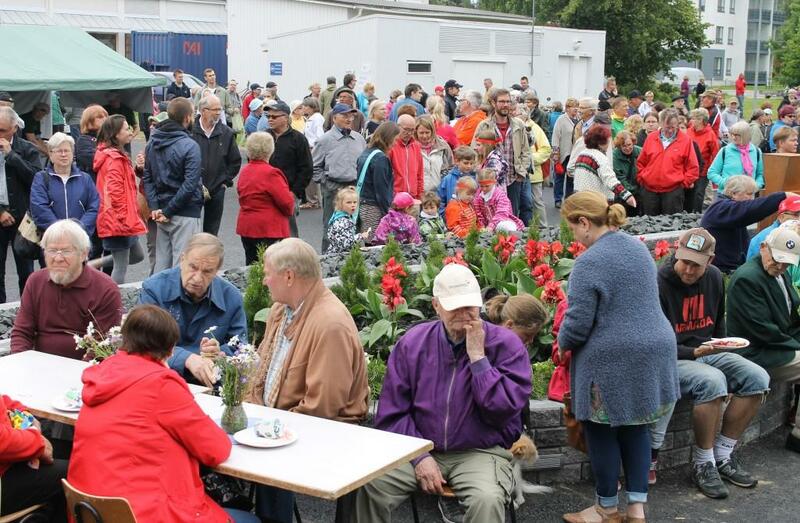 This spacious flea market is open from the beginning of May to the end of August. 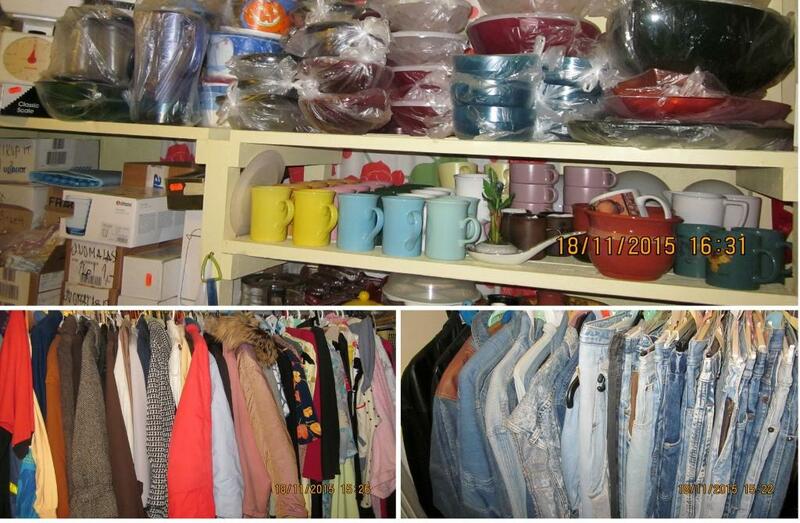 Secondhand items, clothes and furniture for sale. 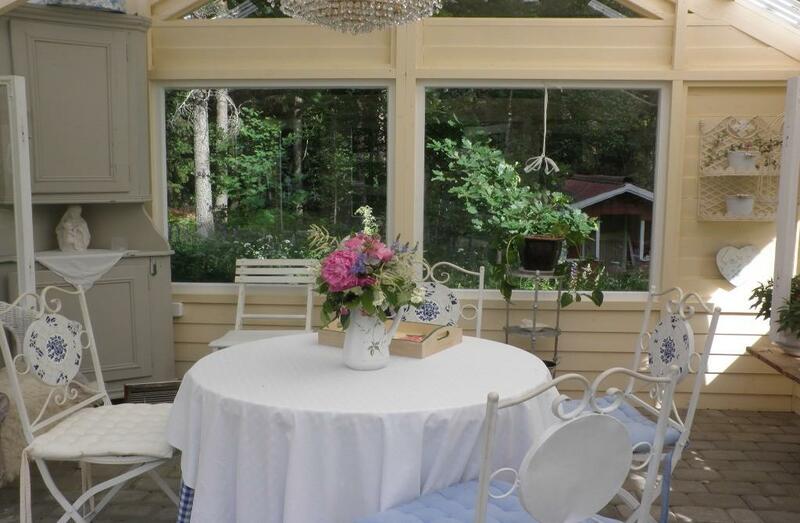 Rent your own table and sell your old stuff in Katri Kirppis! 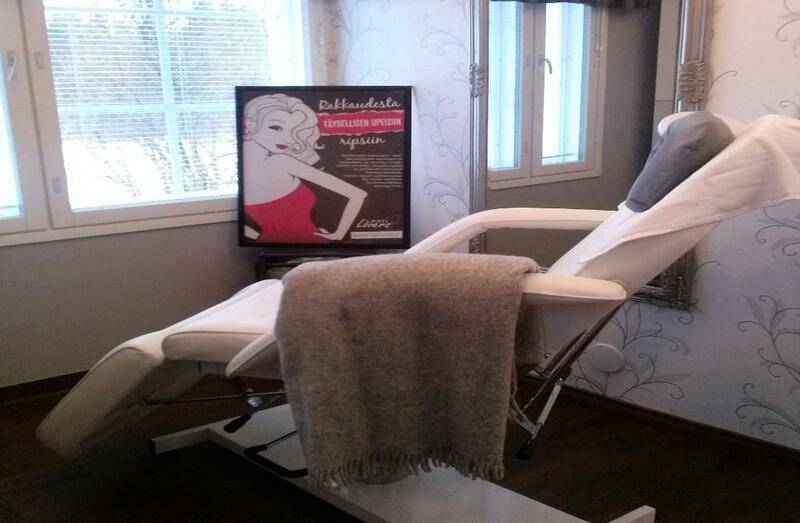 Here at the beauty salon Kauneuspiste-Bellezza we understand that our clients come here to look good and feel good. 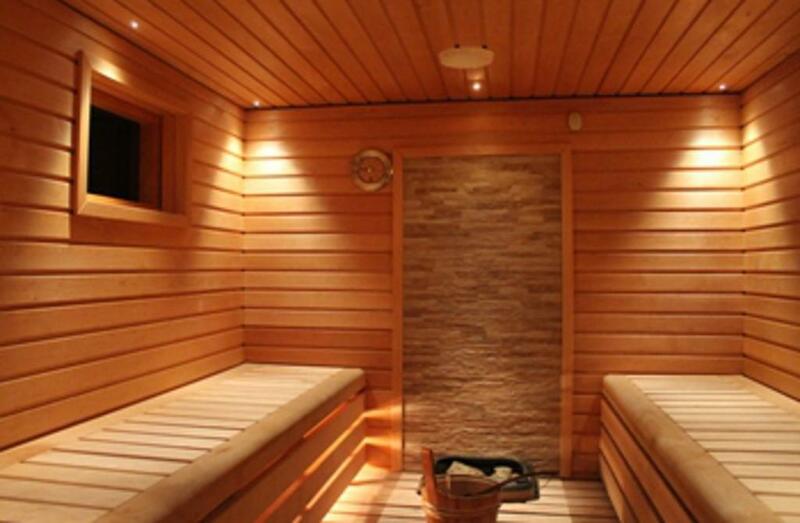 Our beauty treatments are perfect for relaxation and pampering. 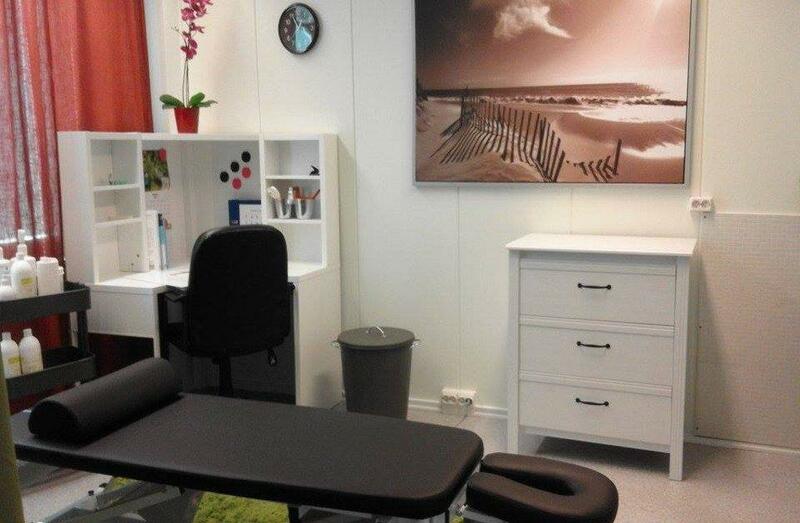 Services include facial, hand and foot treatments, colourings, make up, eyelash extensions and artificial nails. 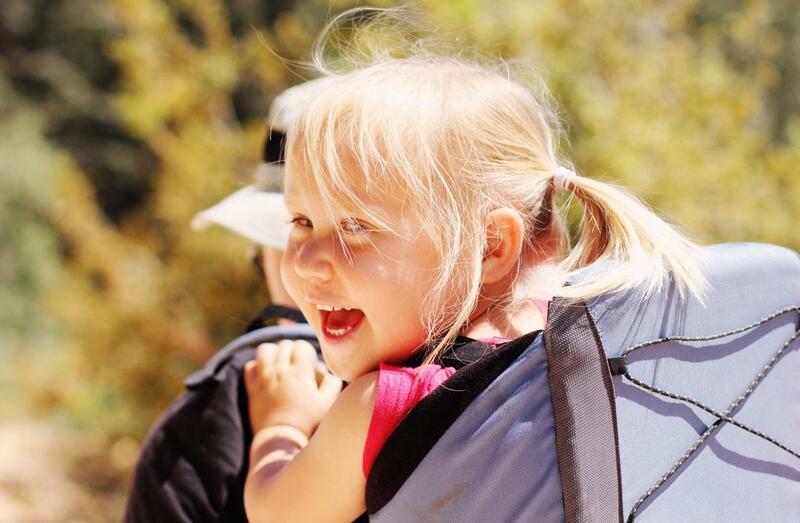 Kids’ Bible Park consists of a biblical teaching park and buildings for children and adults. 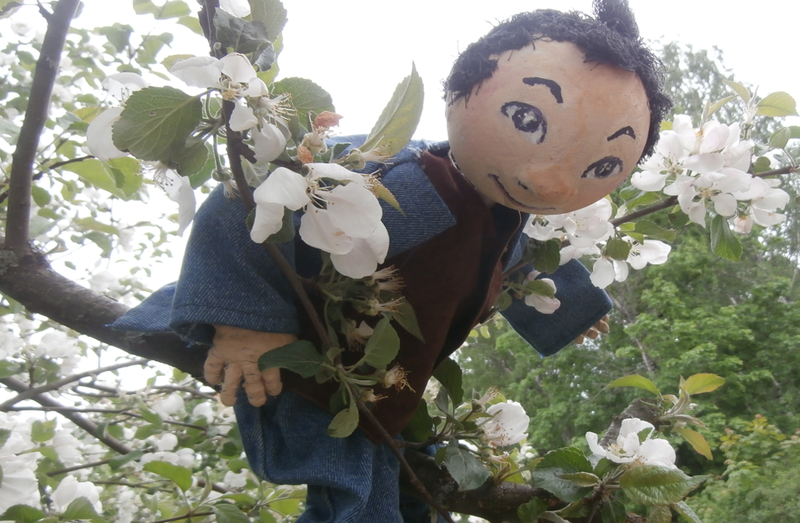 There are several exhibitions, for example drawings made by children, Bible-related pictures and paintings by Marja Pietarila, Marja Pentikäinen and Riitta Ahvonen, a cultural and historical portrayal of professions in Bible and miniatures. The exhibitions are open on agreement. Also available recreational activities for kids, including trampoline, skating ramp, bouncy castle, playhouse and playgrounds. KinoPattery is a local movie theatre in Parikkala. 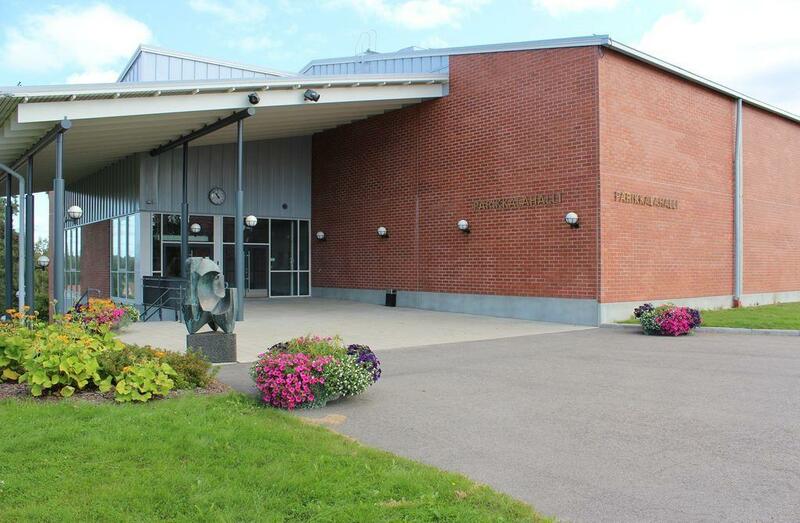 Movies are shown in the Harjulinna municipal building (Harjukuja 6, 59100 Parikkala), which holds 200 seats. The equipment of the movie theatre is transferable, so it is possible to organise movie events also in other facilities or even outdoors. 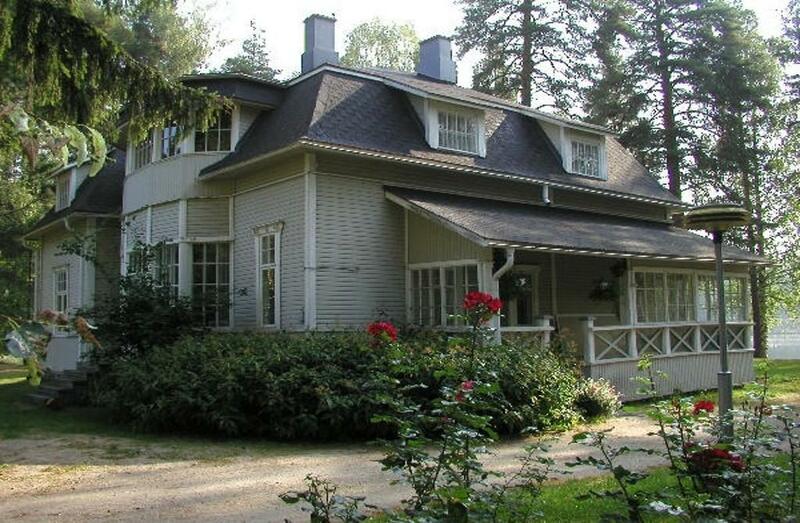 Koitsanlahti Manor is under the management of the Finnish National Board of Antiquities and Historical Monuments. At the moment the museum is closed, so it is only possible to see the buildings and grounds from the outside. Koitsanlahti Manor is Finland’s only "granted manor", and as such, has a cultural heritage and history which are unique in the area which is now modern Finland. 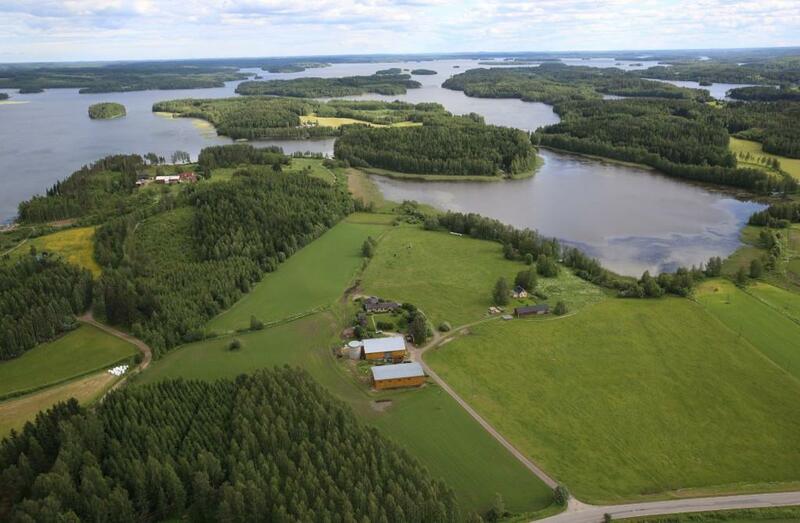 The Manor traces the history of the period when Sweden was a Great Power as well as the history of the "granted lands", and the situation of Finnish peasantry from the 17th to the 19th century. 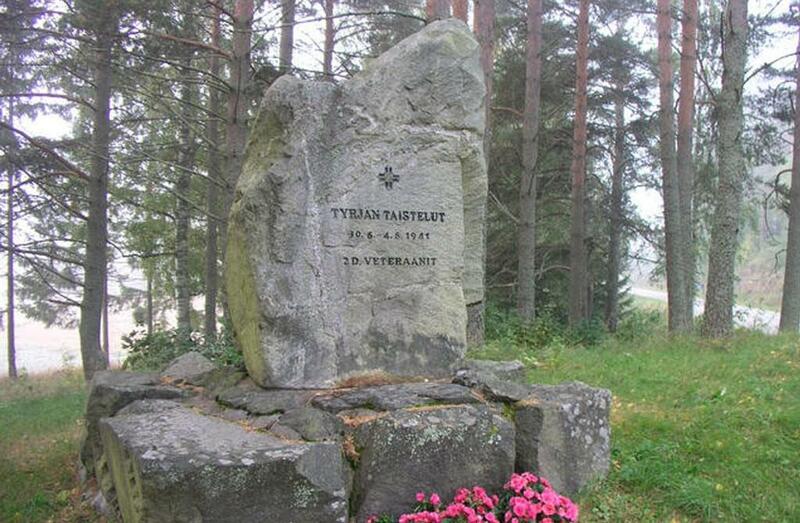 In the yard of the manor there is a memorial to honor the past generations. The memorial is called "Rocks of suffering" and it has been built in 1958. Flea market selling clothes, shoes, tableware, bags etc. Also available PartyLite candles and accessories and Magnetix Wellness magnetic jewellery. Located in a private house, and open always when the owner is at home. 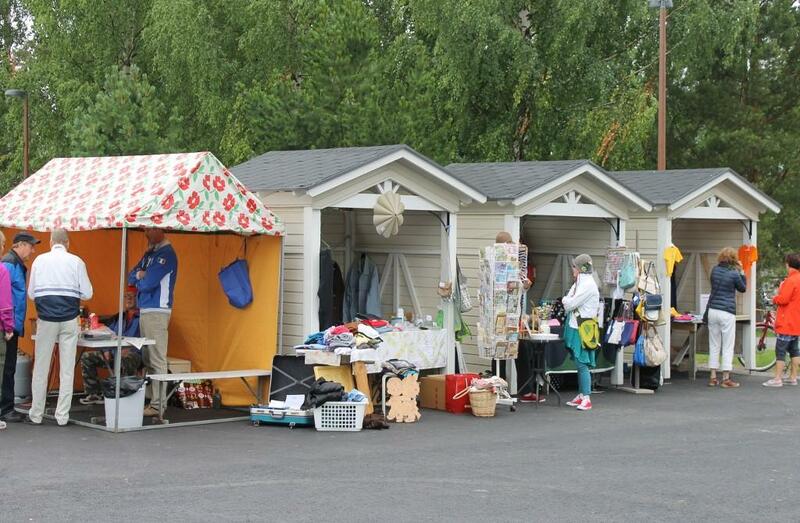 During summer items for sale in the Parikkala marketplace on Saturdays from 8 am to 12 am. 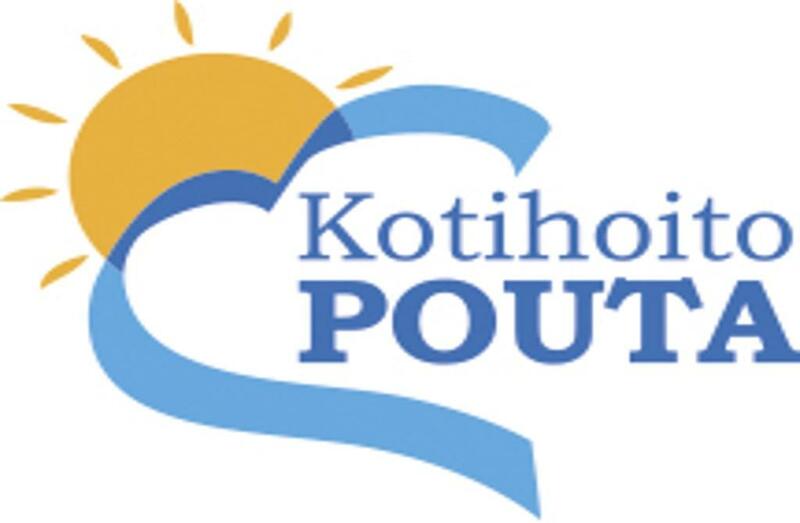 Kuntohoitola Mäkelä offers physiotherapy related services which include physical therapy, sports and gym activities, lectures, product sales, doctor appointments and light therapy for skin conditions. 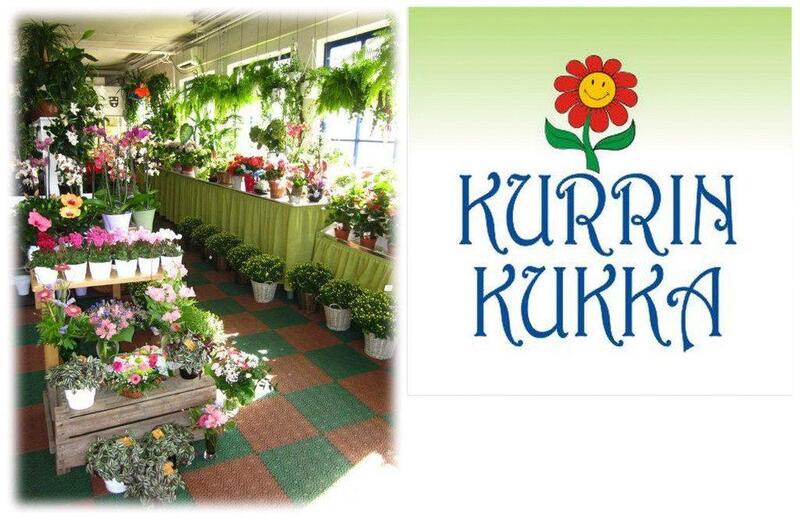 Kurrin Kukka is a flower shop located by the main highway 6 in between Parikkala and Särkisalmi. 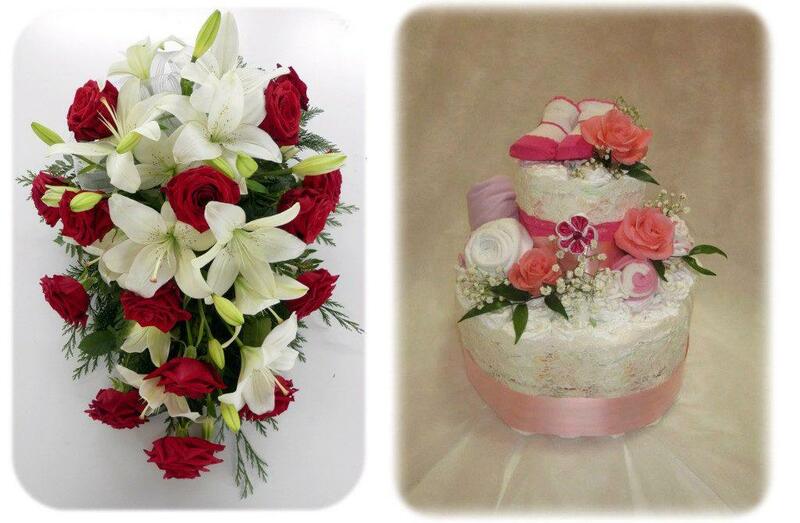 We create beautiful, natural bouquets and arrangements for all occasions. 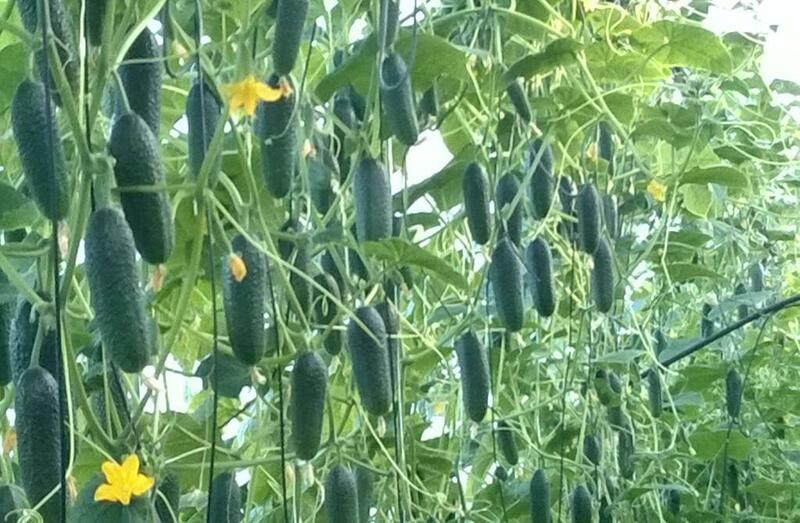 In the summertime summer flowers and flowers in hanging baskets are growing in our greenhouse. Gifts and craft supplies, including angels, material for porcelain painting, diaper cakes etc, for sale in our shop. Delicious homemade baked goods and GlutExo products are available in our cafeteria. 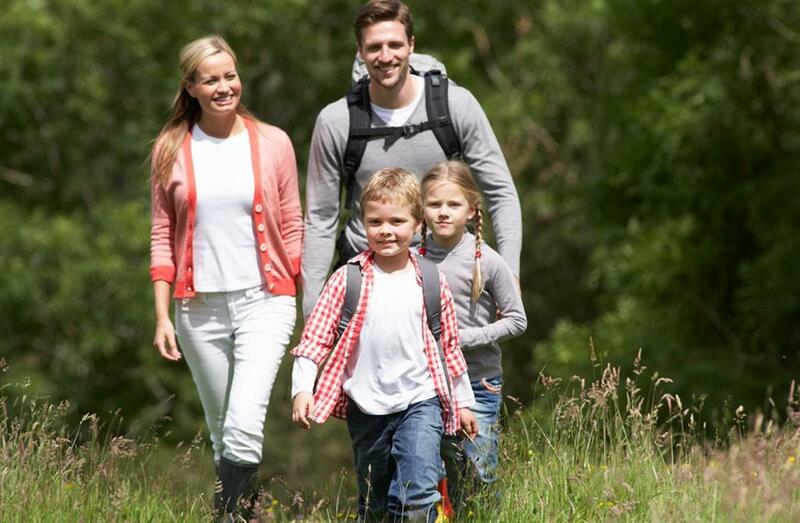 Hiking trail with a length of 9.5 kilometres in the area nearby Oronmylly. Many interesting sights along the trail, for example potholes and the river Kyynärpäänjoki. There's also two lean-to shelters along the route. Which book do you want to read today? 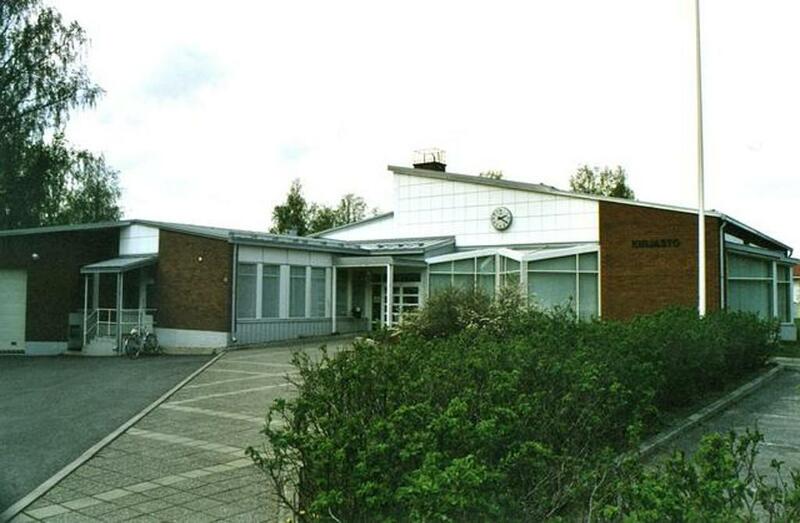 There are three libraries in Parikkala. The main library is located in the city centre, smaller libraries are located in Saari and Niukkala. Up-to-date information on the libraries and the opening hours is found on the libraries own website. Berry farm Marjatila Hallikainen offers ready-picked berries. 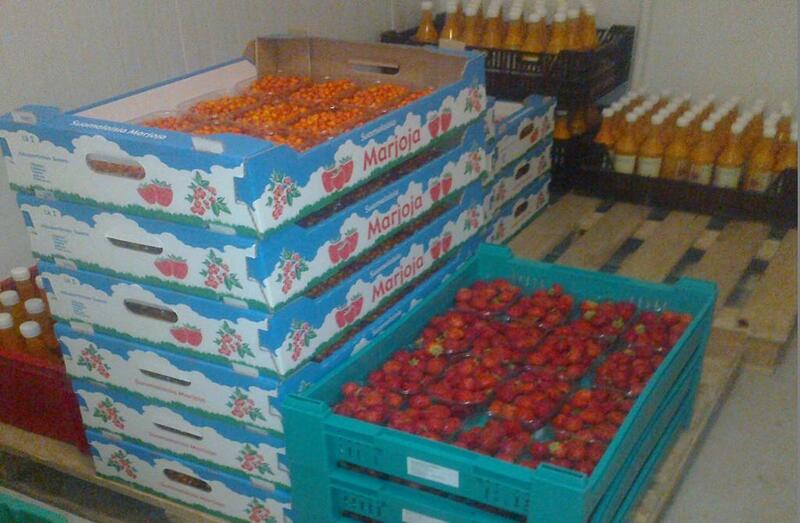 Our strawberries, raspberries, blueberries and sea buckthorn berries are delicious. 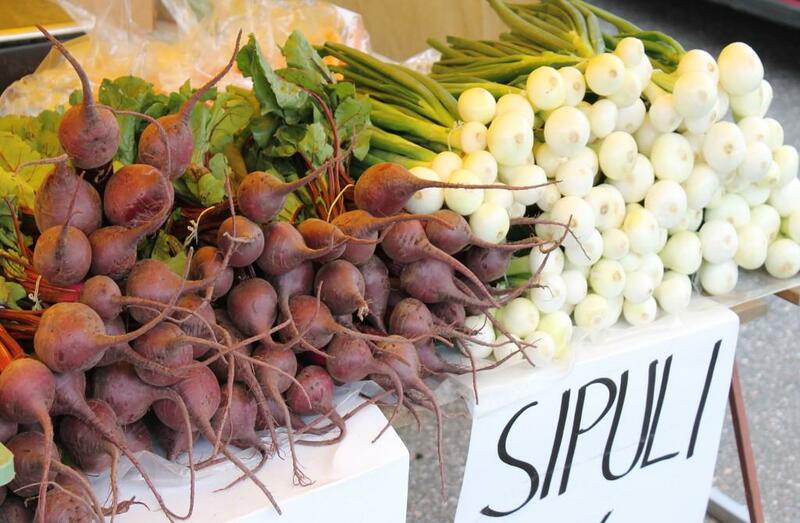 The main market square is located in the city centre by the lake Simpelejärvi. 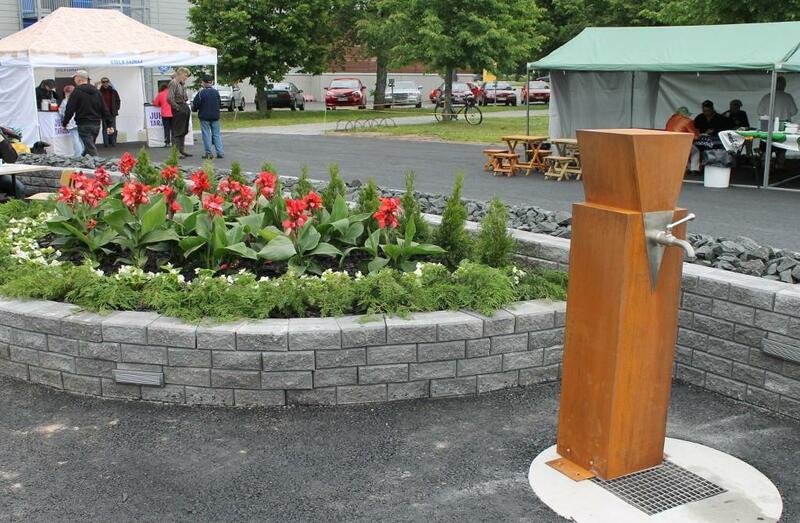 Come and take a look at the new statue of the maid of Parikkala! Opening hours: Mon-Thu 8am-2pm, Fri 8am-8pm. On summer Sundays there's a coffee shop held by the local parish. 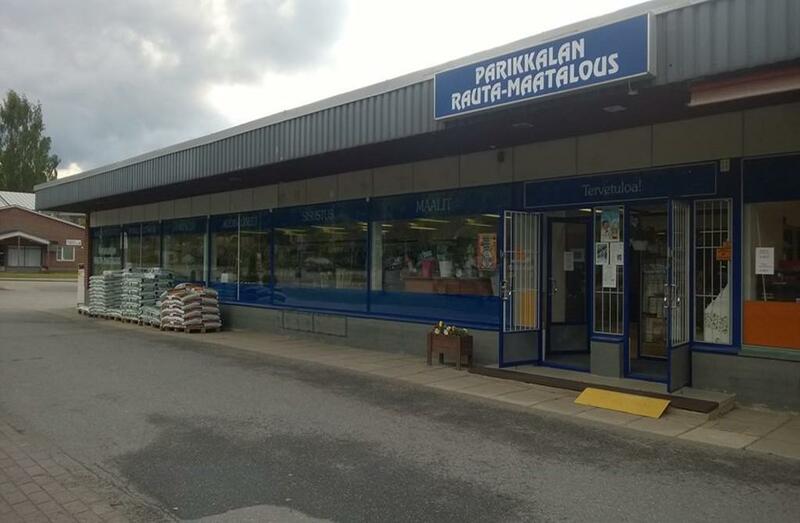 Besides the main marketplace, there are also several other marketplaces in Parikkala. 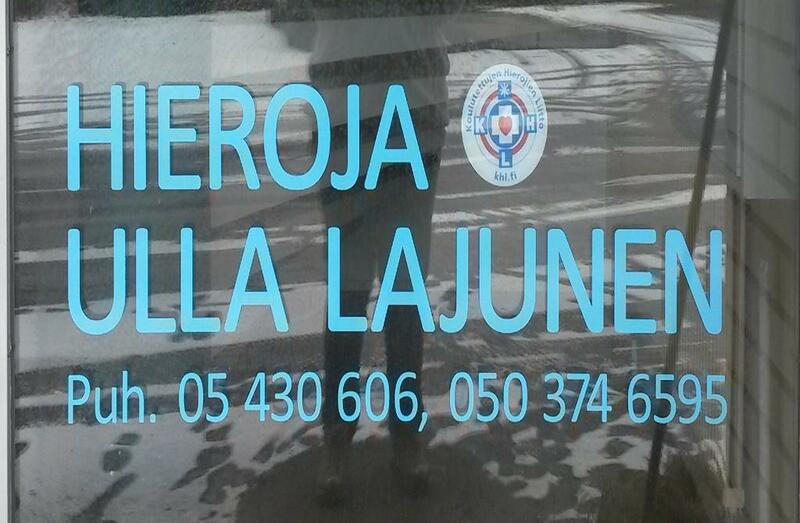 Masseuse Ulla Lajunen has been at your service for 25 years. 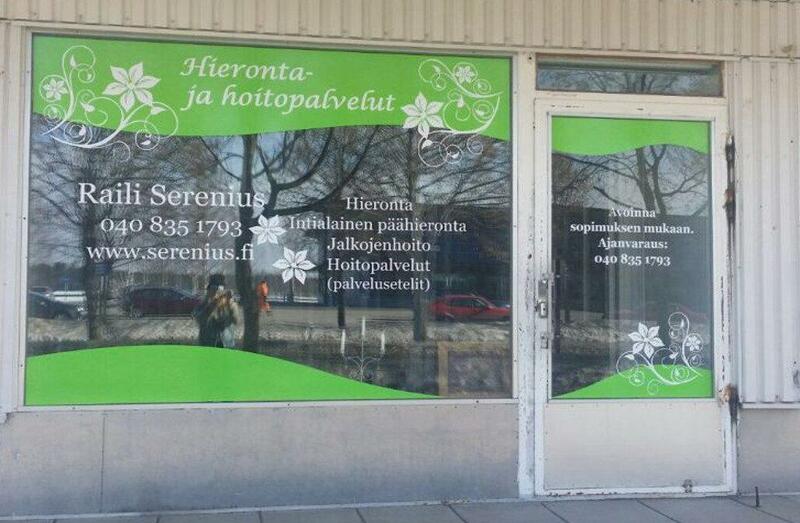 Traditional massage services are offered in the Parikkala city centre. Give me a call and make an appointment. 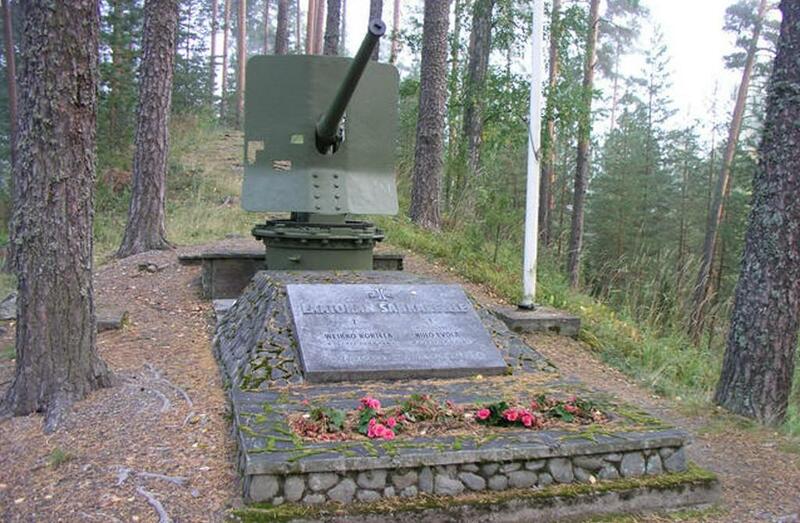 Information on memorials in Parikkala. 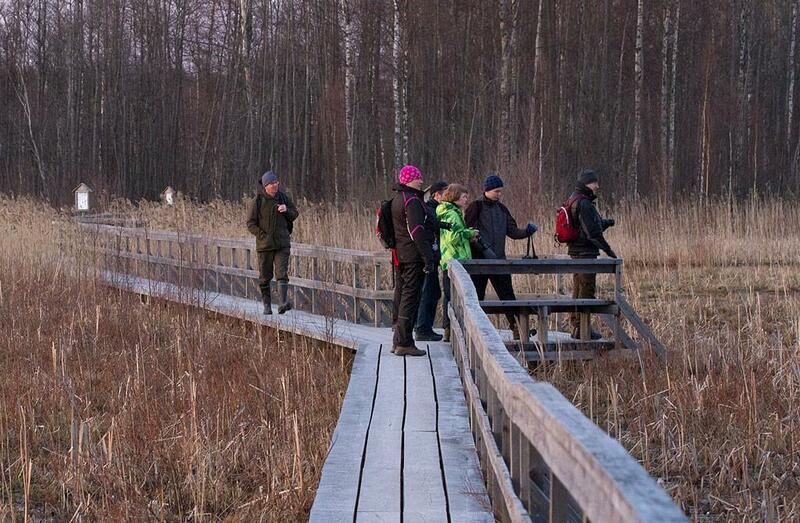 Mikkiksen Tarinapolku Hiking Trail offers two different routes, lengths 3 km and 13 km. The trails run through spruce forests and lush broad-leaved forests . 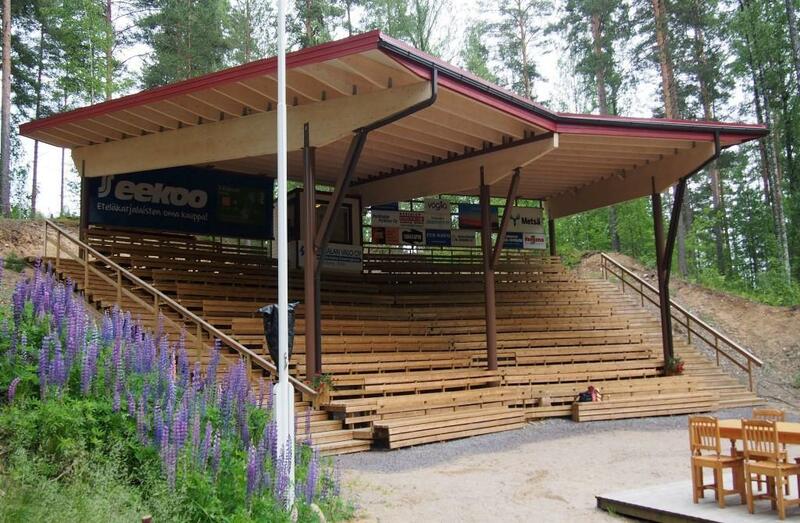 A local amateur summer theatre in the village of Mikkolanniemi. Excellent and unforgettable shows, plays and musicals have been performed for a period of 7 years. 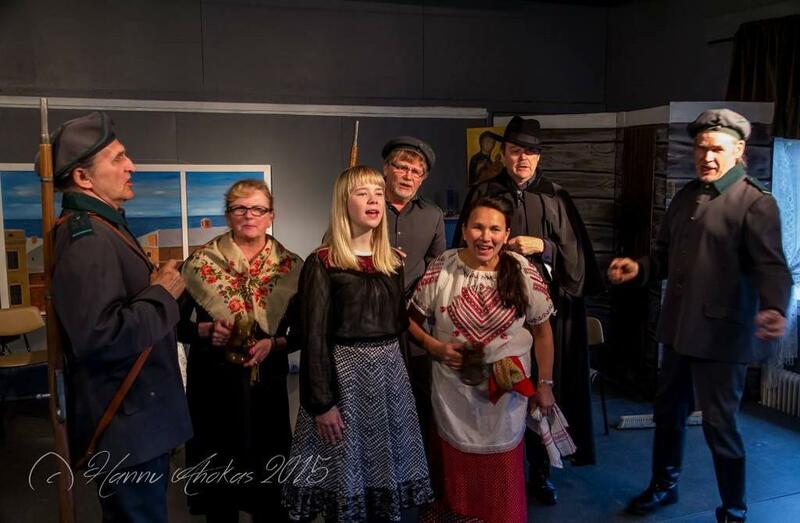 In 2015, the theatre performed the traditional music play Jääkärin Morsian (Soldier's Bride). 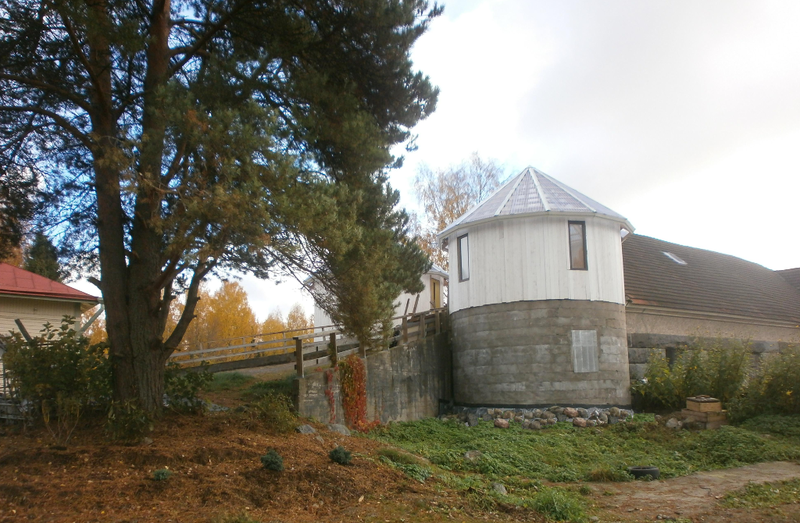 The museum is located at the Akonpohja Ravipirtti, by the former horse-racing track. The museum displays local traditions of using horses for work. Nowadays the horses have been replaced by tractors. A special feature of the museum is a genuine Western wagon brought here from America. 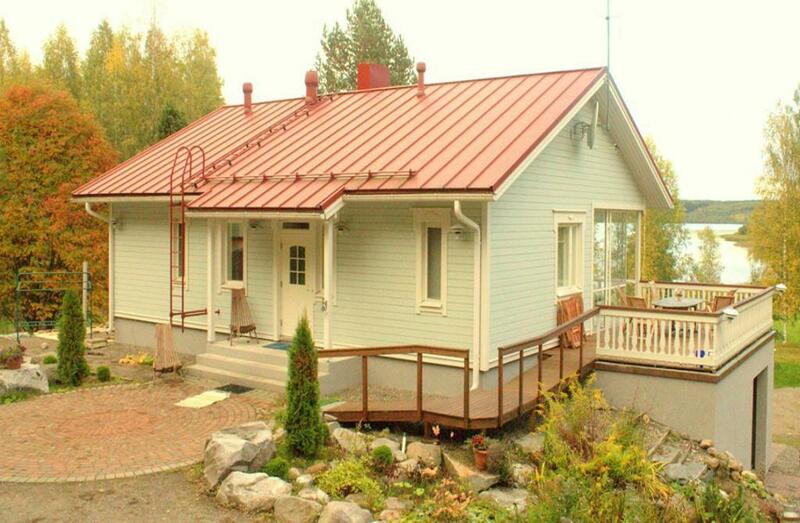 As far as we know, it is the only one of its kind in Finland. The museum is open only by prior arrangement. 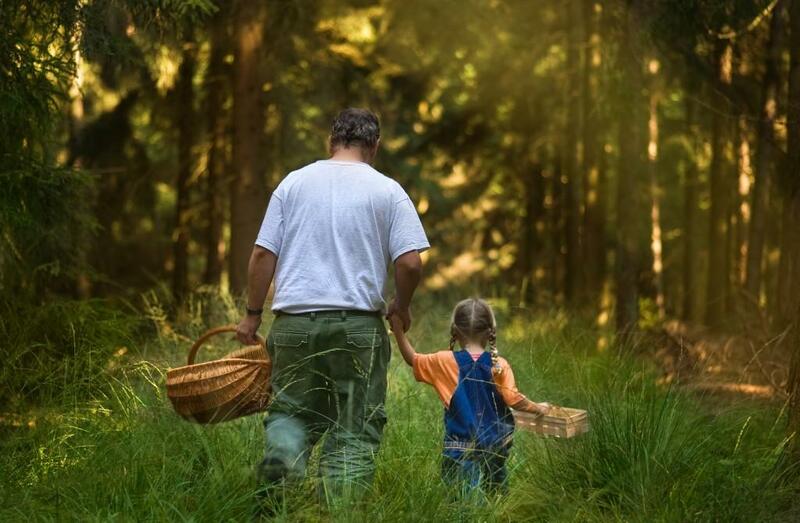 Mushrooming in the middle of the forest is a fun activity for everyone. 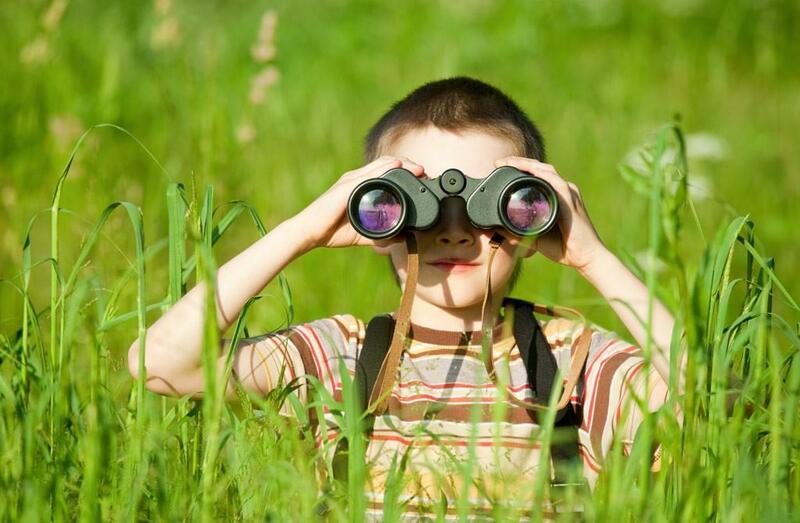 You can walk slowly in the forest and observe the nature around you - it is a very good way to relax your body and mind. 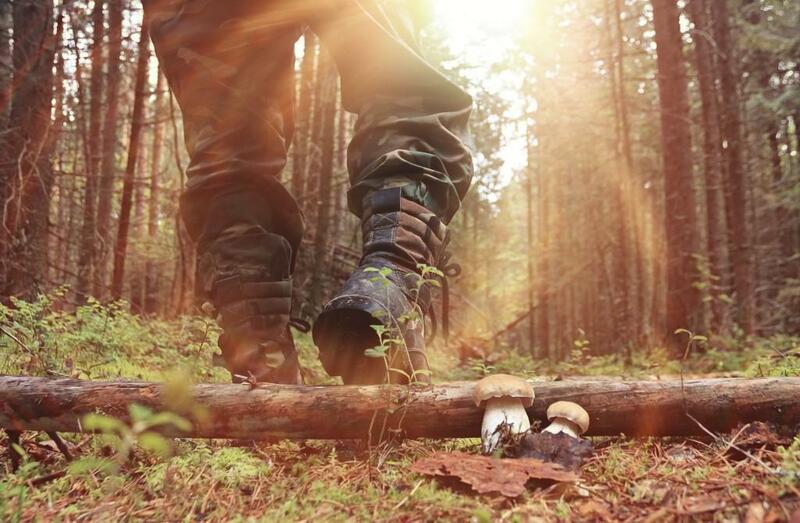 Mushrooms can be freely picked in Finland's forests under everyman's right, but be careful which varieties you pick, as some fungi are poisonous. 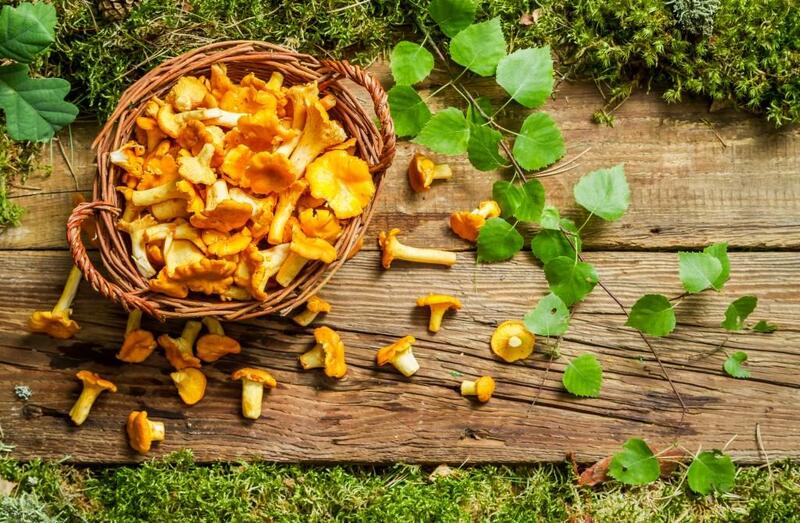 Other pickers can be asked for advice, but it is considered impolite to gather mushrooms too near other people - or too near homes and gardens. 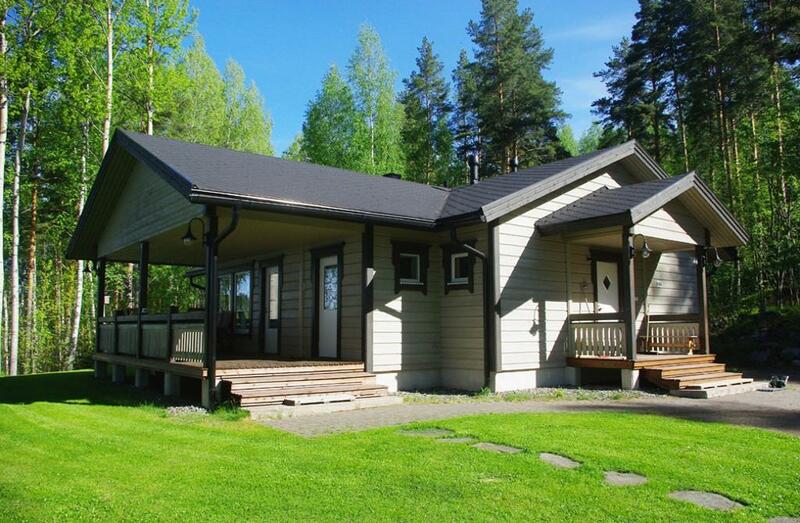 Parikkala offers excellent grounds and forests for mushroom hunting. 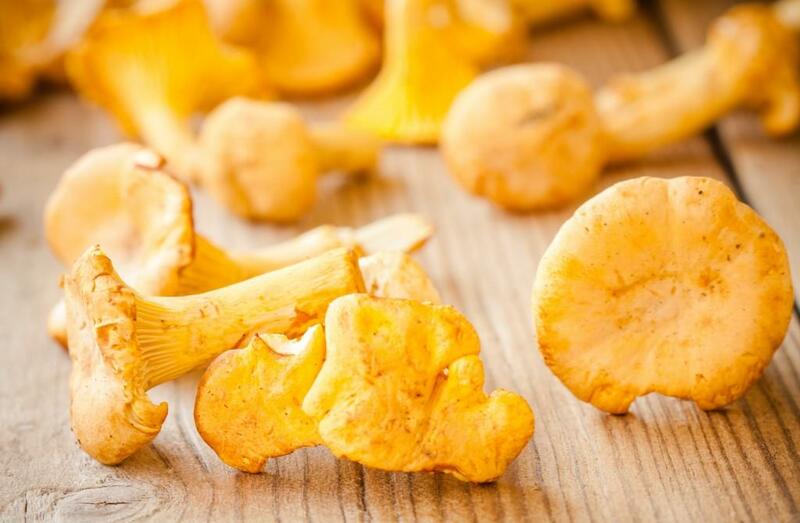 Yellow, funnel-shaped chanterelles (Cantharellus cibarius) are among the most popular mushrooms with pickers. 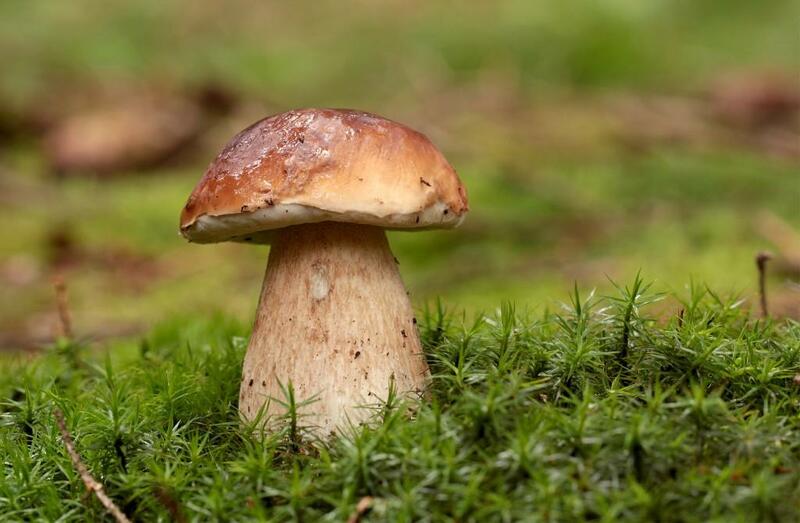 Other popular mushrooms include Ceps (Boletus), which are bigger and easier to spot, but must be picked quickly before they become infested with grubs. Russulas and milkcaps (Lactarius) are picked to use in salted preserves. 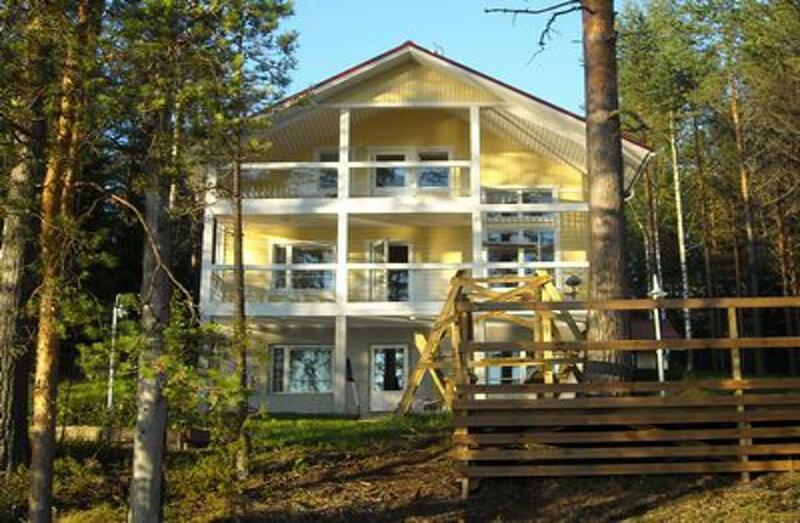 Besides Hiking Routes, there are many shorter nature trails and running trails in Parikkala. Parikkala is a good region for night singers. 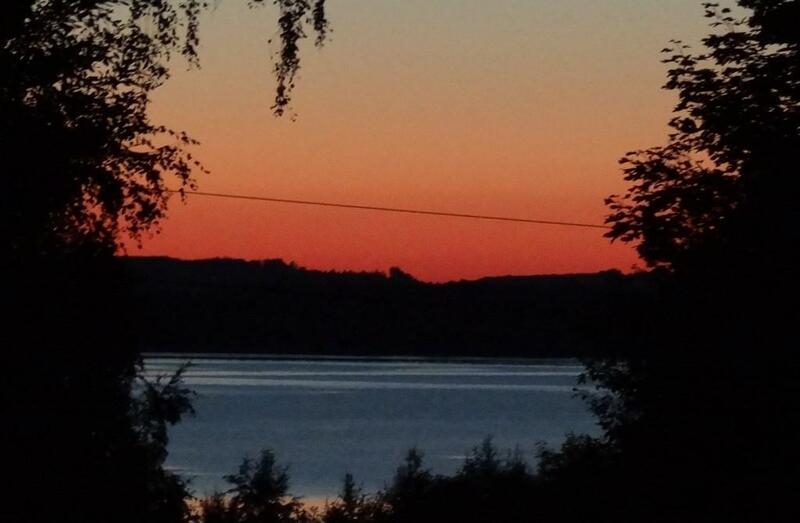 The ridges of Salpausselkä are the only places where night singers usually don't perform. The number of Blyth's reed warblers and thrush nightingales is large. The marsh warbler is not met as often as the Blyth's reed warbler, as it is a species that is more demanding of its habitat. 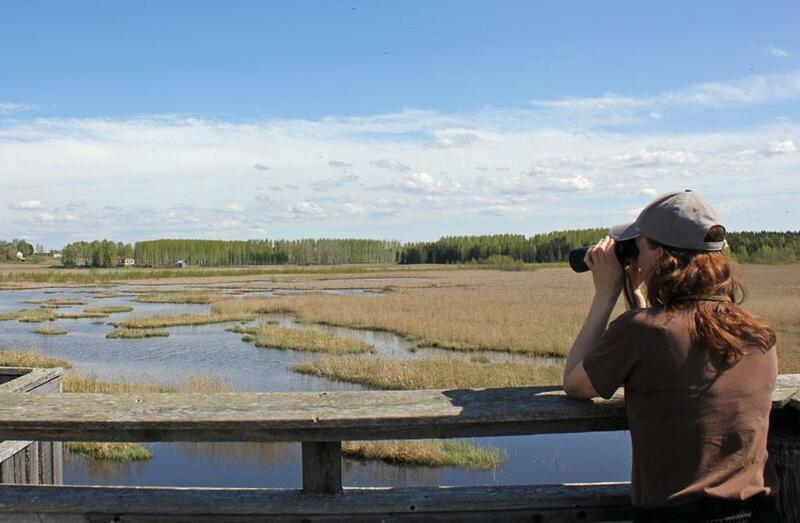 Eurasian reed warblers and great reed warblers can be seen and heard at Siikalahti, and in some other reed beds by the area. Common grasshopper warblers and river warblers tend to stay by the bushes on the sides of the open fields. Savi's warblers and lanceolated warblers are rare birds in the area. 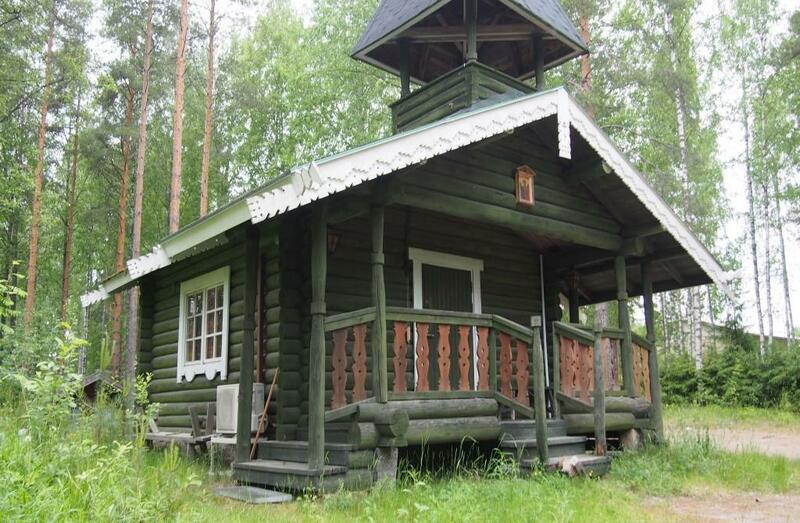 The Orthodox village chapel is built in 1979, and it is located near highway 6. Driving directions: Turn to road Tiviäntie from highway 6. The chapel is located on the left, on top of a hill. There is a parking space at the foot of the hill and stairs leading to the chapel. 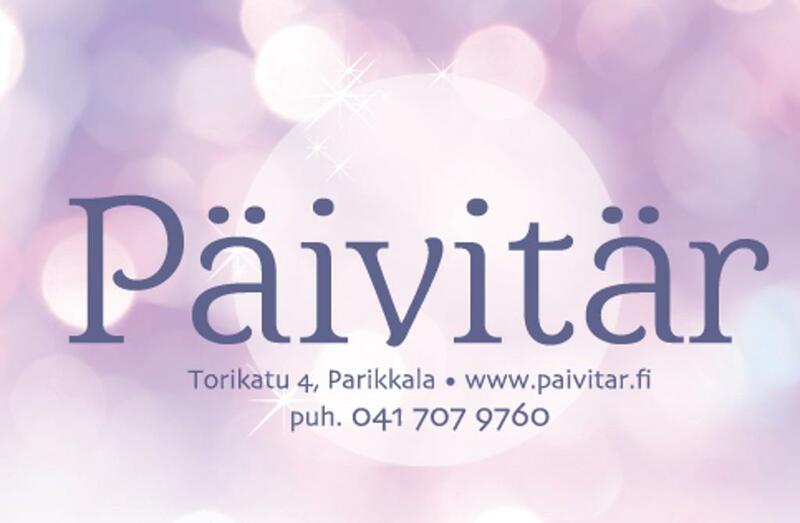 Päivitär helps you to find a new way to look at your life through light, energy and angels. 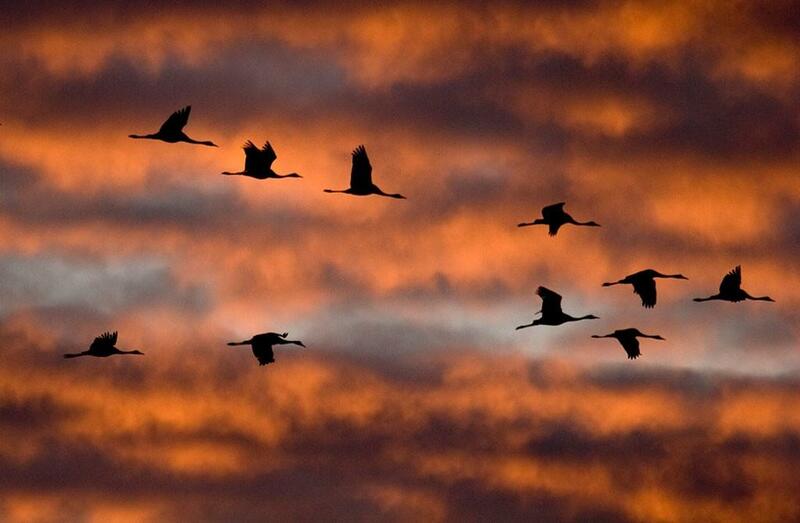 Feel your body and mind relax while meditating, examine your life with the help of angel cards. Let go of the old, build up positivity and let love shine in energy healing. 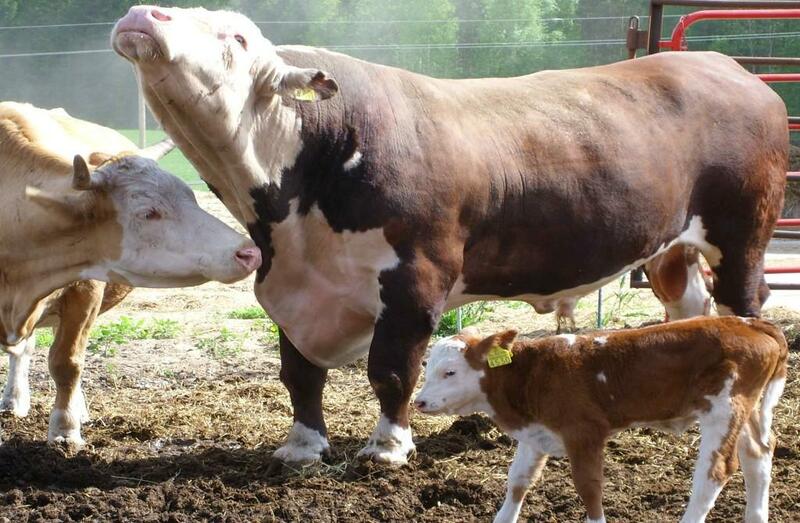 You are warmly welcome! 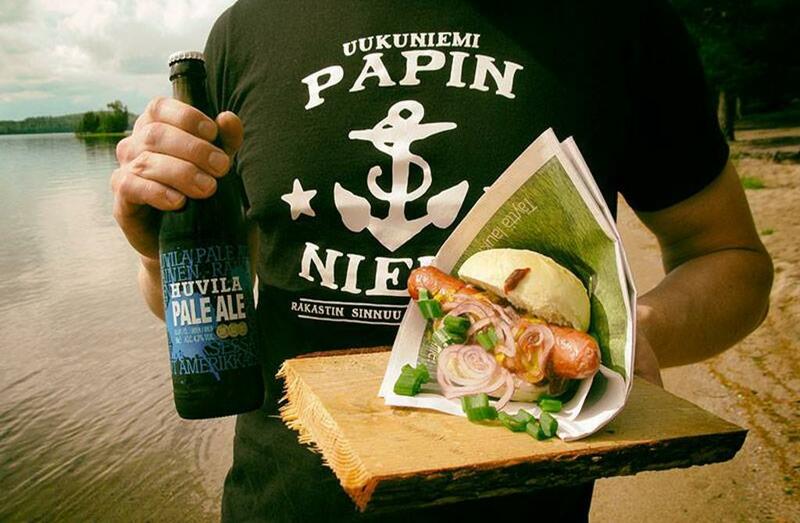 Palvi-Pirtti manufactures cured meat products. 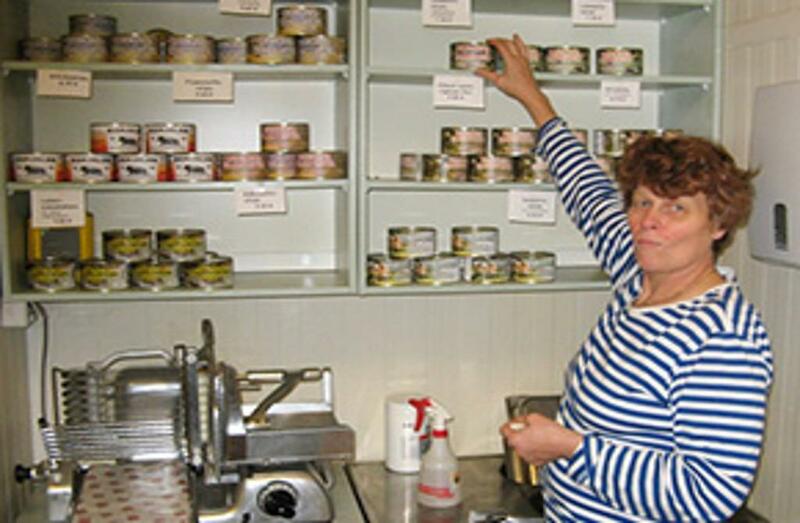 Delicious cured and canned treats are produced for everyone and in every occasion. 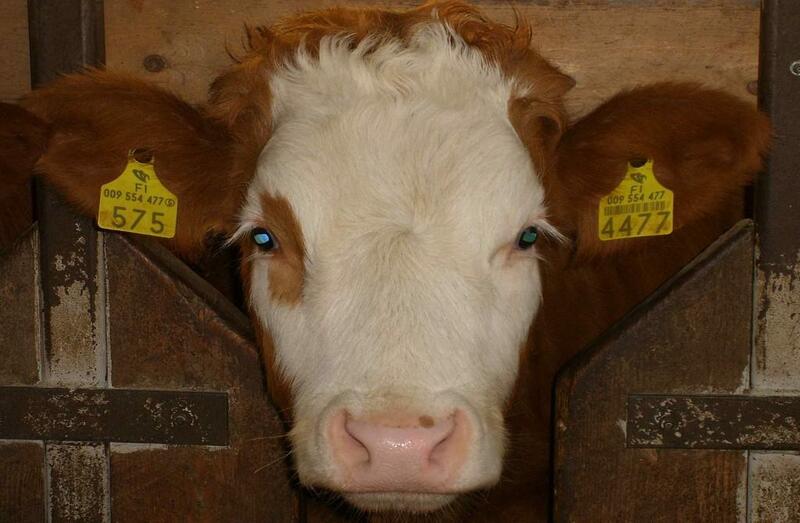 Fresh meat also available - lamb, Eastern Finncattle, pork and turkey. 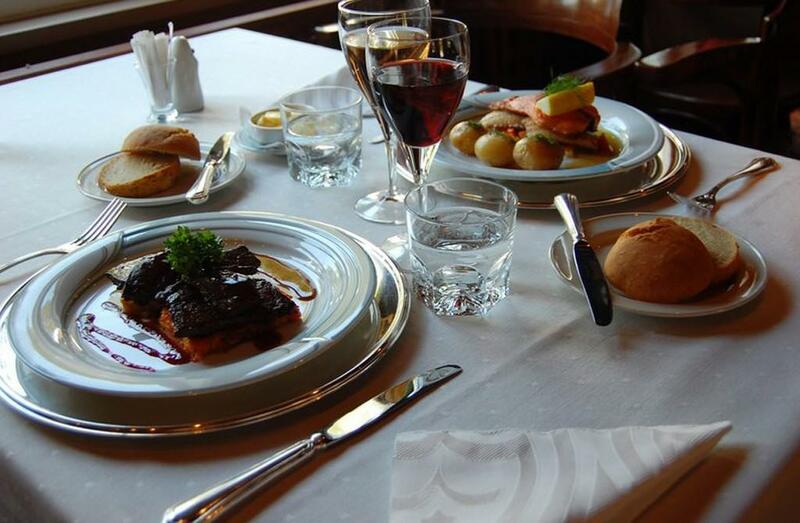 Seasonal meats include venison, wild boar, reindeer and Highland Cattle. All products are gluten and lactose free and therefore suitable for most diets. 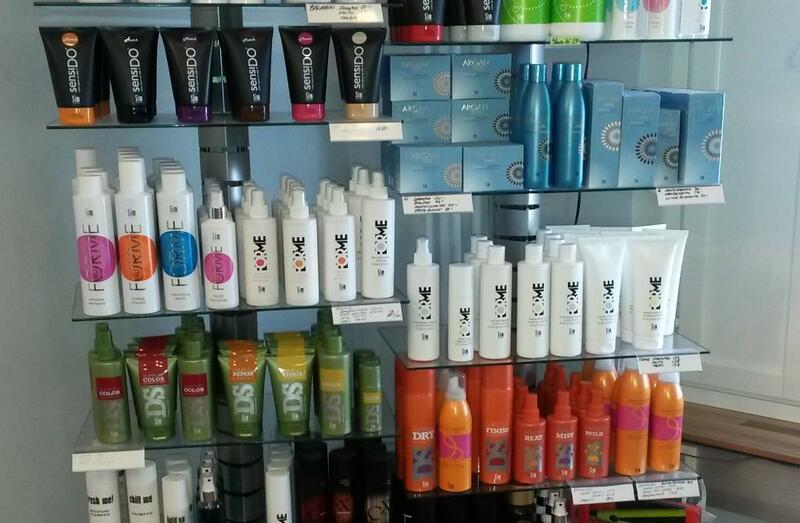 Make an order and pick the products up from our shop or come by to see what we have in stock at the moment. 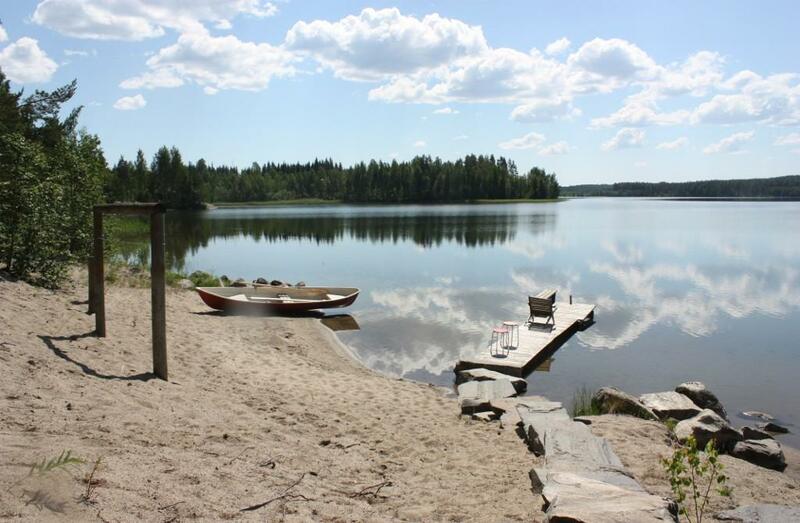 The archaeological site is located near the Papinniemi camping site in Uukuniemi. It contains the remains of an Orthodox church, a cemetery and a village which were situated in the area in the 15th-17th centuries. The settlement was completely deserted in the middle of the 17th century. 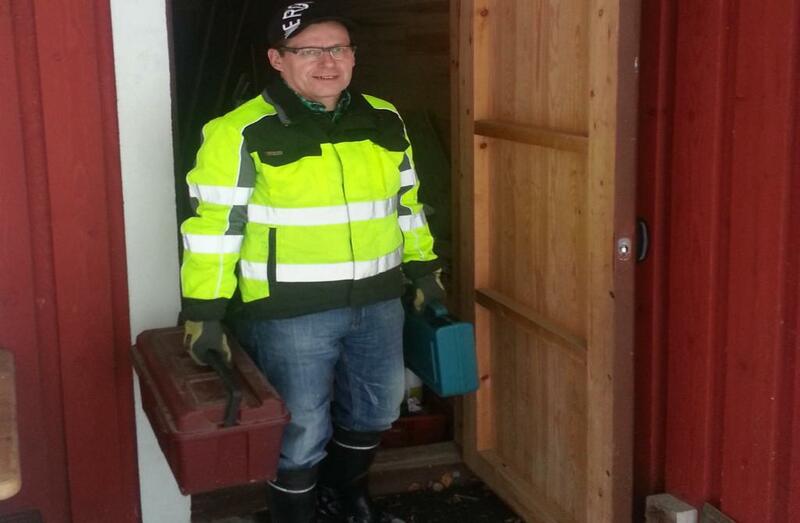 Excavations have been carried out in the area by the University of Turku. There have been numerous very interesting findings. You can explore the area independently. 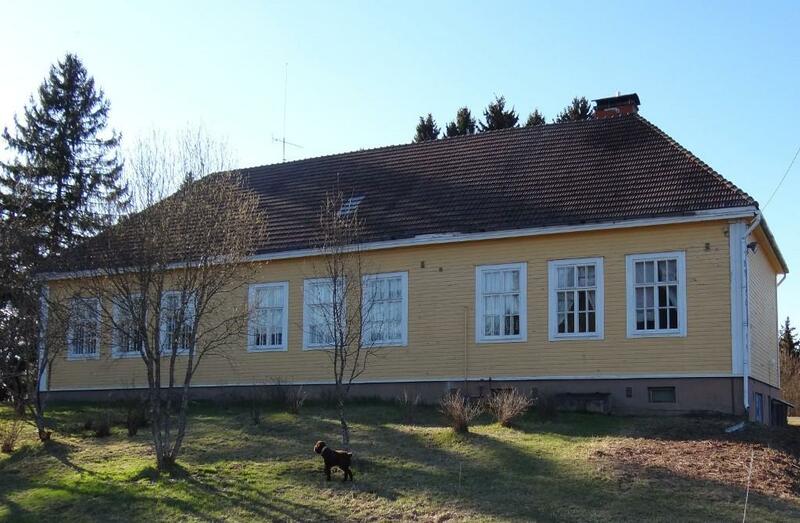 Parikkala Arts and Crafts Centre is located in the former parish house, built in 1834 and located next to the church. In the Arts and Crafts Centre you get guidance for weaving carpets and other textiles and making all kinds of handicrafts. 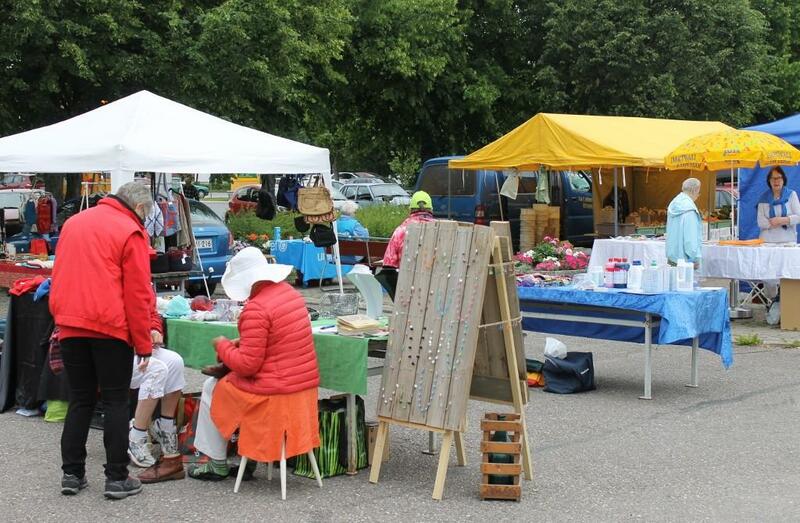 There is also an excellent gift shop selling handicrafts, materials and other products. 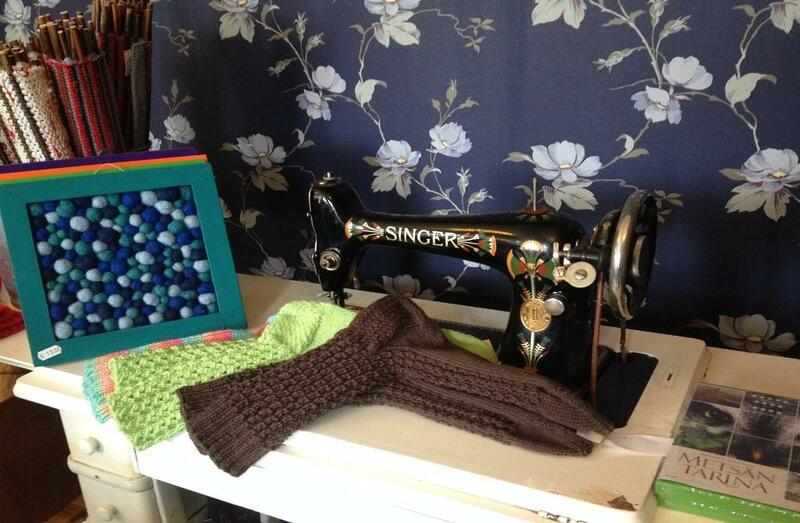 Different types of events, courses and exhibitions are organised in the Arts and Crafts Centre all year round. 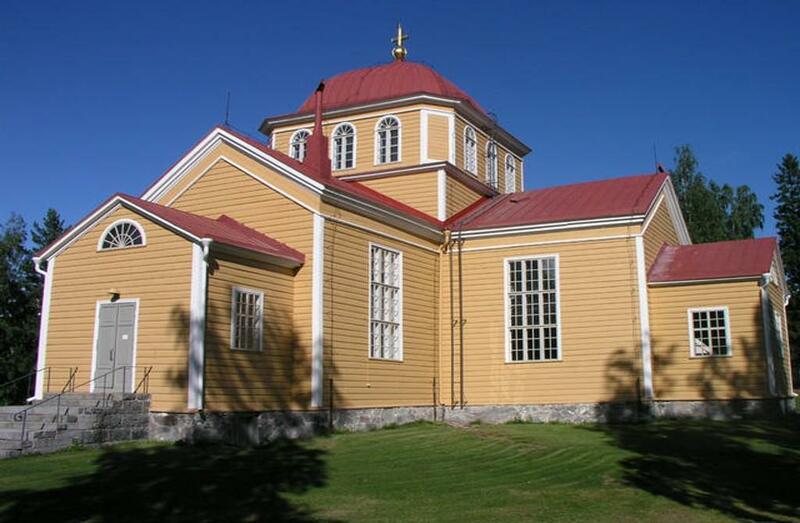 The wooden, double cross church in Parikkala is built according to the drawings of the Italian-born Carlo Bassi. 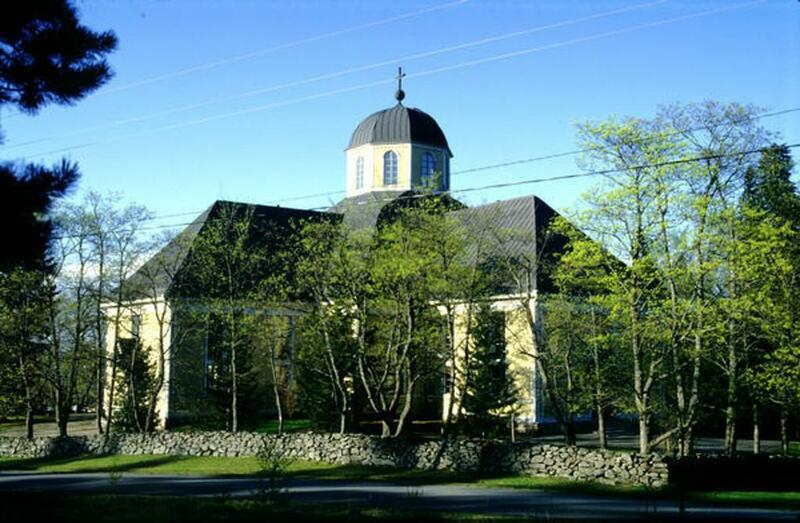 The actual building works were done under the supervision of church building contractor Matti Salonen during the years 1813-1817. There is room for 1,600 people in the church. It is the fourth church in the same location. The first one was built in the 1690s. The altarpiece is painted by the Russian artist named Grevishevsky, and it depicts the Transfiguration of Christ. During summer the church serves as a road church and is open to the public regularly. 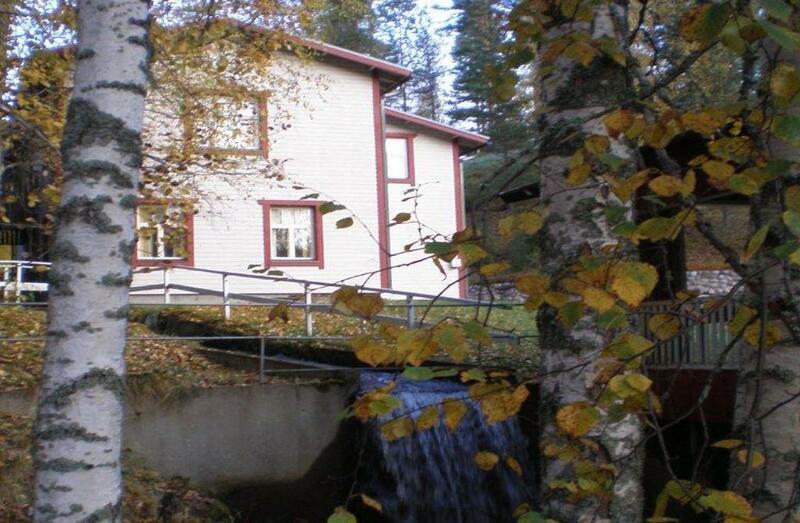 The Parikkala Dairy Museum was originally established in 1980, and it was located in Meijerinsaari (Dairy Island) in Särkisalmi. 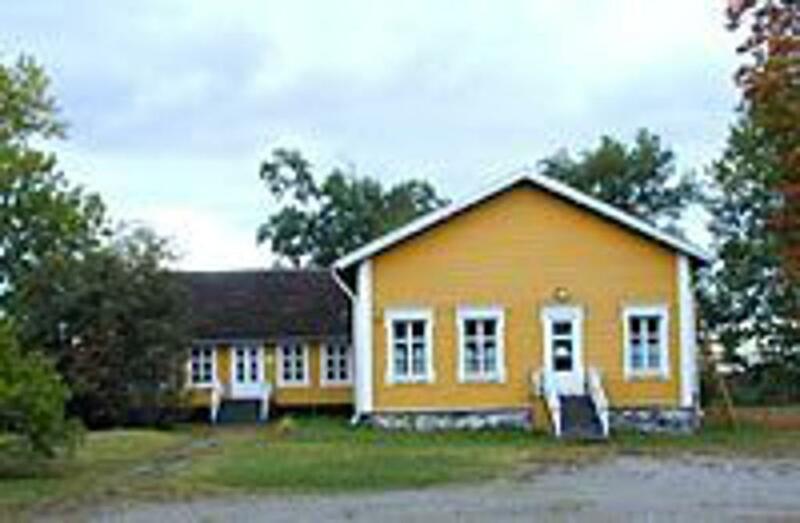 In 2004, the museum was moved from Särkisalmi to Parikkala, next to the Local History Museum. 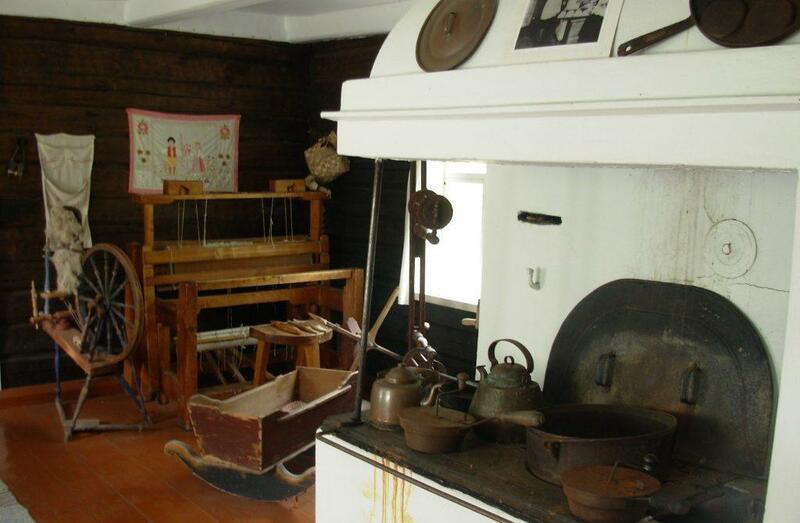 In the three display rooms of the small dairy, visitors can encounter dairy work as it was performed in the early 20th century. 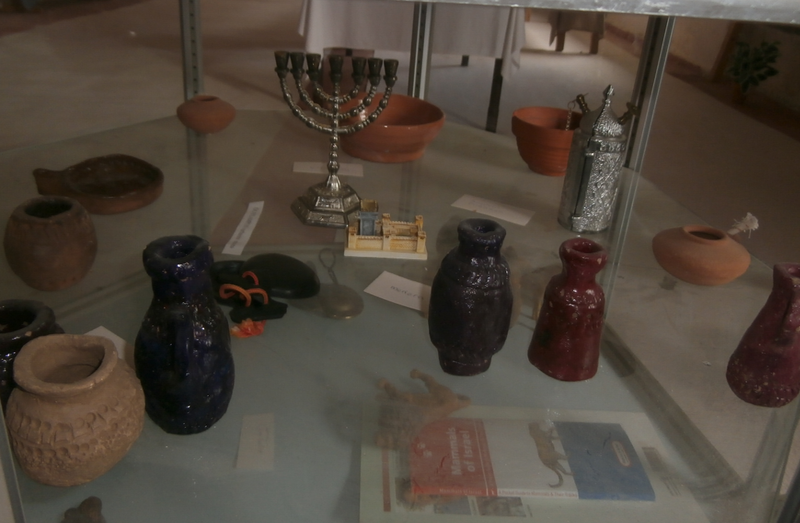 The displays include objects used for handling milk and making cream and butter. Items exhibited in the dairy hall include a wooden butter table, milk separators and churns. In the store room (the ‘milk room’) you can see moulds used for making butter. The room next door has been furnished to resemble the office of the dairy supervisor in the early 1900s. She had her own room and a strictly specified set of working clothes, also on display here. 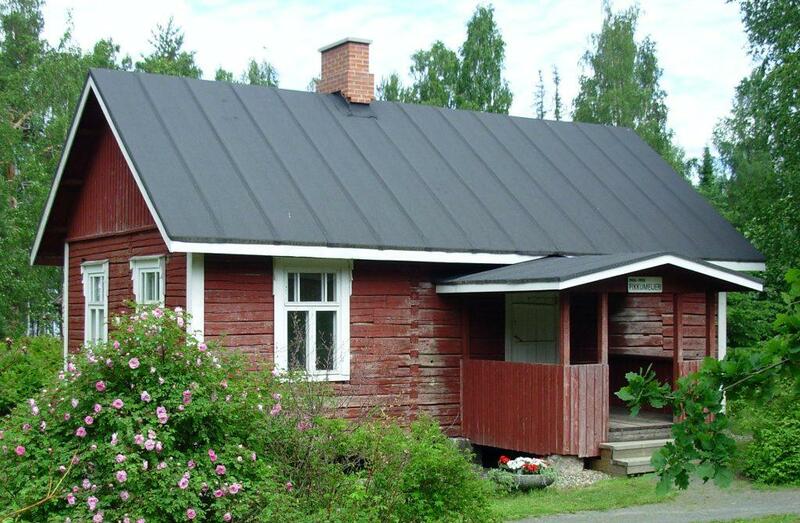 In 2008 the Parikkala Dairy Museum was rewarded the award of the Local Museum of the Year in South Karelia. 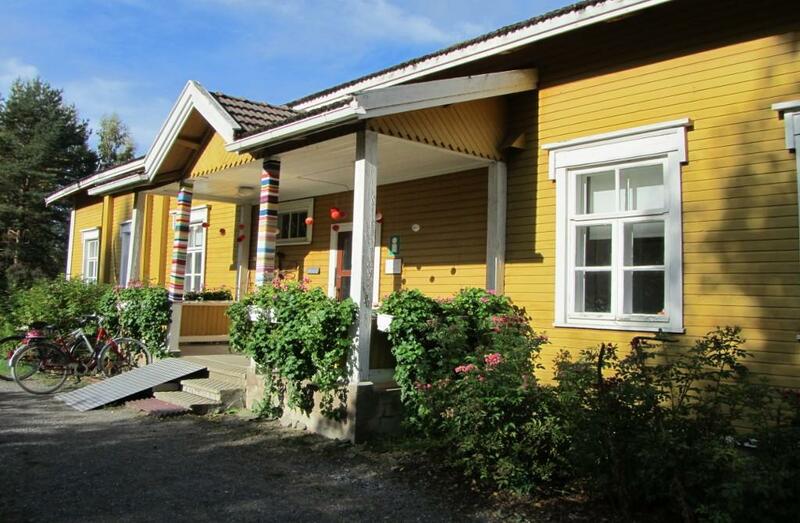 The museum is located in the same courtyard as the Parikkala Arts and Crafts Centre. 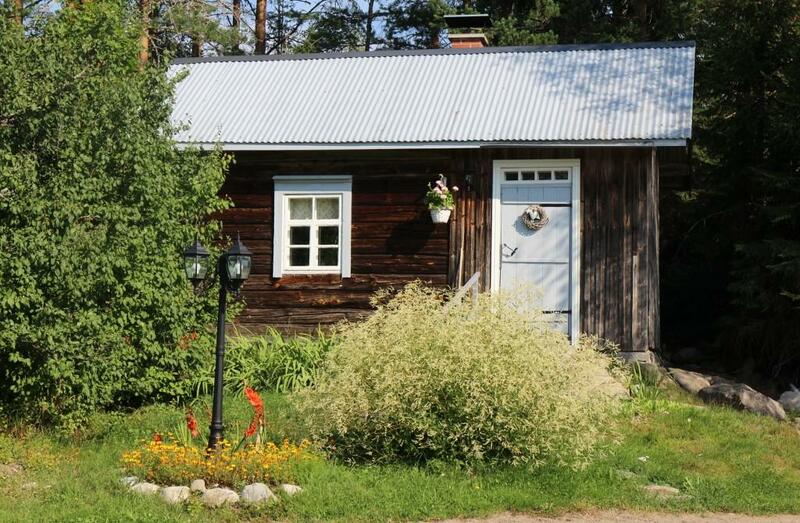 Hauta-Olli’s Cottage displays farmhouse objects from the early 1900s. 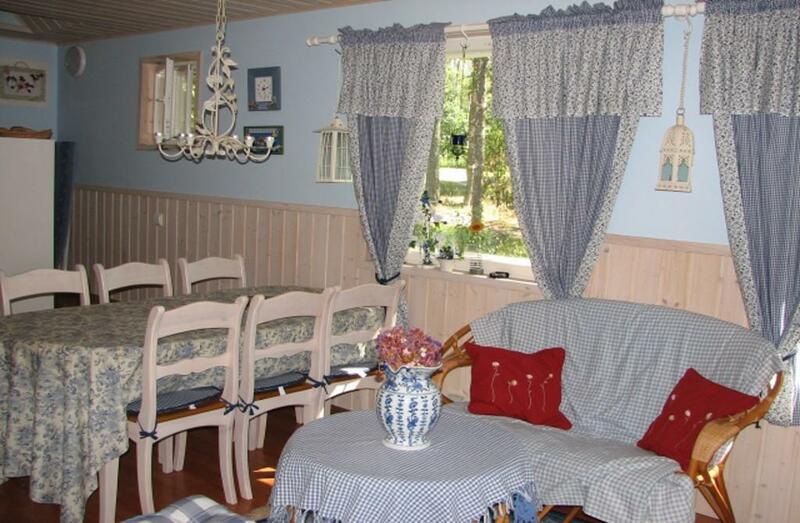 The one main room of the building features the furnished interior of a typical farmhouse from the early 20th century, complete with dining table and some crockery. 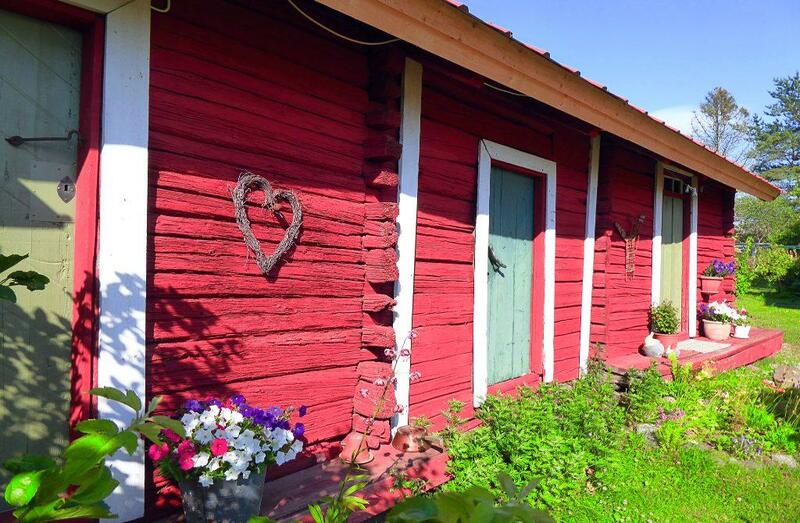 The bedchamber houses an exhibition illustrating the history of Parikkala. A separate area is devoted to a collection of wooden farmhouse objects dating from the end of the 19th and the beginning of the 20th century, including churns, baskets, sickles and scythes. 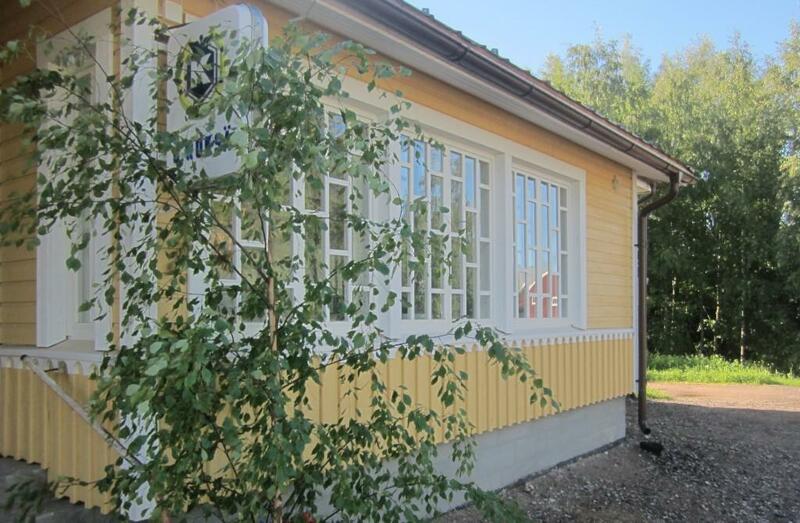 The museum is located in the same courtyard as the Parikkala Arts and Crafts Centre, and both have the same opening hours. Parikkalahalli indoor sports centre contains three volleyball courts, five badminton courts, a floorball rink, a long jump site and a gym. Gym opening hours Mon-Fri 6am-9pm. 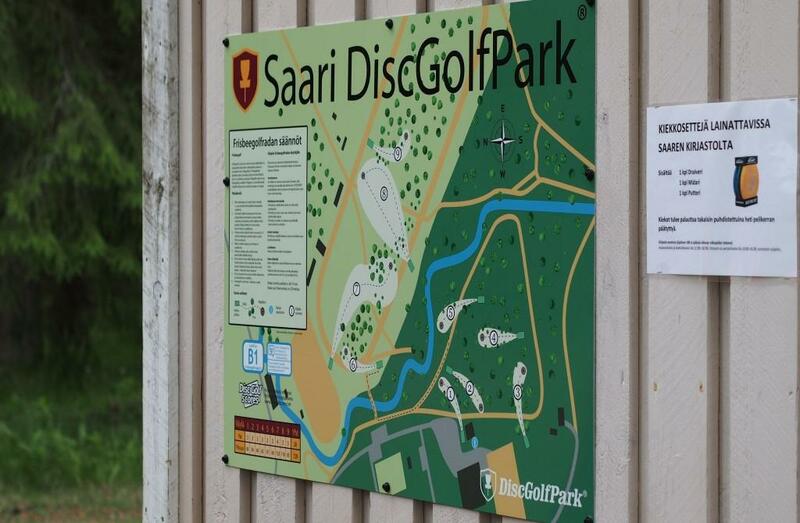 Tokens for the door are sold at the municipal office (Harjukuja 6, 59100 Parikkala) and at SIWA (Parikkalantie 16, 59100 Parikkala). 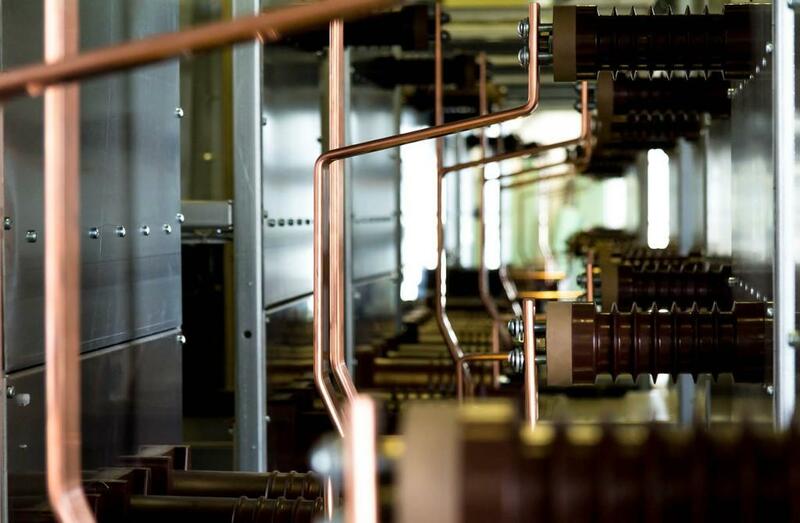 More information tel. +358 44 7811933. 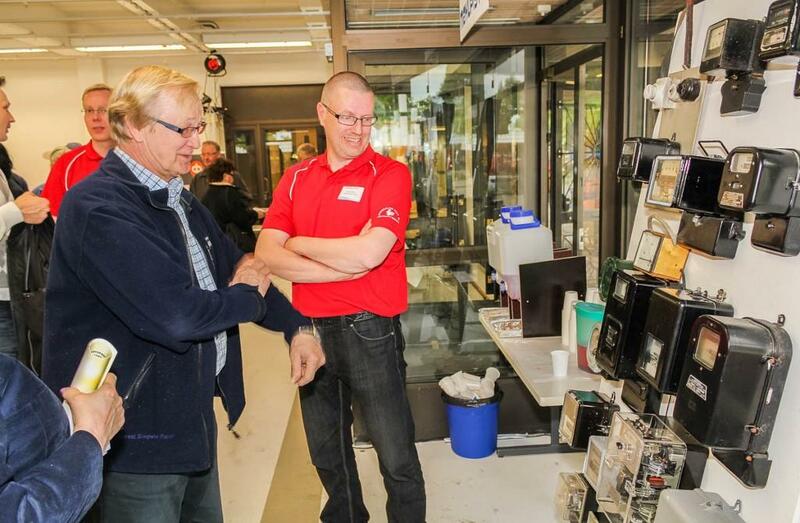 Hardware store in Parikkala since 1962. 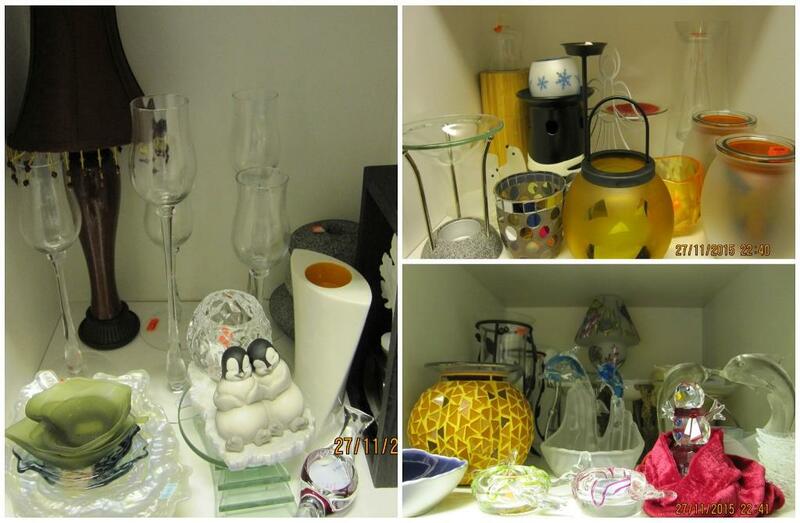 The selection in our new premises is large and versatile including construction, renovation and interior design items. 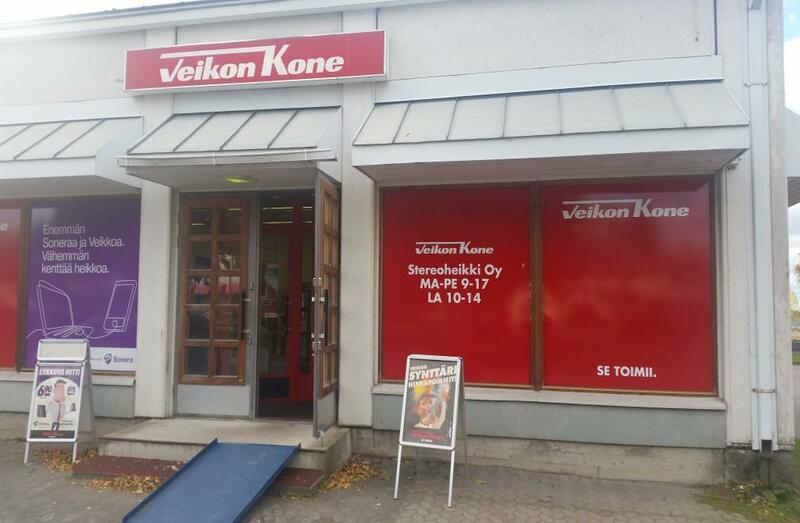 We are located in the centre of Parikkala. Home delivery services available. Opening hours: Mon-Fri 8.30-17.00 and Sat 9.00-13.00. N.B. Closed on Saturdays in January, February and March. You are welcome! 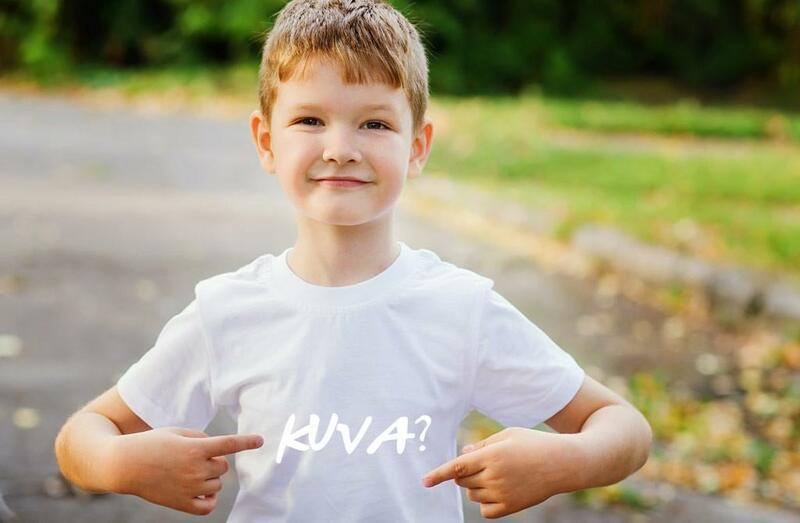 We are a local energy company that distributes electricity in our local area and sells electricity everywhere in Finland. 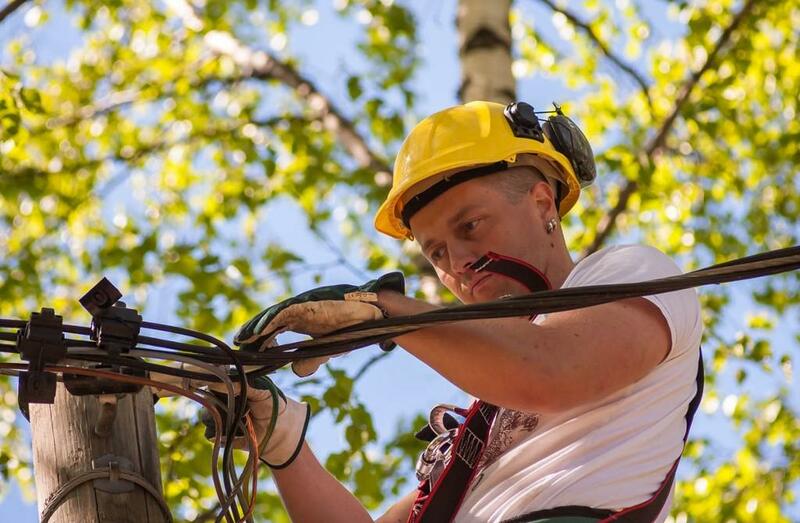 Our services include electricity connections to your summer house, offers for electricity supply, cable route surveys and assistance in tree felling by the power lines. 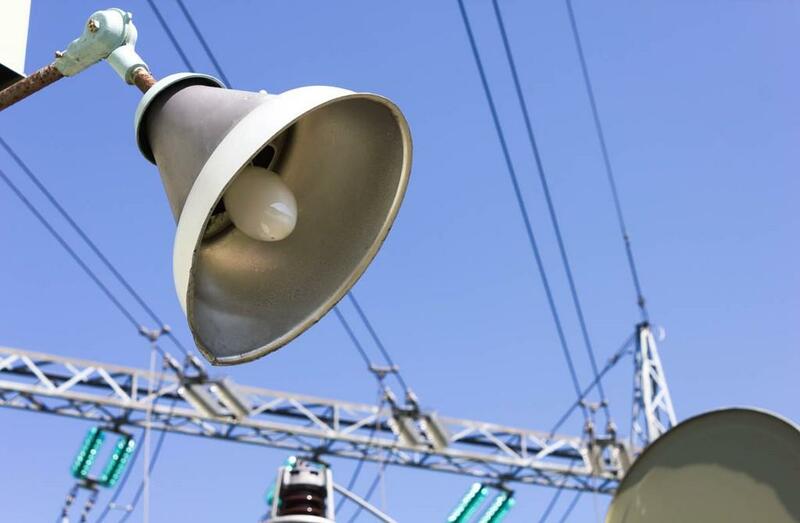 Check our website for possible disruptions in the electricity supply. 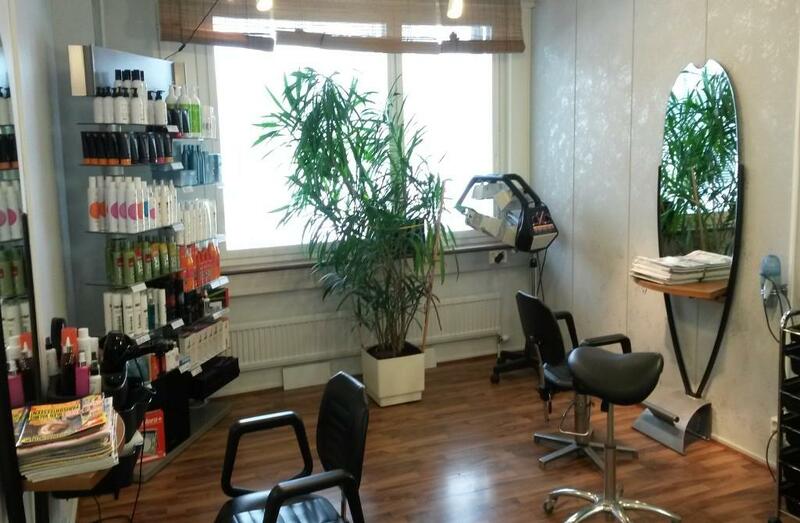 Parturi-Kampaamo Hiuskulma hairdressing salon pays attention to the quality of air. 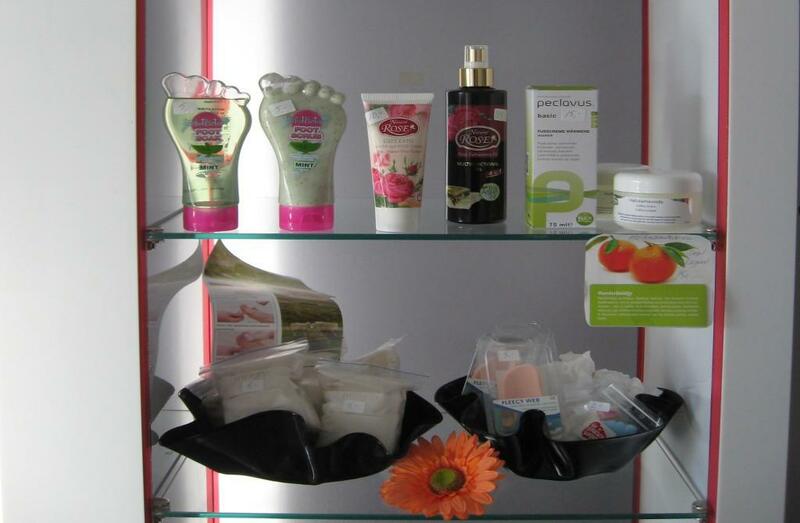 We mainly use and sell fragrance-free products. 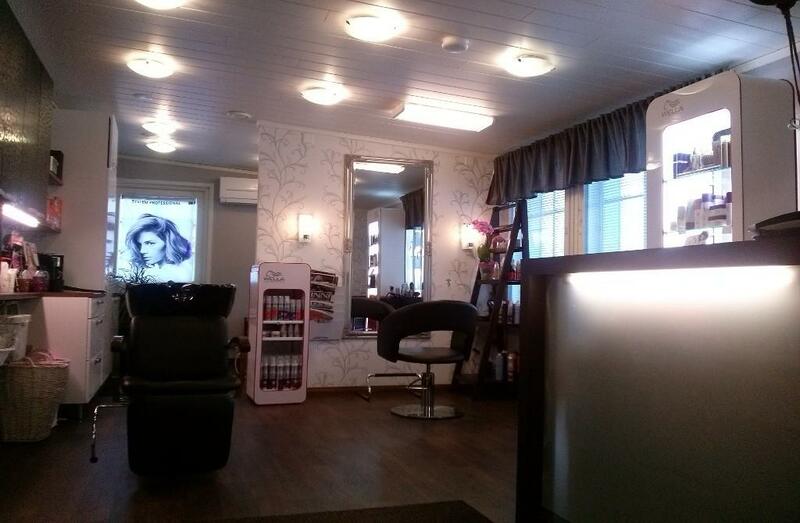 The salon has a cozy atmosphere and air conditioning in the summer. We serve our clients individually and without hurry. Our services include hairdressing and hairstyling, for example, haircuts, hair dyes, permanents, eye brow and lash colourings. Open by appointment only. 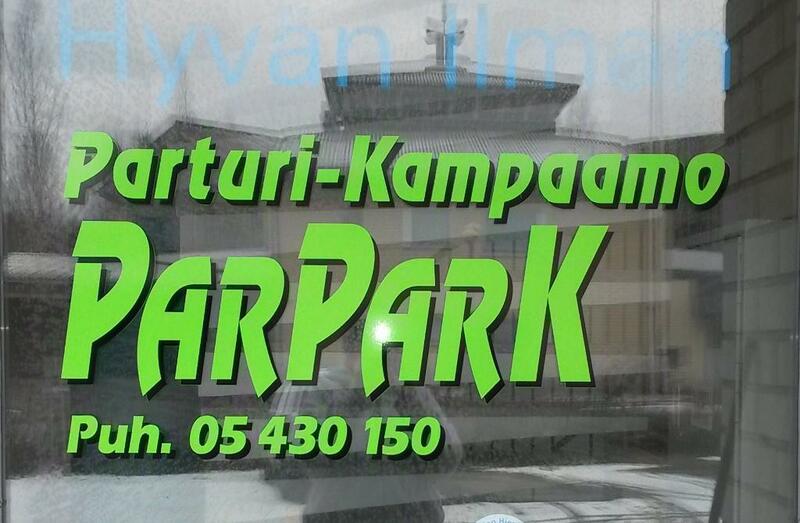 Parturi-Kampaamo ParParK hairdressing salon is located in the Parikkala city centre. 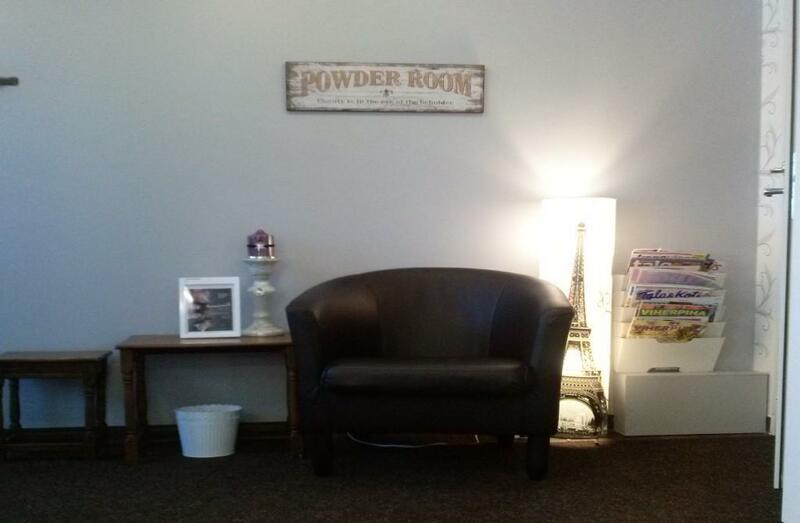 We only use fragrance-free, Finnish products in our salon. 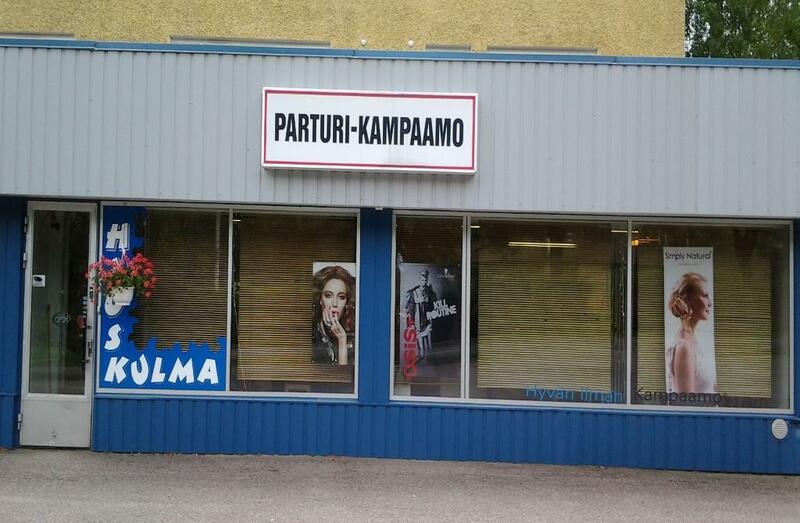 Hairdressing salon Parturi-kampaamo Salon Pirre is located in Saari. Hairdressing and hair styling services at our salon or at your own home. 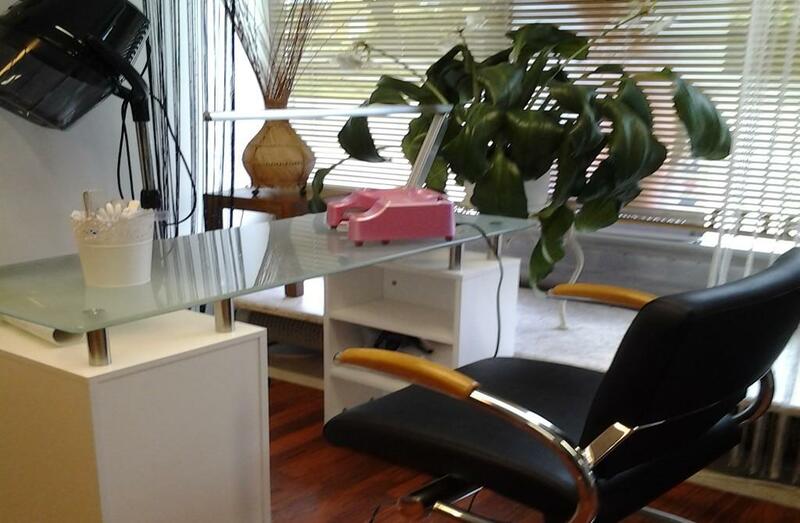 Services include eyelash extensions, coiffures, hairdos and make up. 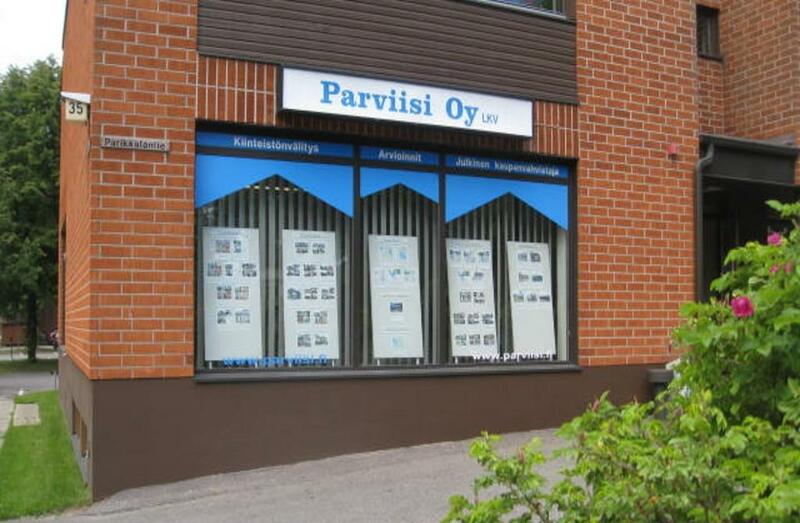 A real estate agent operating in Parikkala since 1992. Besides Parikkala, the operating area includes Rautjärvi, Punkaharju and Kesälahti. We offer the following services: real estate brokerage and valuation, drafting of sales contracts, purchase witness, legal confirmation of title to real property and drafting of rental contracts. We also carry out estate inventories and distributions of inheritance and draft last wills and testaments. On demand flexible opening hours in the evening and Saturdays. You are welcome! 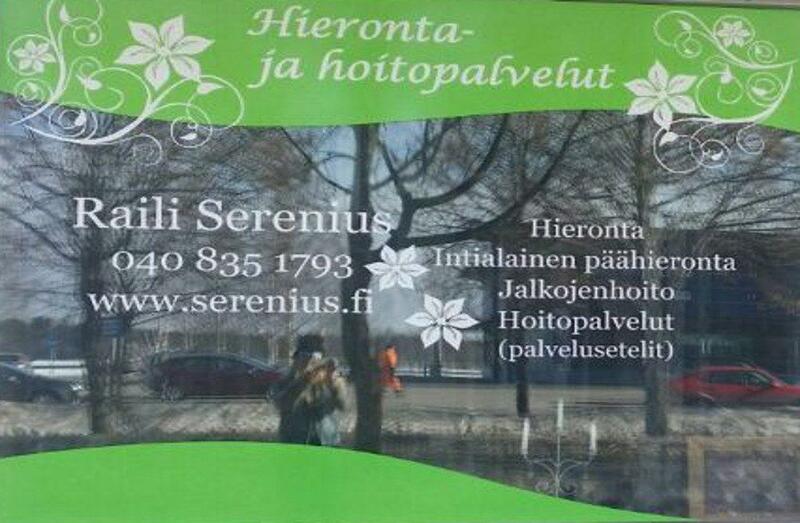 Classical massage, sports massage, mobilisation massage, elastic therapeutic taping in Parikkala. 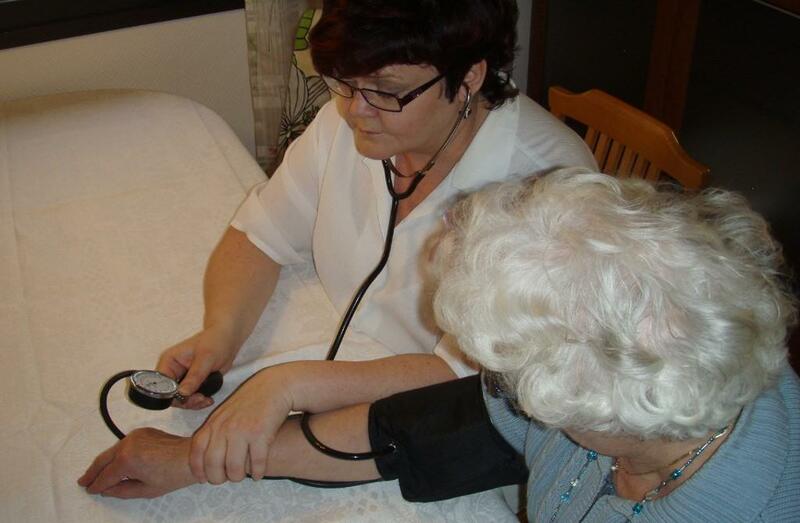 Home visits are also offered in the nearby area. 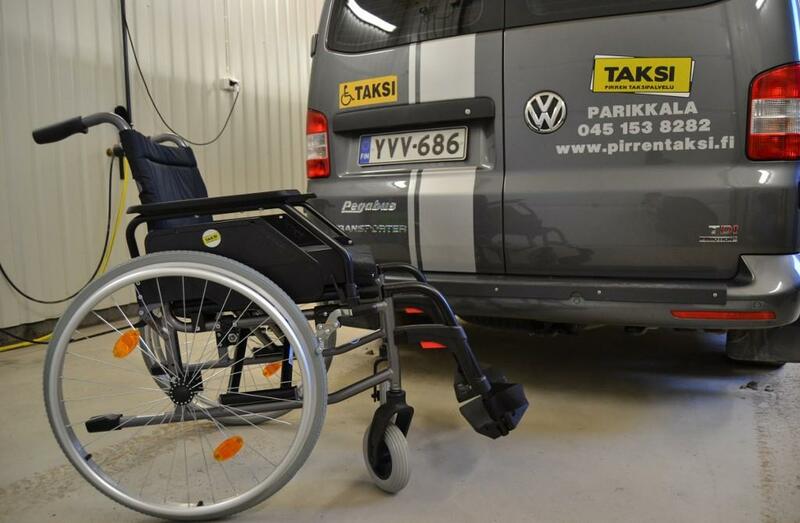 Pirren Taksipalvelu is a taxi service. 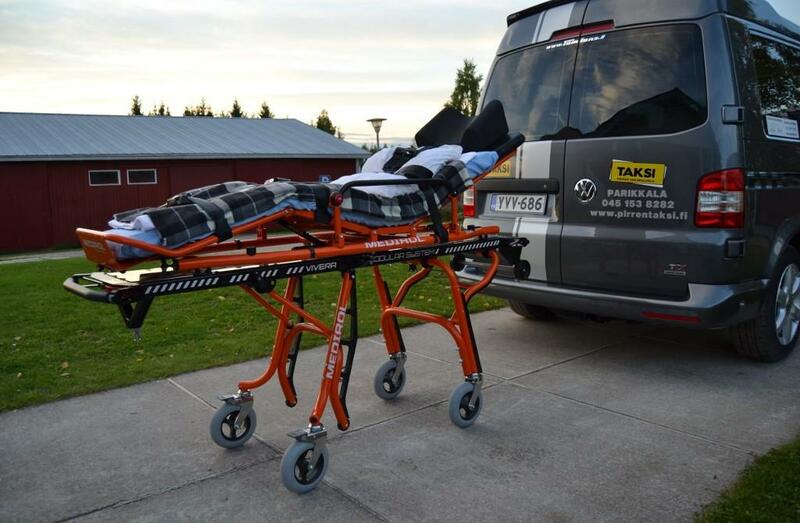 VW Transporter 1+8 minivan taxi / wheelchair accessible taxi with stretcher facilities. 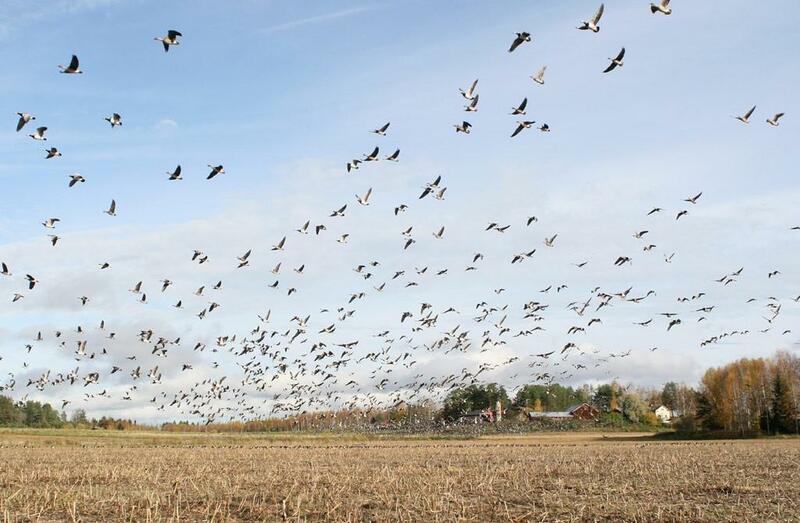 Jyrkilä and Pohjasuo fields are vast and open, and they offer excellent possibilities for birdwatching trips from early spring to late autumn. 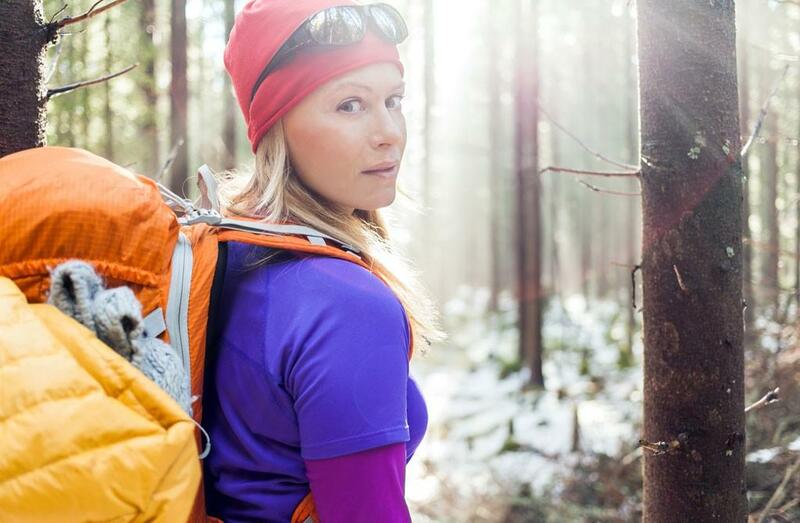 Pöröpeikon polku (approximately 3 km) hiking trail runs through all kinds of sceneries in a rugged terrain. The hills make the route demanding. 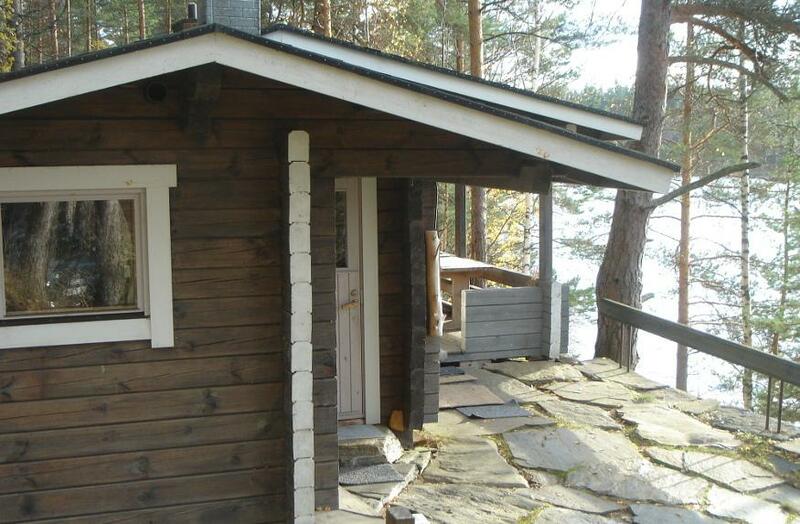 There is a lean-to shelter and a rental sauna by the pond Pörölampi. 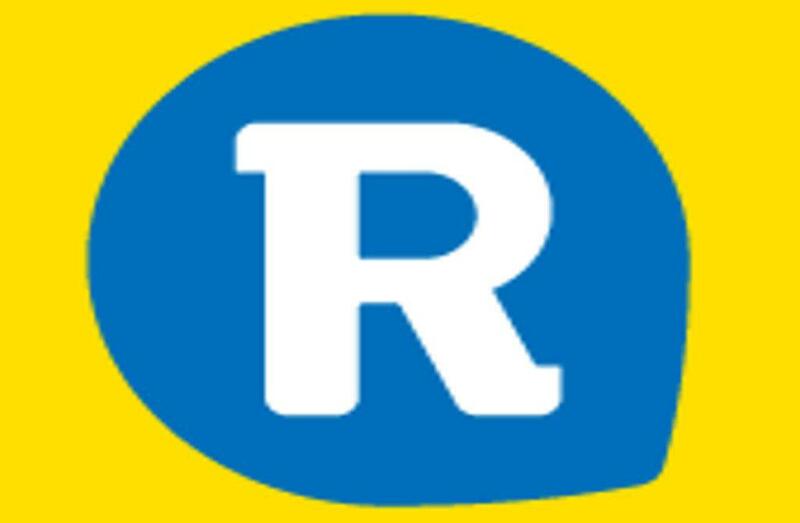 R-kioski is a kiosk that offers a large variety of services: train tickets, tickets to different types of events, post and parcel services etc. Enjoy coffee, ice cream or small delicacies in our coffee shop. You are most warmly welcome! 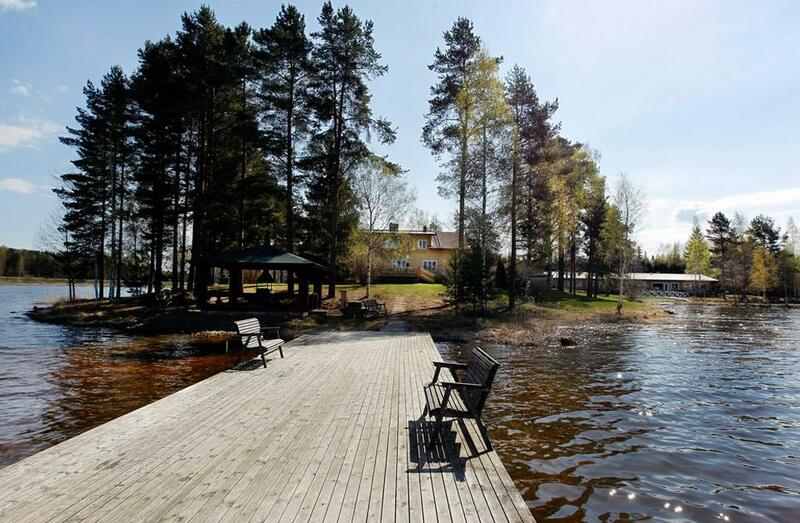 This route connects the city centre of Parikkala, the beautiful lake views of the lake Simpelejärvi and the Sikoharju nature reserve. The network of trails runs near the Parikkala city centre. 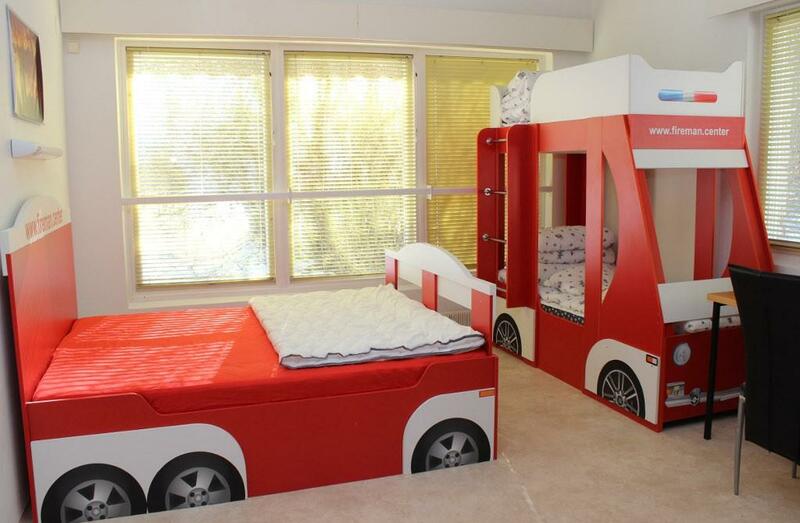 Easy route with easy access and partly suitable for the disabled. 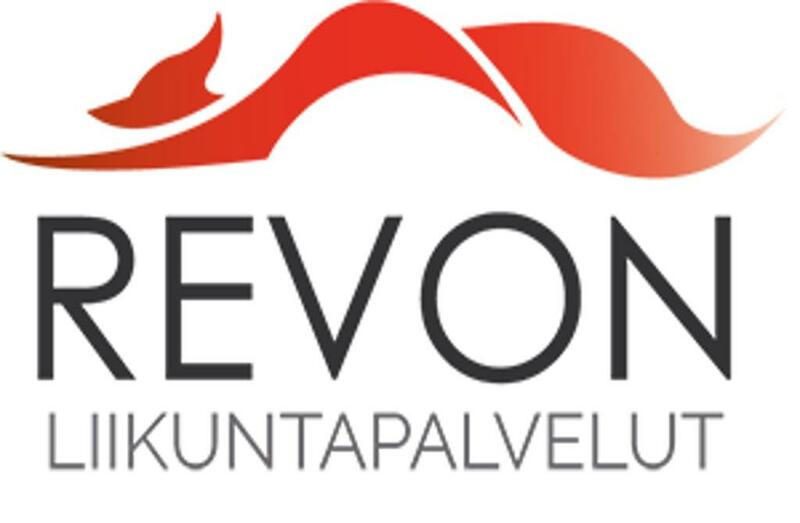 Revon Liikuntapalvelut offers sports services for all age groups. 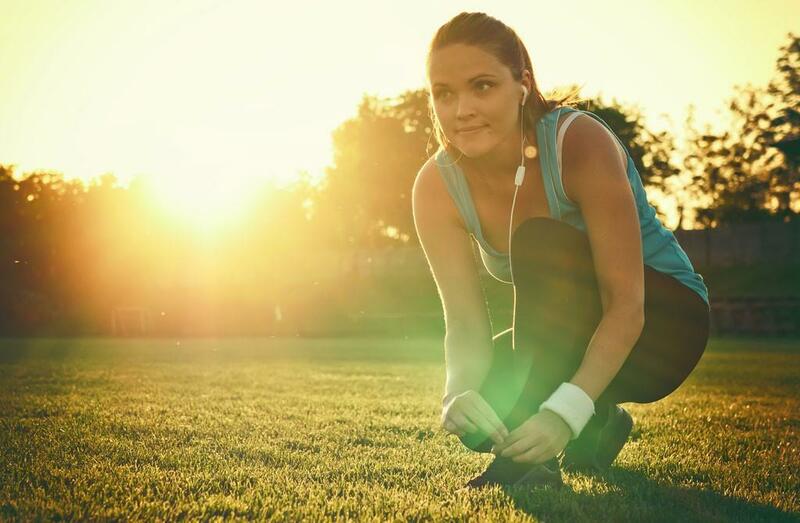 Services include, for example, personalised exercise plans, personal trainer services, group exercise classes, outdoor exercise services in nature and cross-country ski maintenance services. 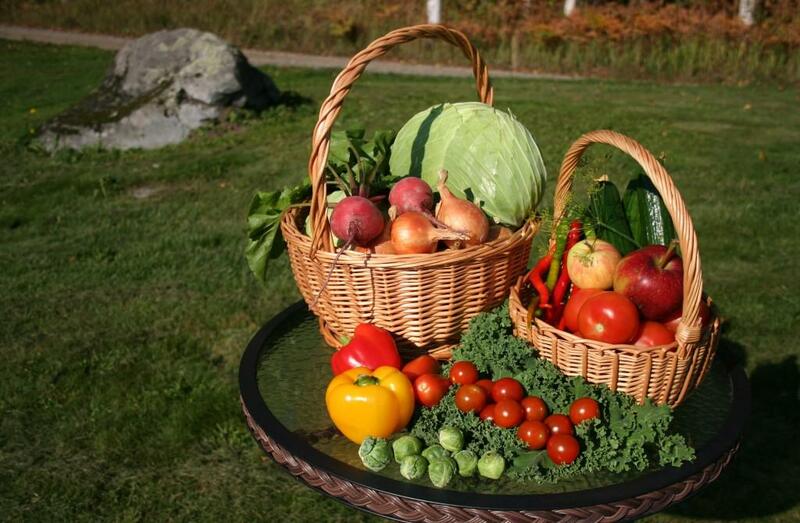 The garden supplies delicious vegetables, strawberries and apples. We are open from April to October, Monday to Friday 8am-5pm, Saturday 8am-2pm, other times by appointment. Welcome! 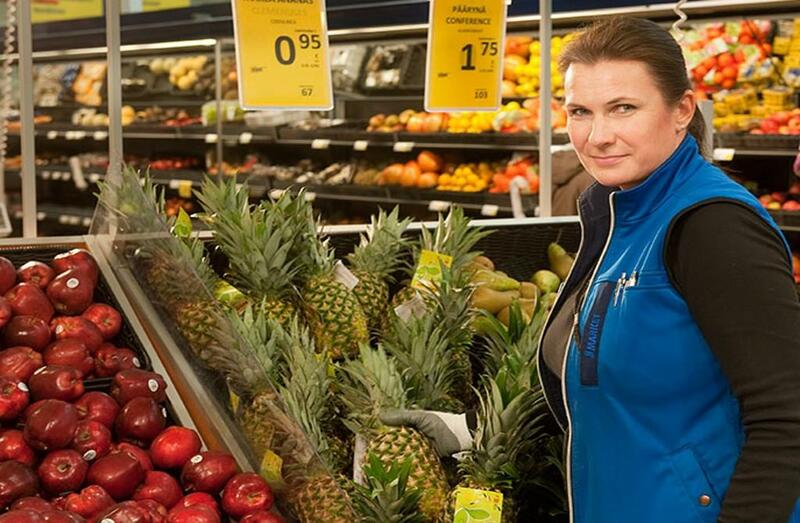 Grocery store S-market Parikkala offers a diverse selection of groceries and consumer goods. 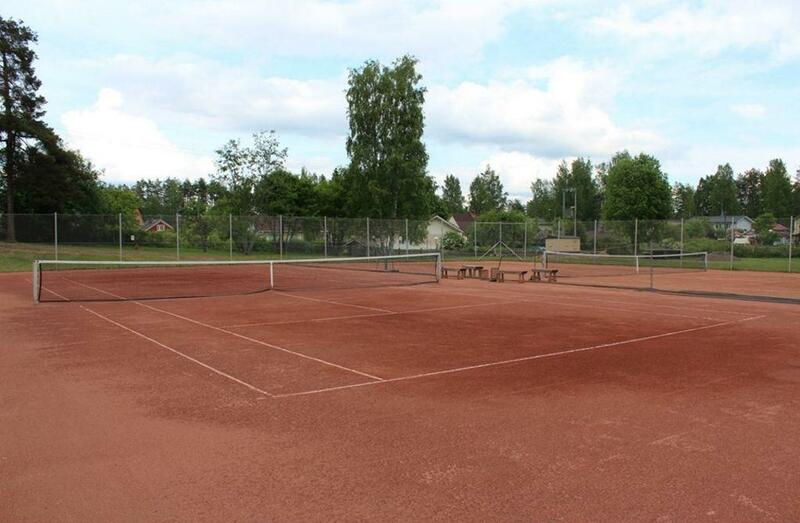 Spacious, new facilities in the Parikkala city centre. 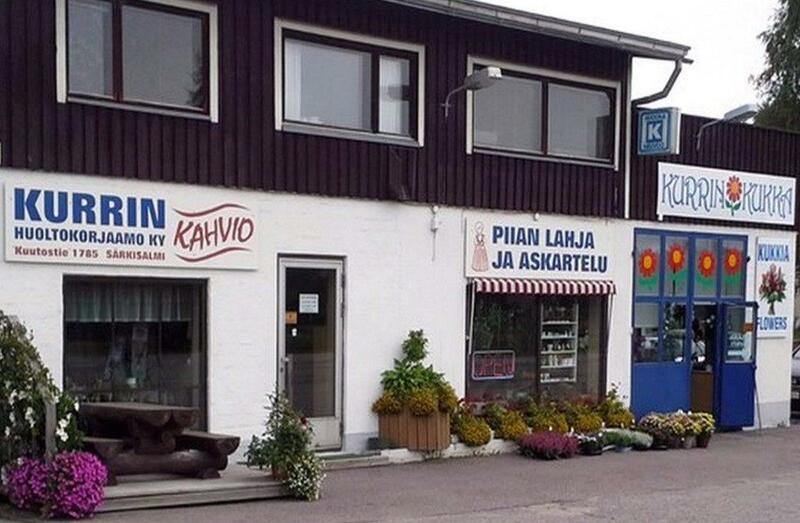 In the same building you'll also find Alko off-license, LähiTapiola insurance company, fishmonger's and a restaurant. The church in Saari is a beautiful brick-built church. 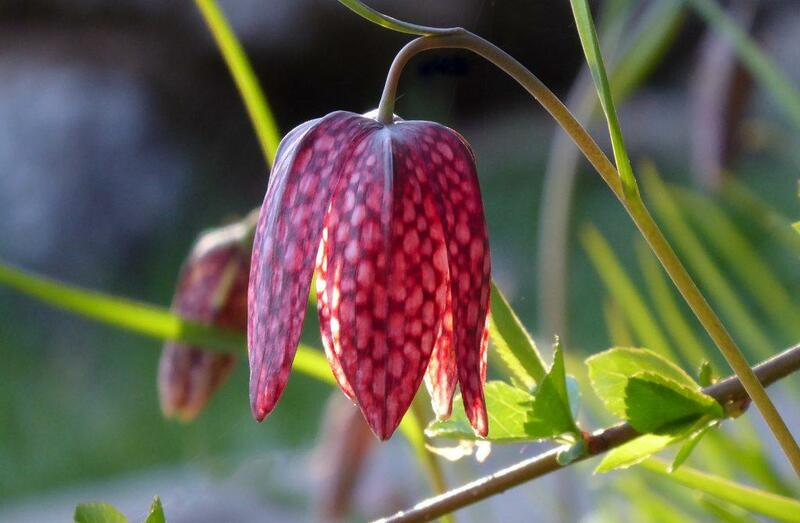 It was designed by Ilmari Launis in 1934. 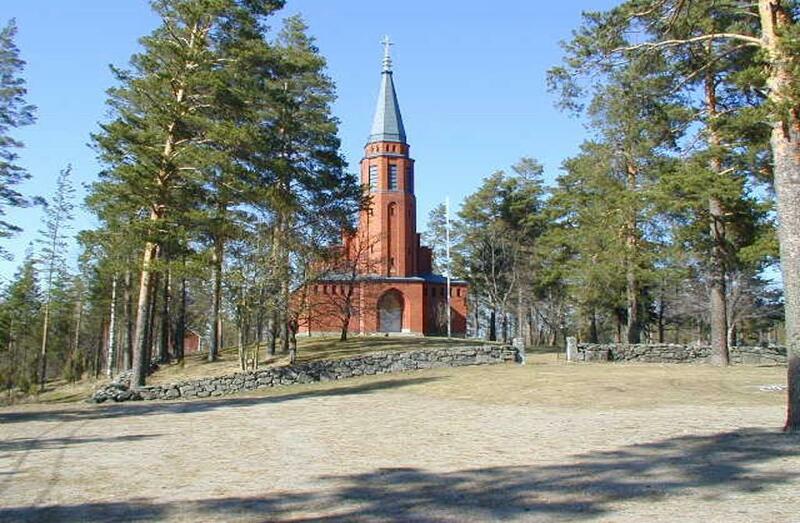 The church is located in a hill which offers views to lake Suuri Rautjärvi. 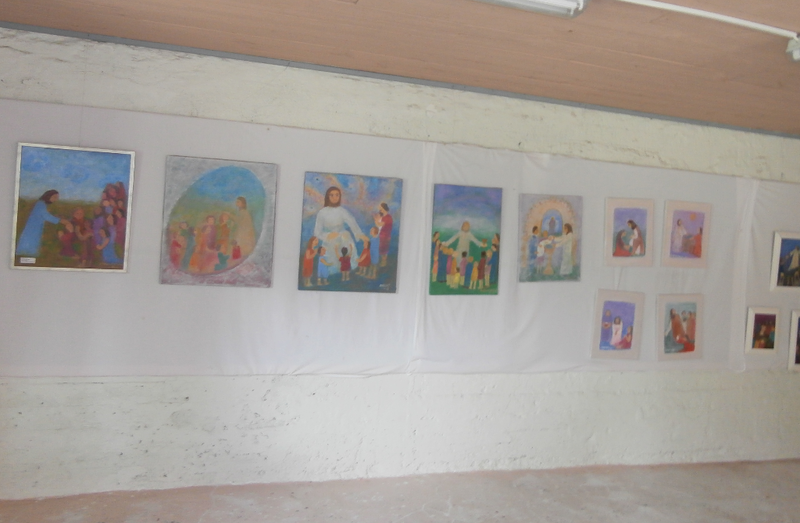 The specialty of the church is the altarpiece made by Laila Järvinen. Besides being painted directly on the wall, the altarpiece is one of the biggest in Finland. It depicts the ascension of Christ. The church seats 700 people. Sammallampi pond is two kilometres long and one kilometre wide. Over half of the surface of the pond is covered by large reed and bulrush beds. 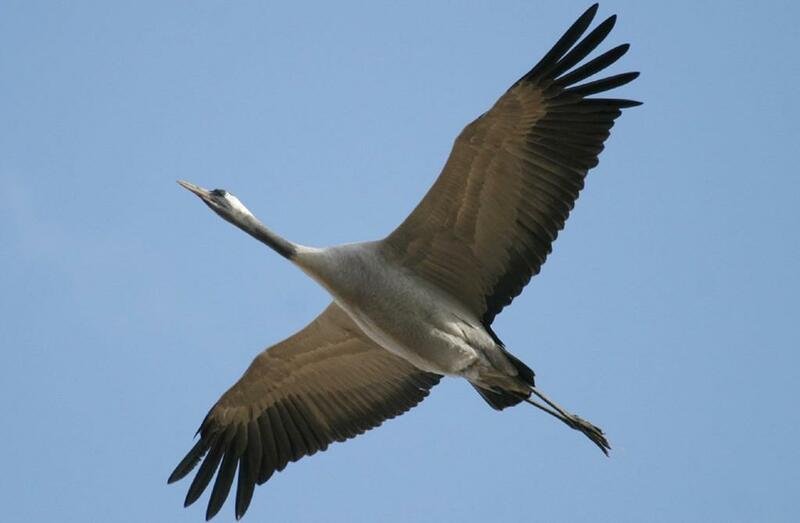 Bird species met in the area are the same as in Siikalahti wetland. 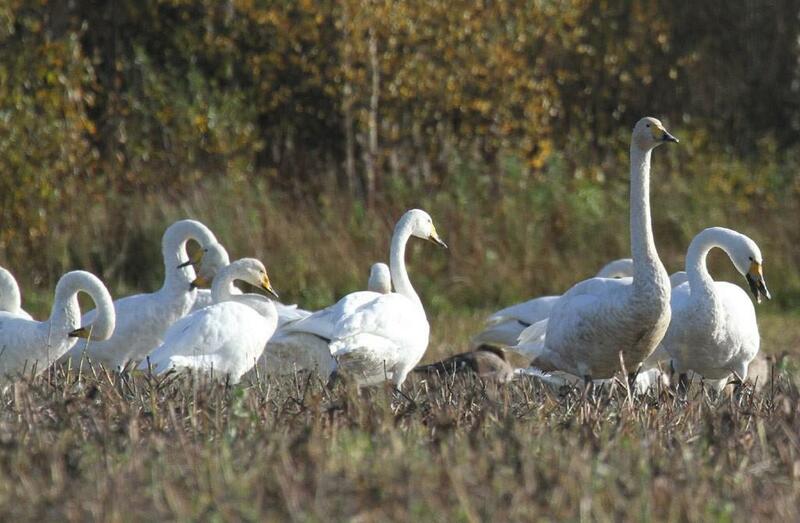 The pond is surrounded by changing sceneries of forests and cultivated fields. Särkisalmen Baari is a bar that offers you tasty meals. 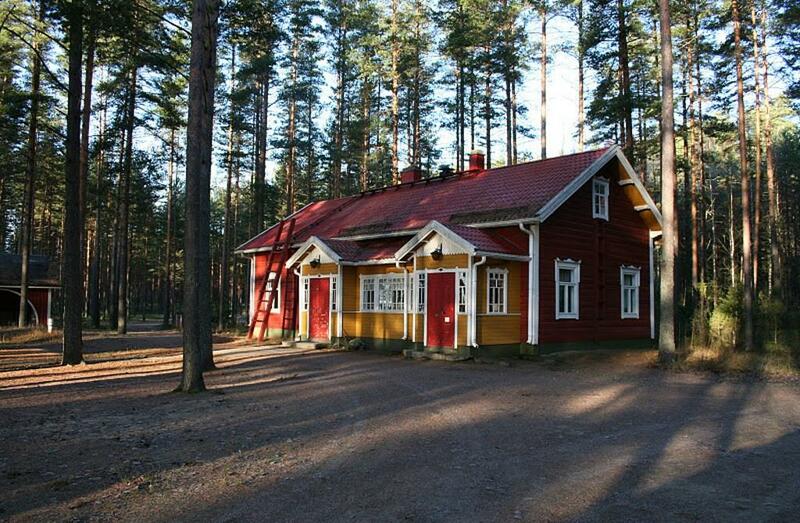 The best pizzas in Parikkala are baked in our pizza oven! The kitchen is open until late evening. Soup lunch Mon-Fri 11am-3pm. Opening hours may vary depending on the season, please check our website for more detailed information. Liquor license, live music and karaoke! 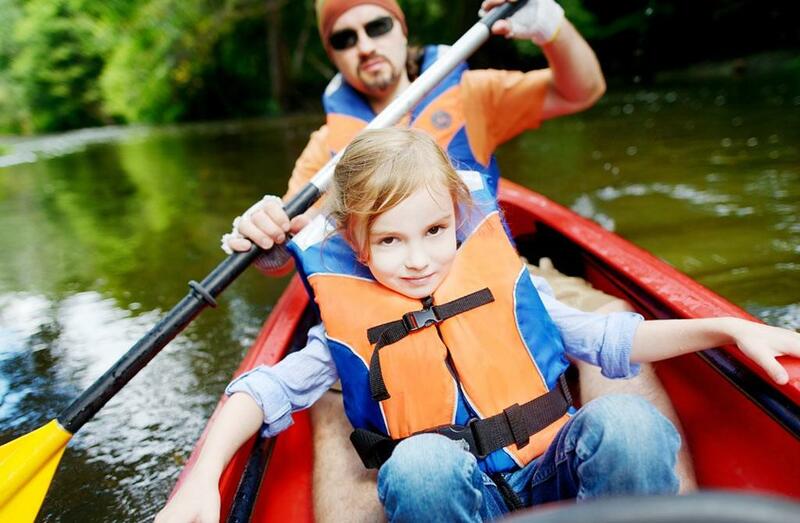 Fishing licences and fishing equipment also avaialble. Enjoy the summer in our sunny and cozy terrace. 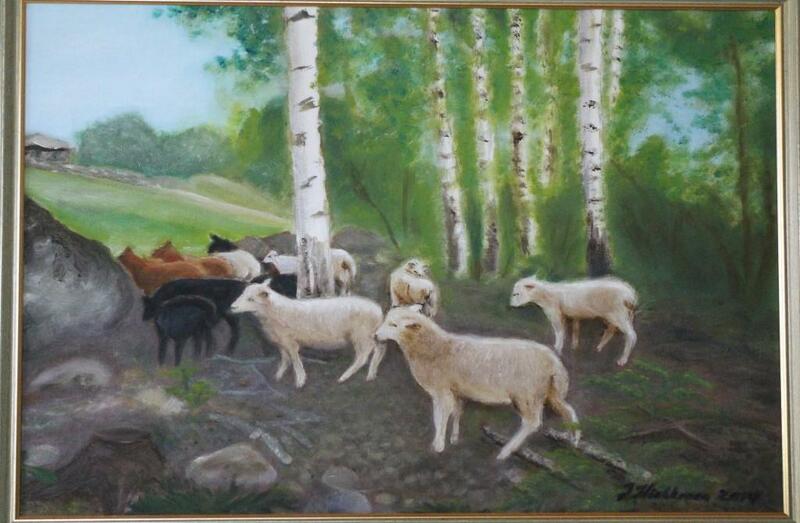 Welcome to our sheep farm in Uukuniemi Niukkala. 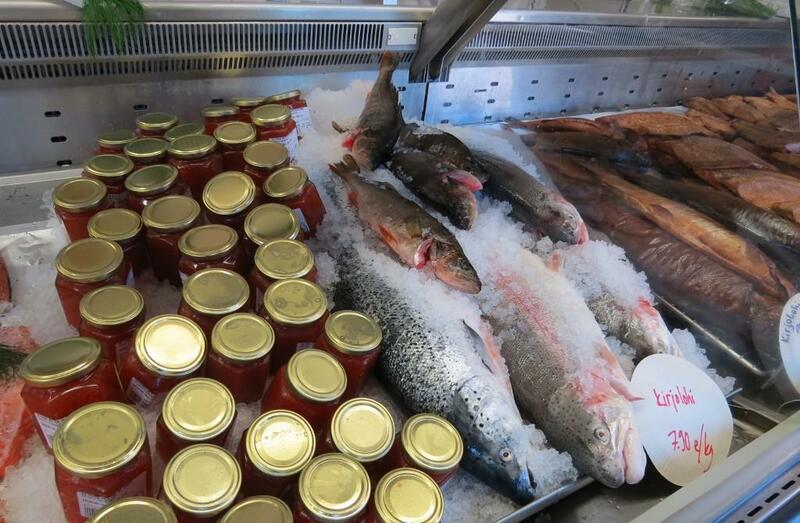 In our farm shop you can find lamb and mutton meat, all originating from the sheep born and raised in our farm. Grill the delicious meat in the summertime, make steaming stews in the winter and savour different kinds of lamb dishes during the Easter feast. 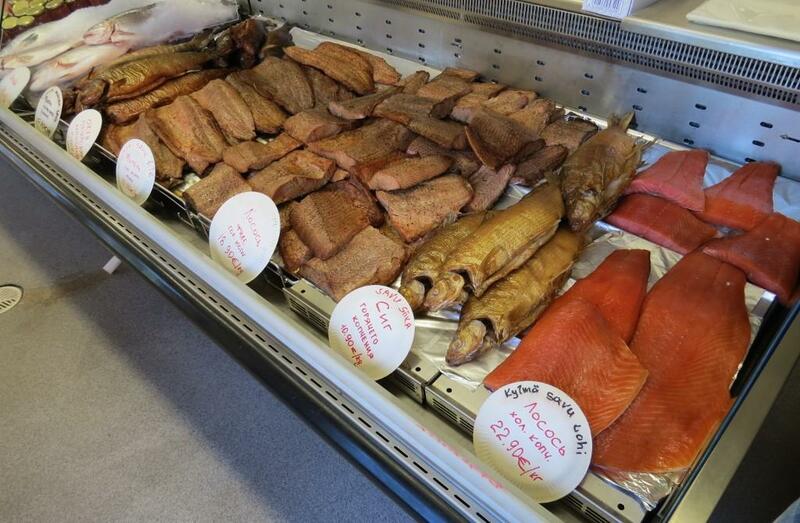 Occasionally we also sell cured lamb products, canned lamb and sausages. Also in stock sheepskins, raw wool and woolen yarns. 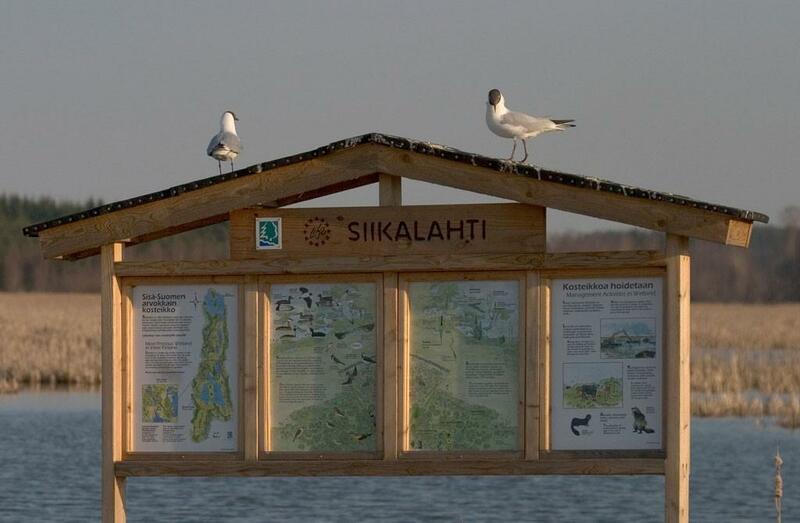 The wetlands of Siikalahti bay have formed where the eastern part of lake Simpelejärvi is gradually becoming overgrown. 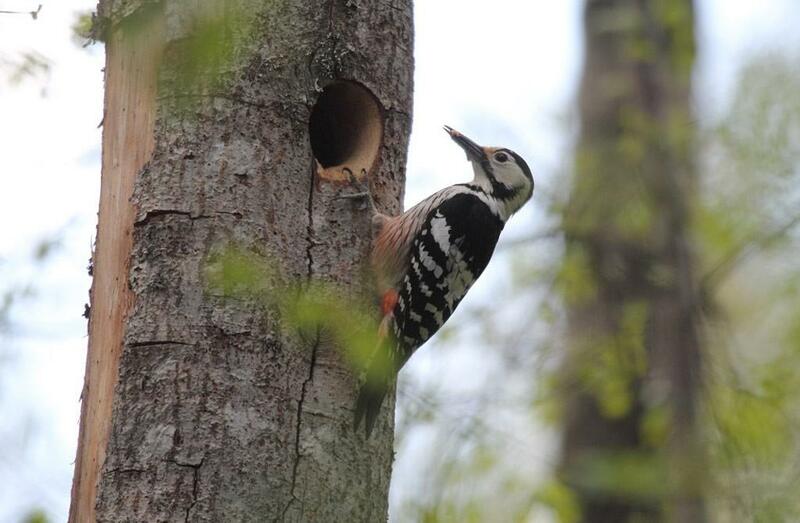 The great variety of birds breeding in Siikalahti or visiting on migration means that it is among the top wetlands for bird life anywhere in Finland, and the country’s richest inland wetland. The Summer Theatre is located by the road leading from the city centre to the church. 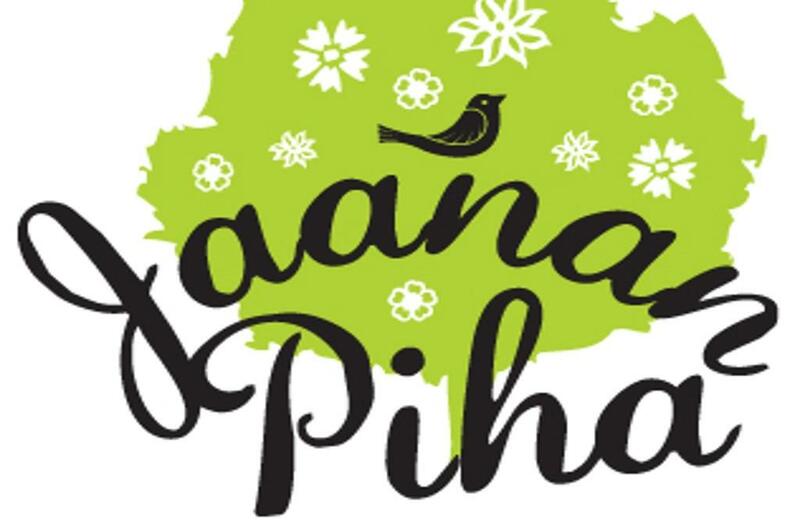 The Summer Theatre is run by the Parikkala Theatre Association. The parking places by the theatre are limited. On theatre evenings parking by the library (Harjukuja 1) or by the municipal office building (Harjukuja 6), which both are located within a short walking distance to the theatre. More information and facility reservations by phone. 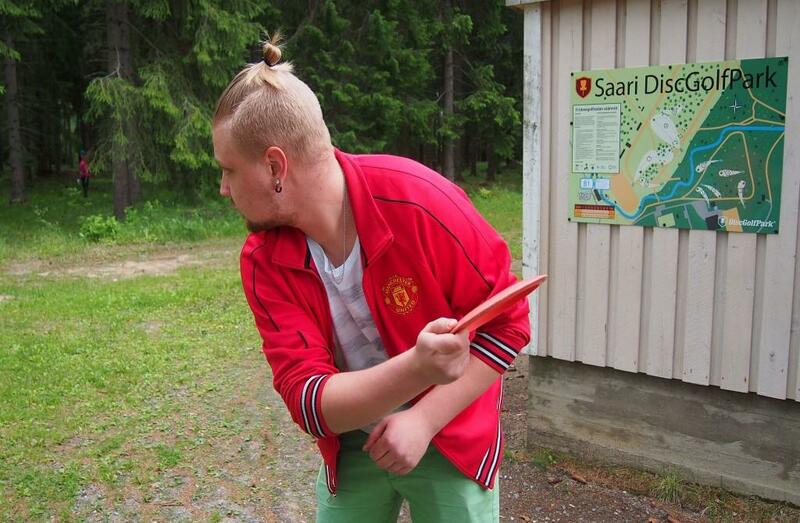 Programme and timetables available in the Finnish website. 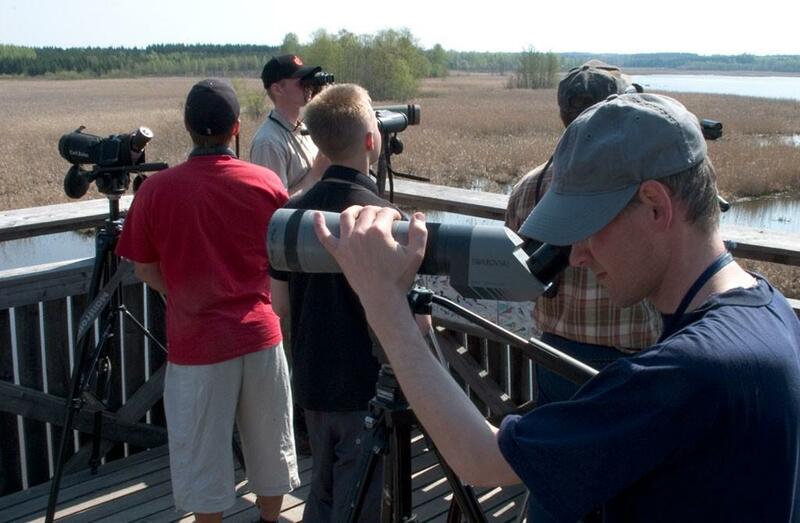 Tarassiinlahti is one of the many birdwatching sites by the lake Pieni Rautjärvi. The shallow bay is surrounded by reed beds, shore meadows and bushes. 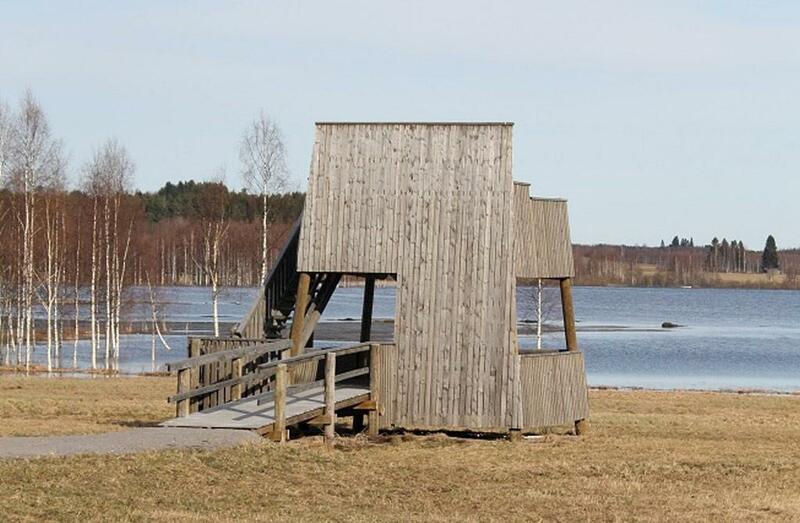 The birdwatching tower offers nice views to the bay and to the surrounding rural landscape. 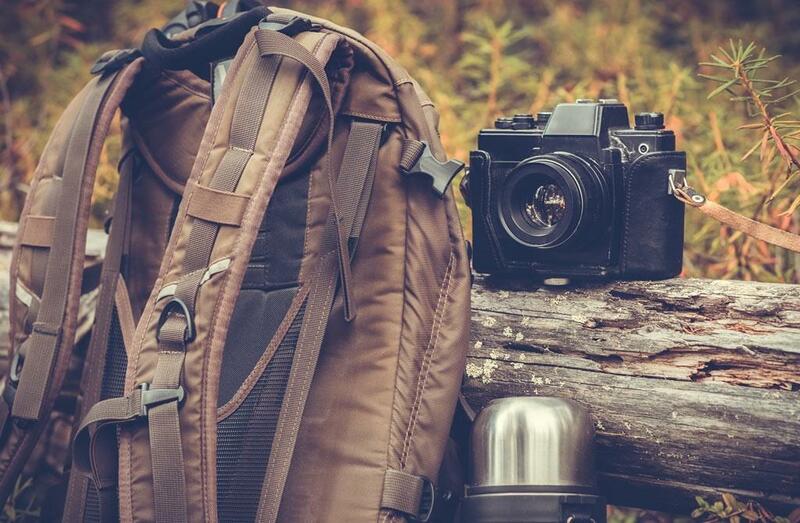 Unique bags and accessories. 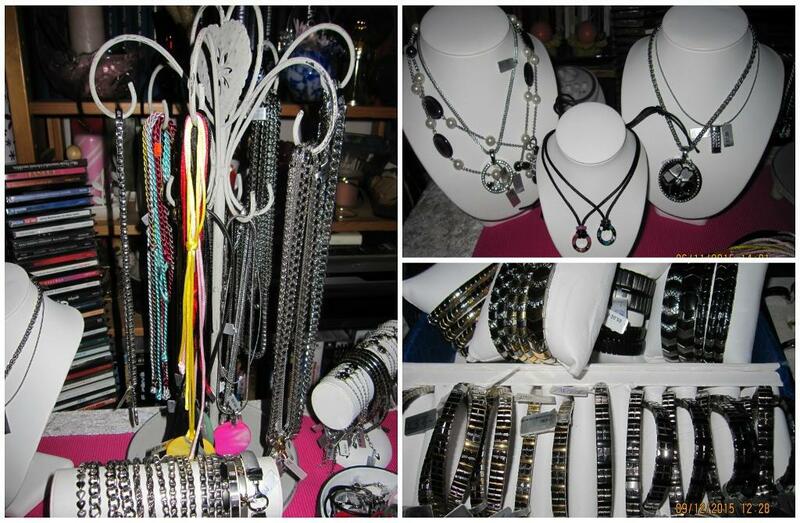 Products include bags, purses, jewelry and scarfs. The collection changes every season. Products are sold at home parties and in different types of sales events. Women's lingerie and underwear. 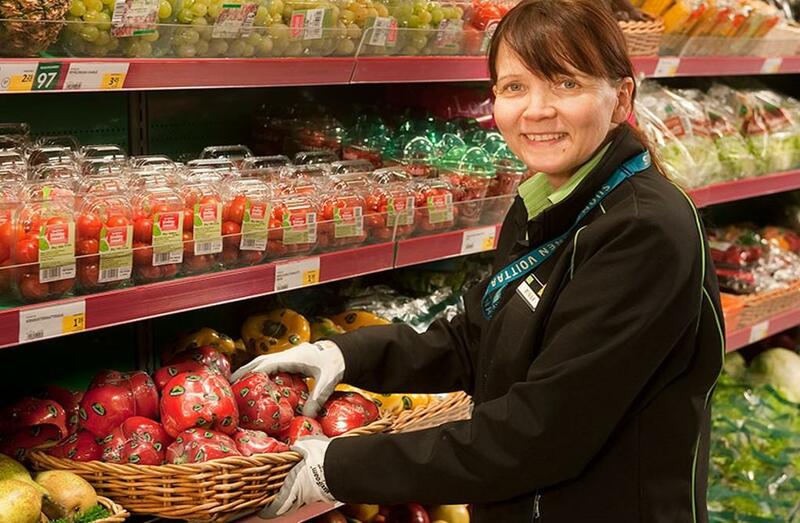 In many quality brands the largest selection in Finland. opposite to the grocery store S-market and next door to R-kioski. 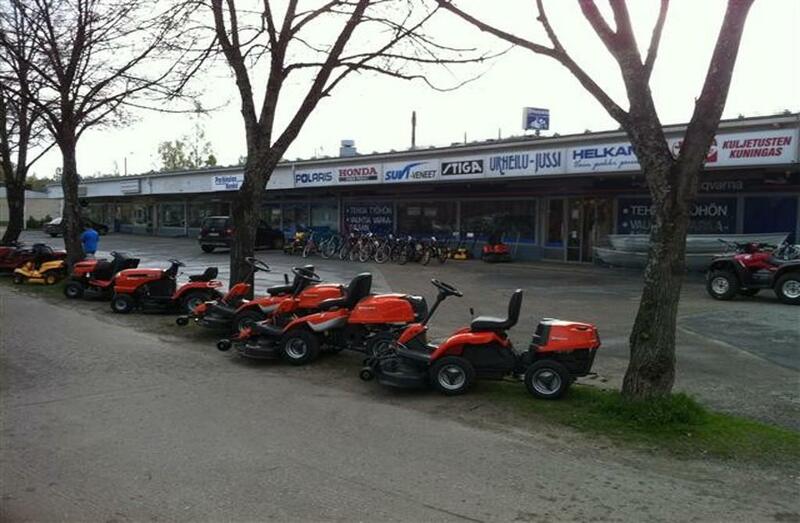 Urheilu-Jussi offers a vast selection of sports equipment and electrical appliances in the centre of Parikkala. 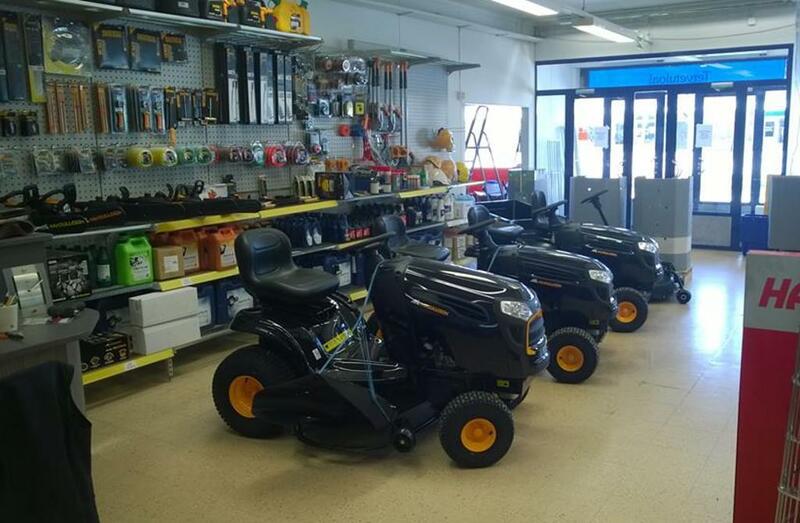 We sell, for example, sports, fishing and hunting gear and related electrical appliances. 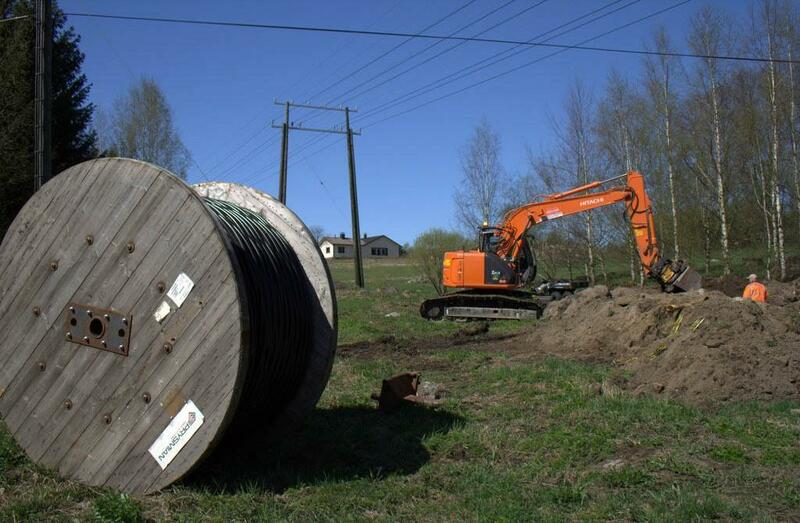 Also maintenance services for the equipment. 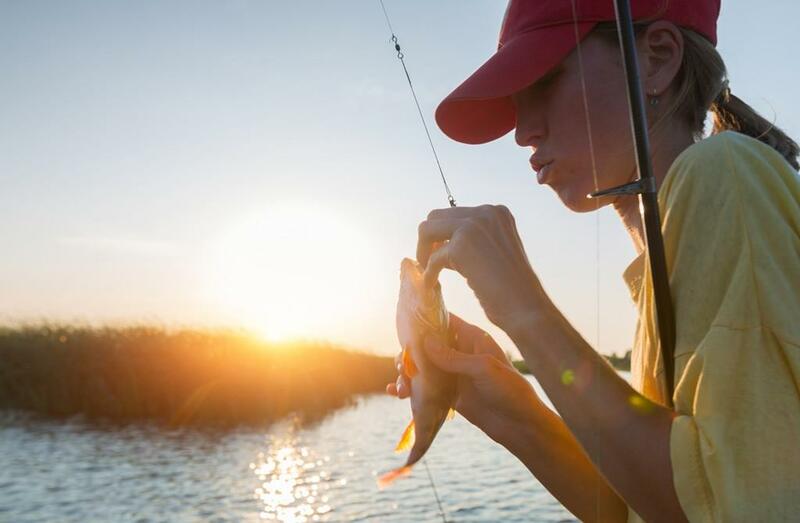 Fishing licenses for the area and bicycle rental. You're welcome to check out our excellent services! 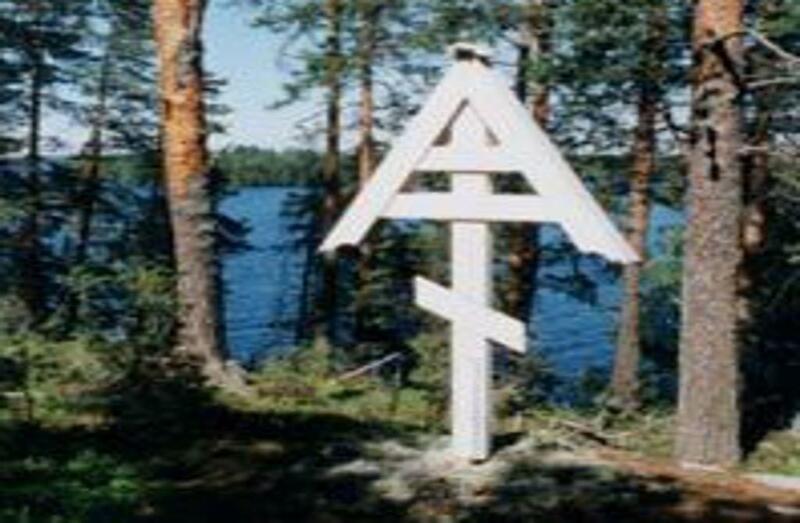 The wooden, cross-shaped church in Uukuniemi was built in 1797. The altarpiece portrays crucifixion, and it was painted by Mikko Kiljander in 1883. The mechanical organ with 18 registers is from year 1982. The bell tower dates back to 1853. It is located near the church, but on the other side of the road. 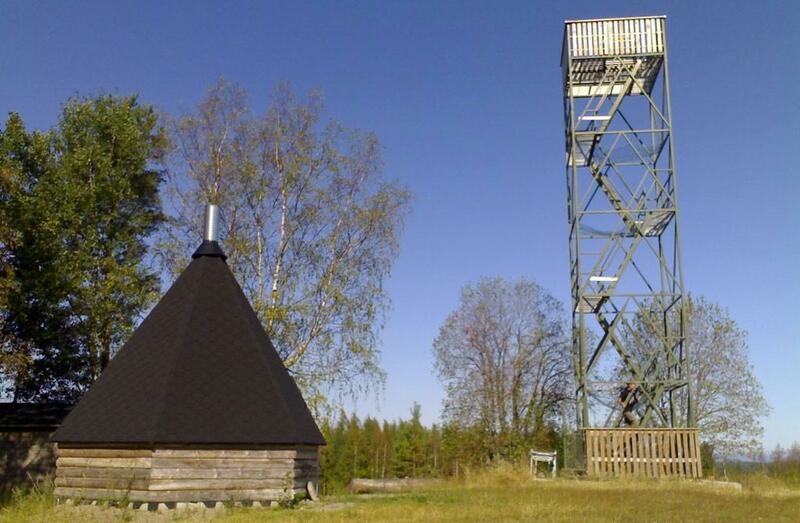 Vaaranmäki watch tower is located at the top of a high hill. 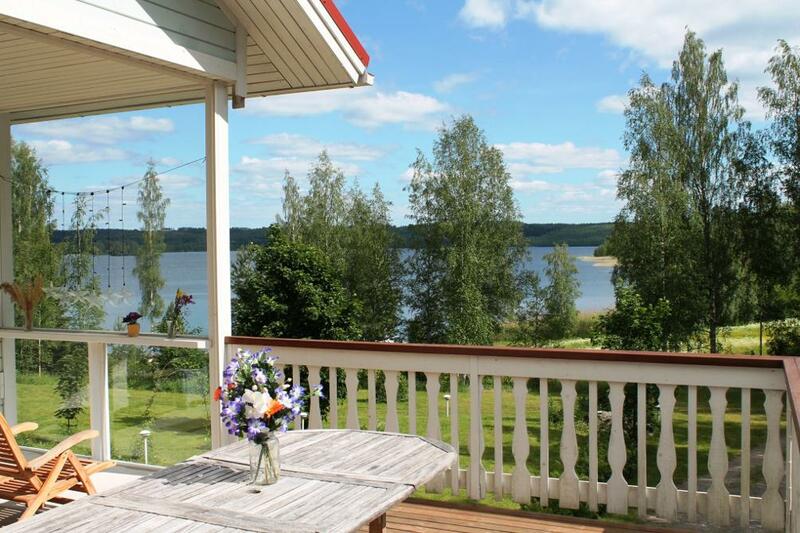 The tower offers great views to the lake Pieni Rautjärvi and the surrounding areas. 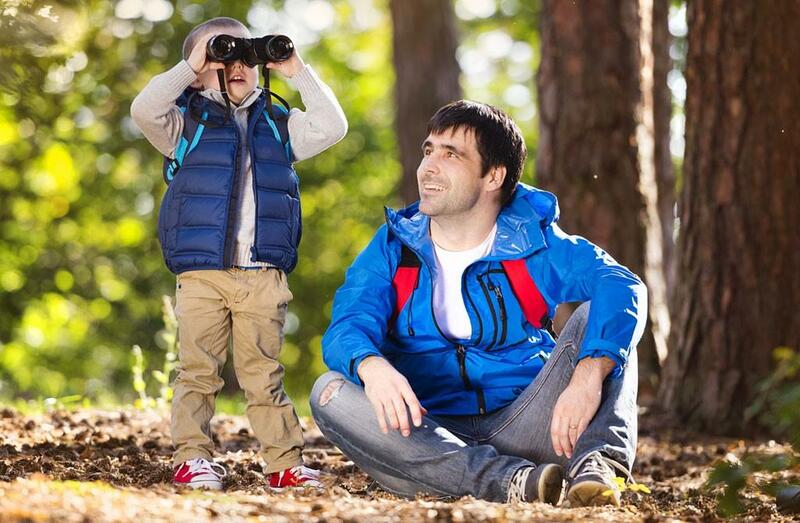 It is even possible to see the forests in the Russian side of the border. A local specialty retailer focused on consumer electronics and home appliances. We sell, transport and install the electronics and appliances. Warranty maintenance services. All leading trademarks, including Sony, Samsung, Philips, LG, Apple, Microsoft, Electrolux, Aeg, Rosenlew, Miele. 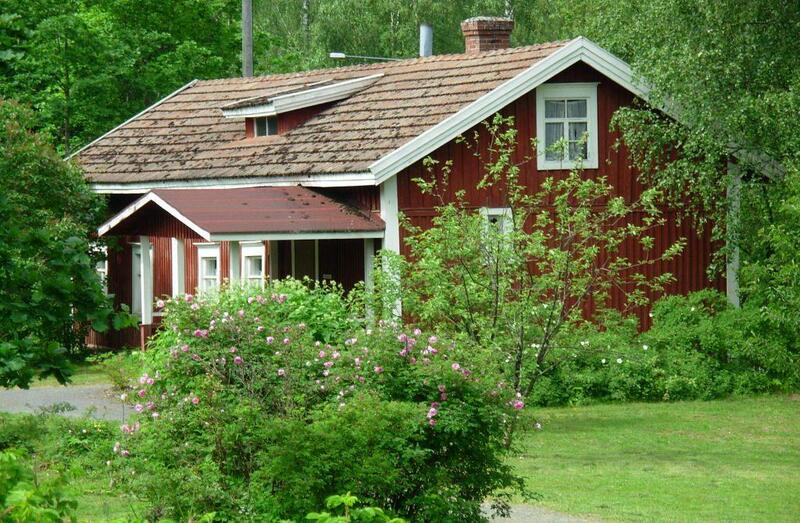 There are many beautiful and scenic village landscapes in Parikkala. One of the landscapes is regarded as nationally valuable landscape entirety. 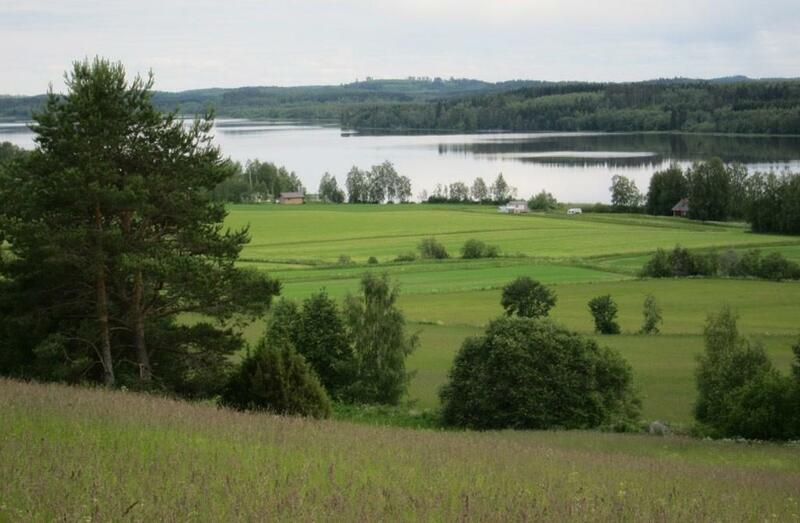 This landscape is located in the village of Tarnala, and the views it offers from the hill Kuposenmäki to the lake Pieni Rautjärvi and the cultivated fields are amazing. 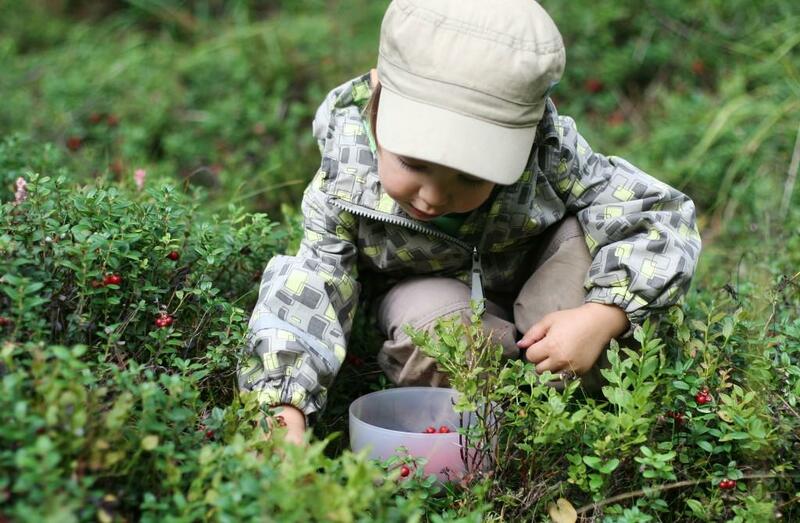 In Parikkala you can find fantastic possibilities for picking wild berries. 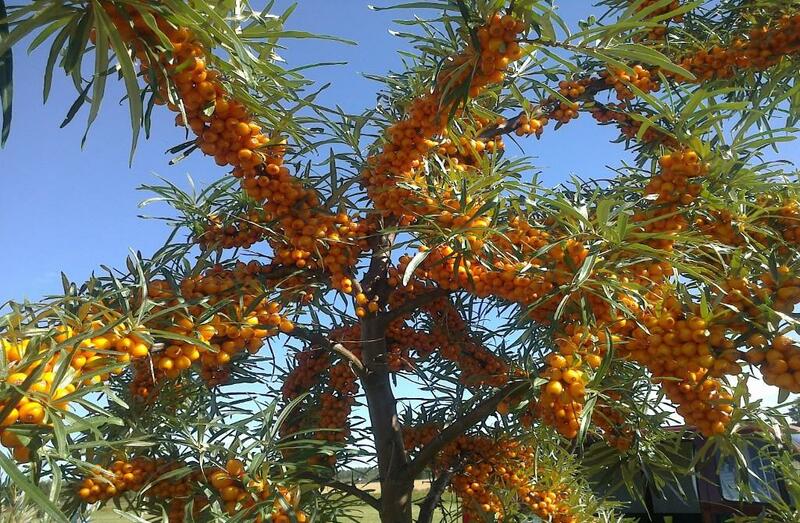 The best picking season runs from late July to early October. 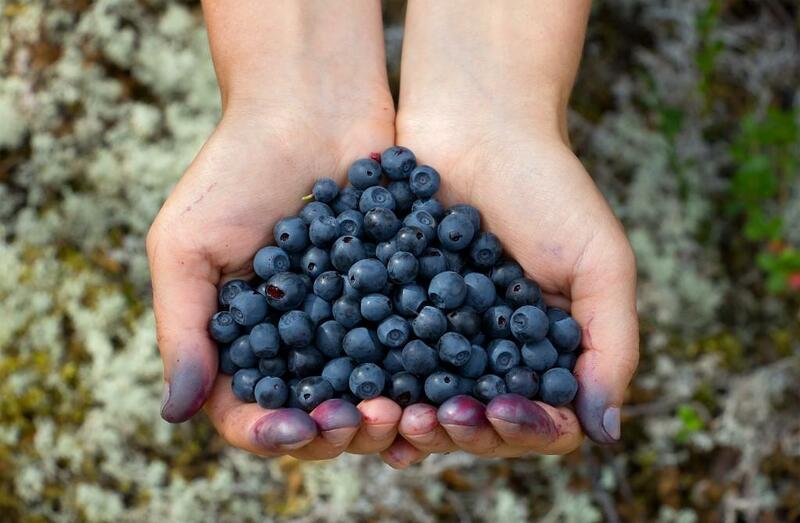 Dark blue bilberries (Vaccinium myrtillus) grow in forests throughout Finland, and can be eaten raw or used in pies and cakes. 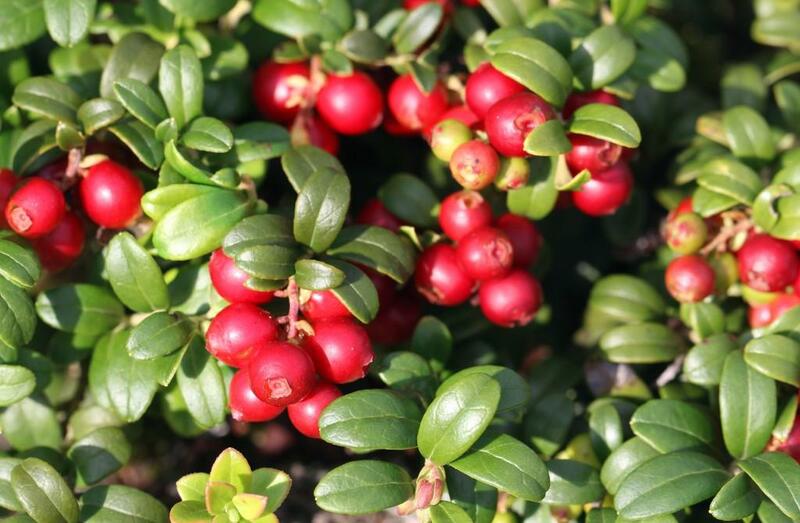 Bright red lingonberries (Vaccinium vitis-idaea) are even easier to find and pick, but taste quite bitter. You can also find wild strawberries, wild raspberries and cranberries. 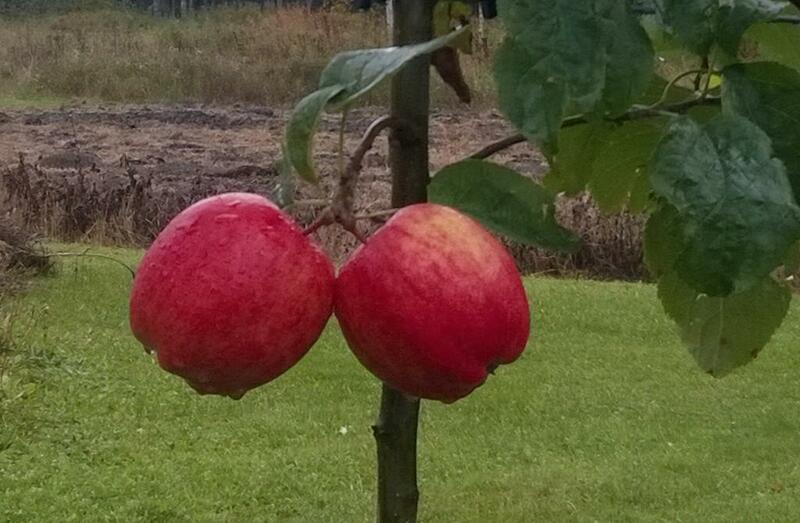 Go to the forest to find these true jewels of local food! All you need for you berry picking trip is wellies and a berry bucket. Wild berries can be freely picked in Finland's forests under everyman's right, but be careful which varieties you pick, as some berries are poisonous. 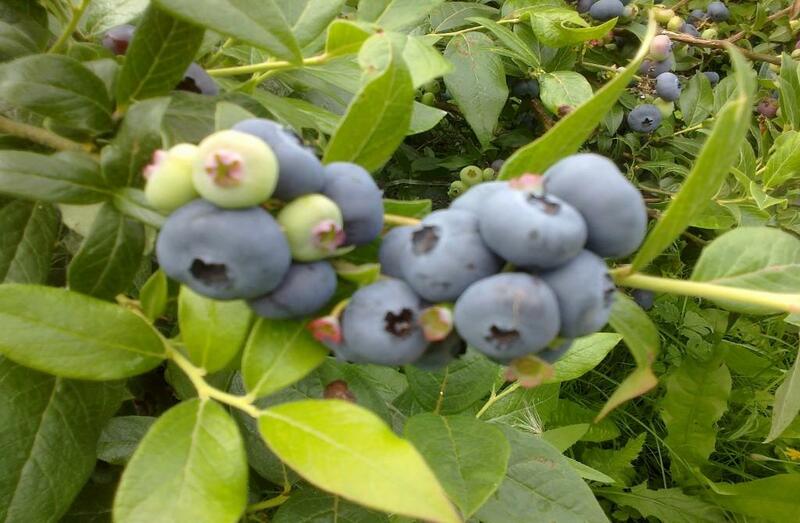 Other pickers can be asked for advice, but it is considered impolite to gather berries too near other people - or too near homes and gardens. Yusuf Kebab-Pizzeria welcomes you to enjoy delicious pizzas and kebabs in the centre of Parikkala. Our pizzas and kebabs are made of fresh ingredients and the service is always sunny - even on cloudy days. 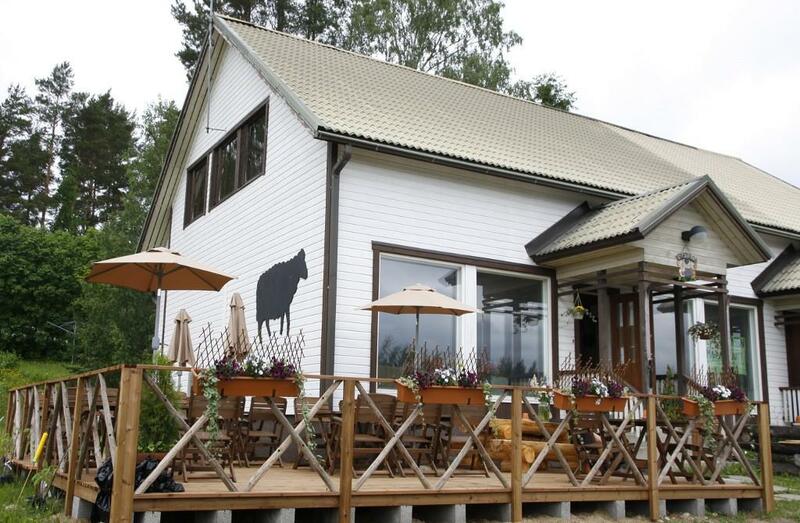 The best food experience in Parikkala!